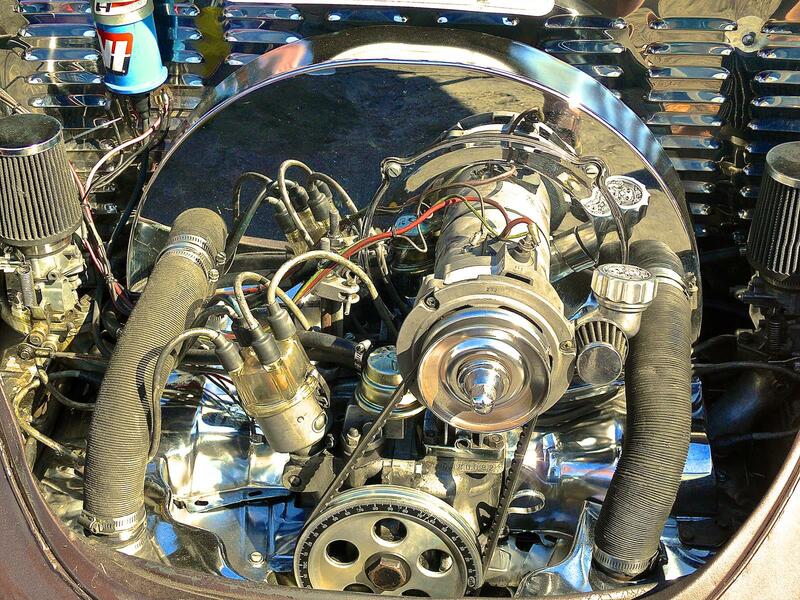 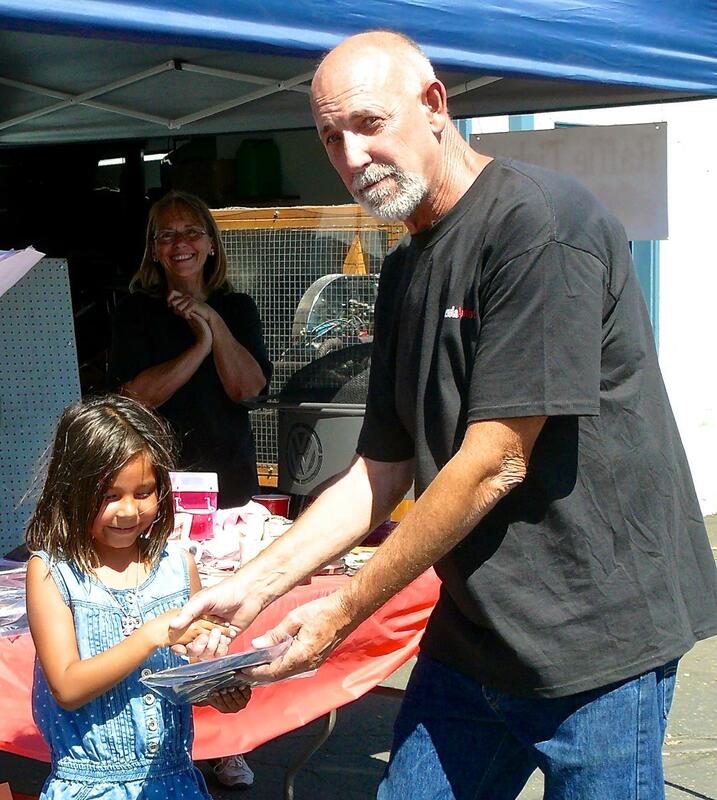 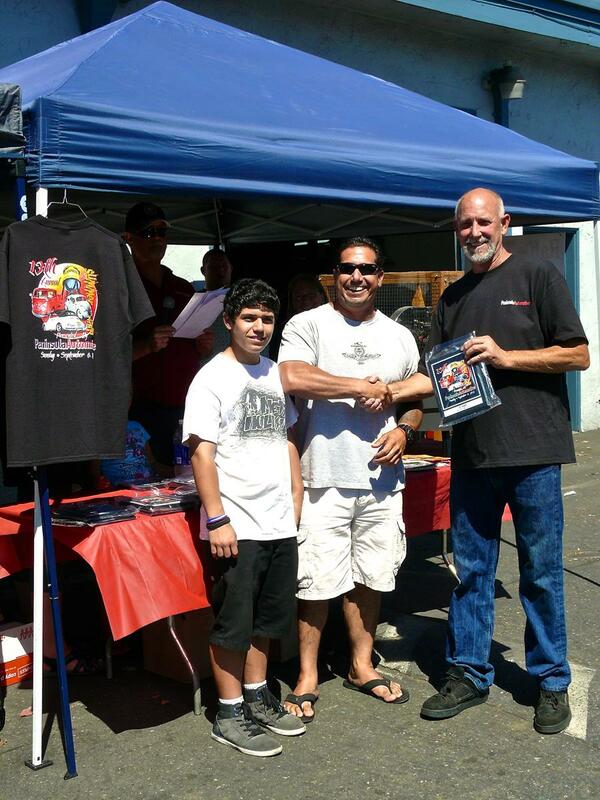 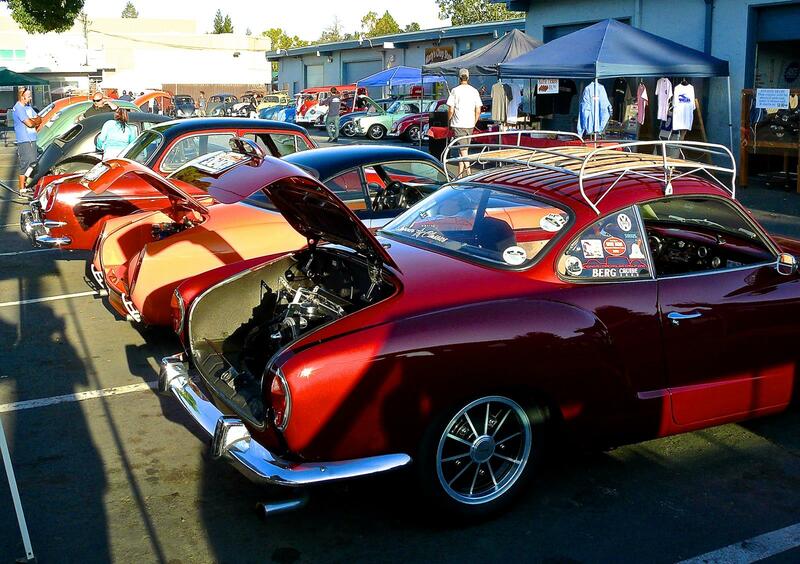 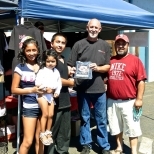 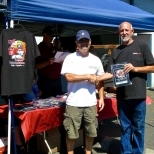 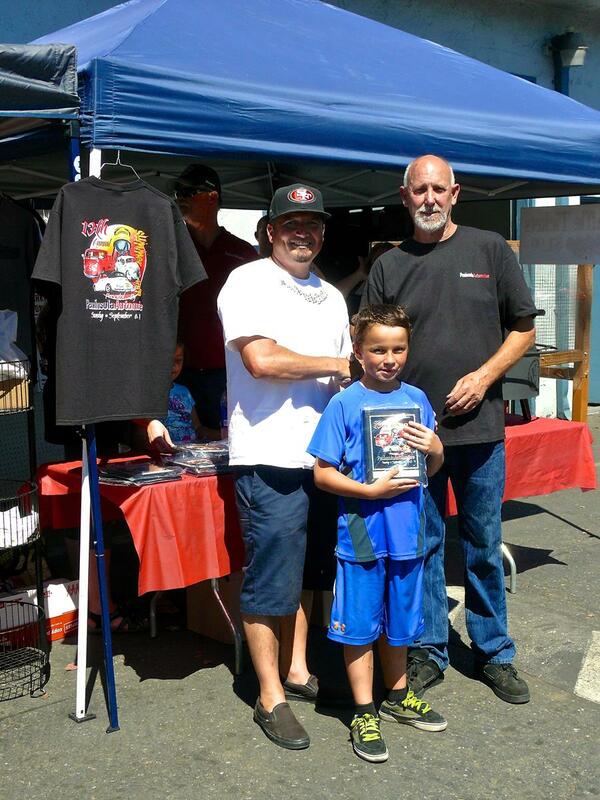 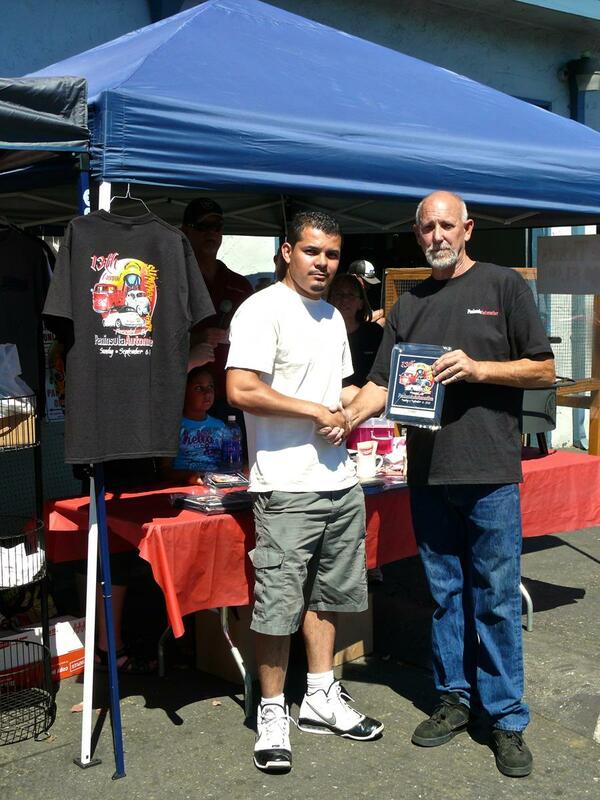 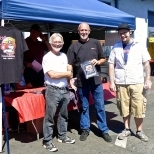 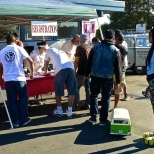 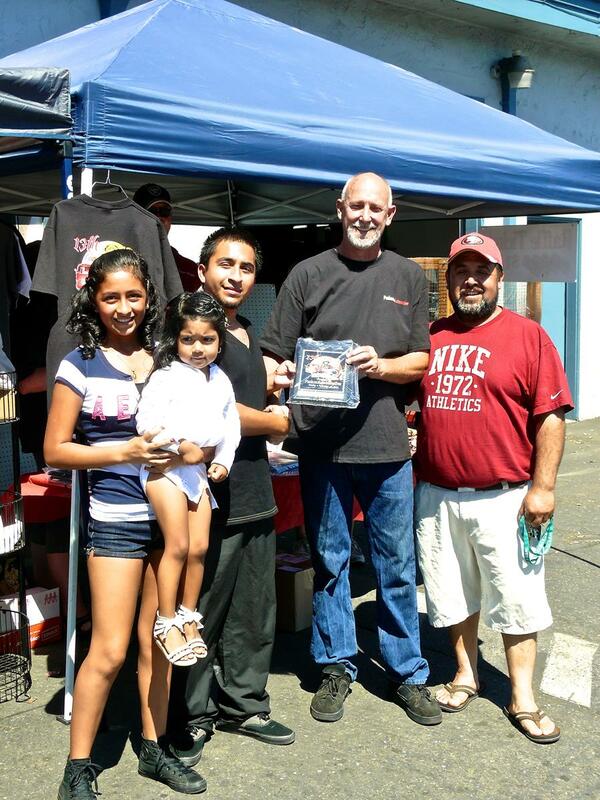 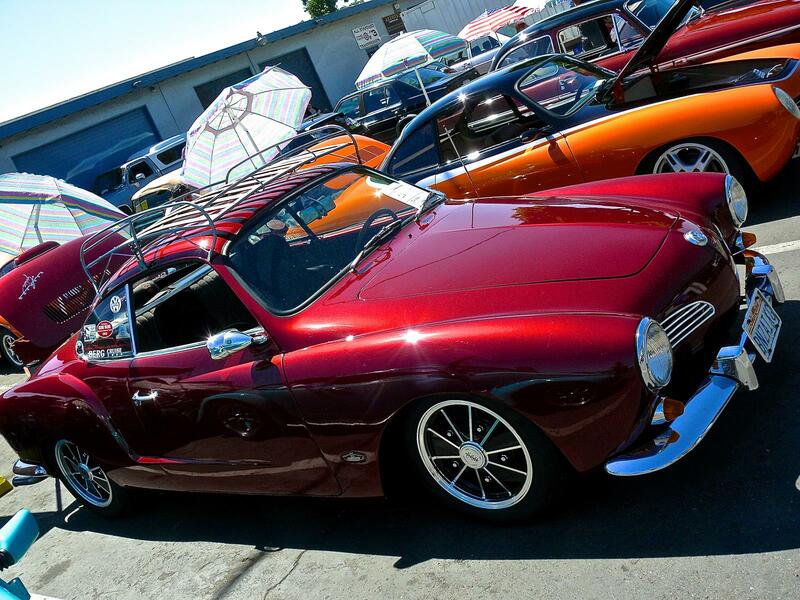 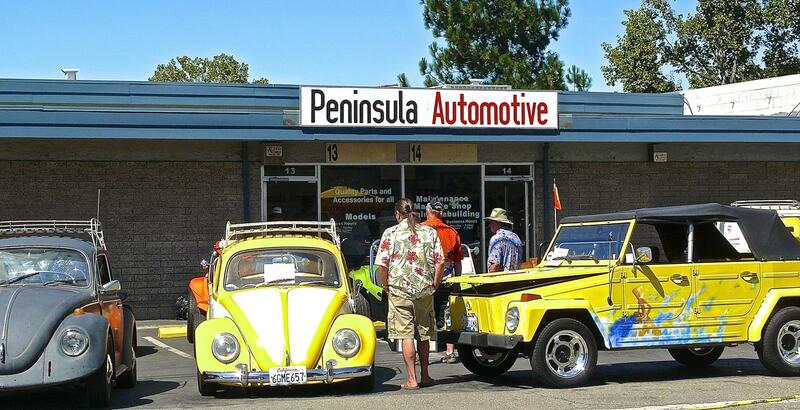 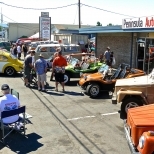 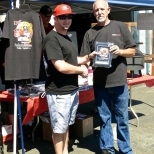 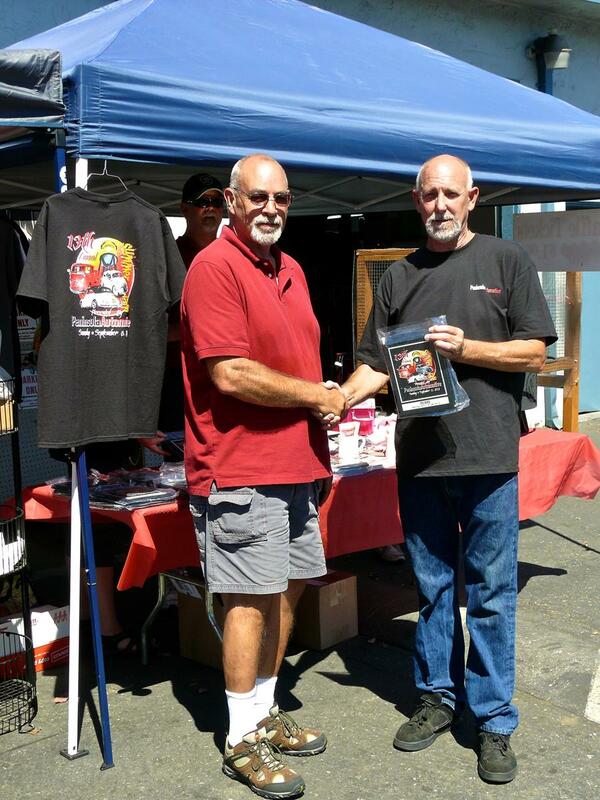 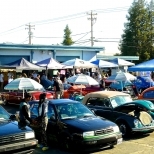 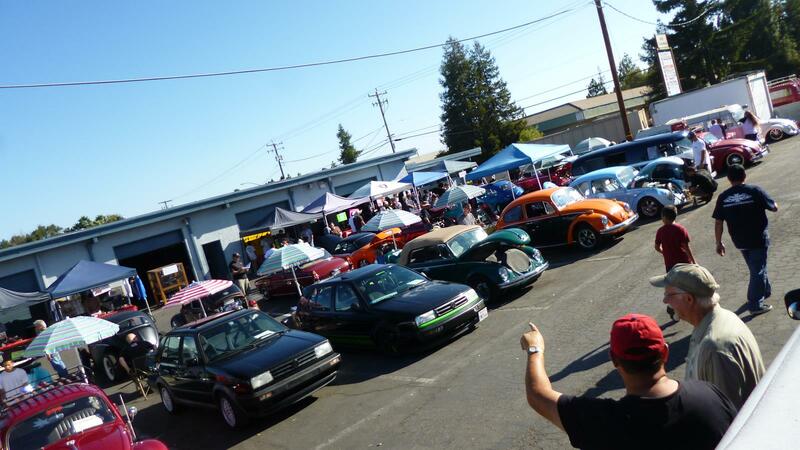 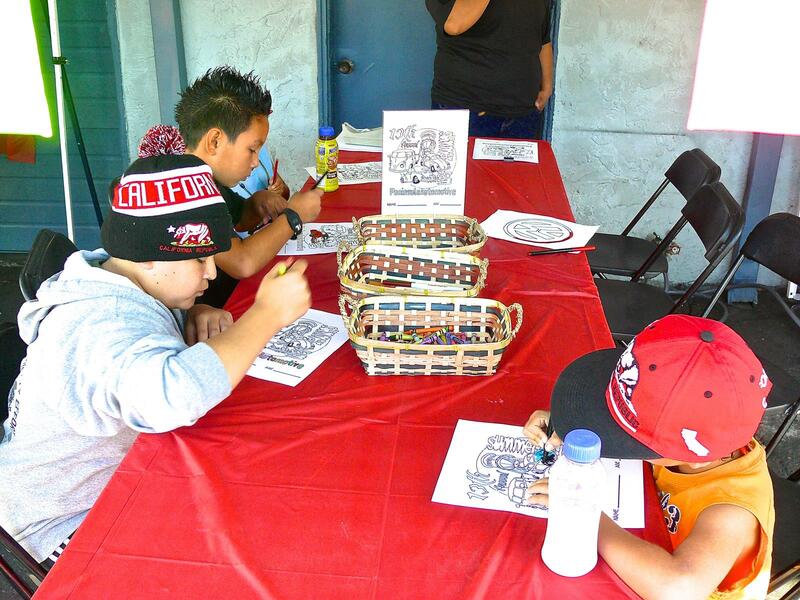 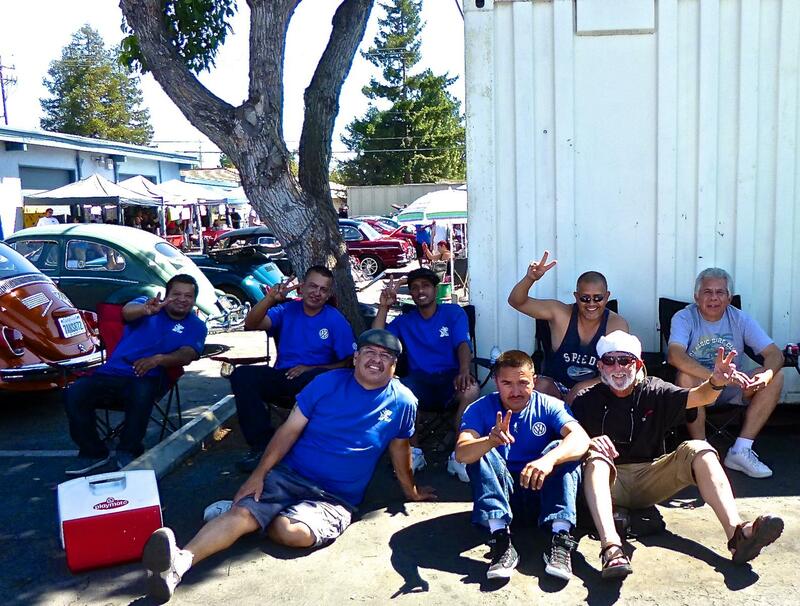 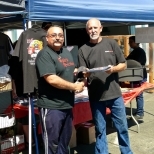 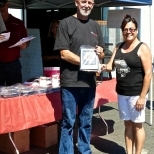 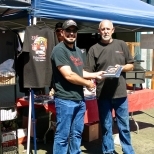 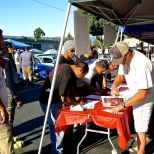 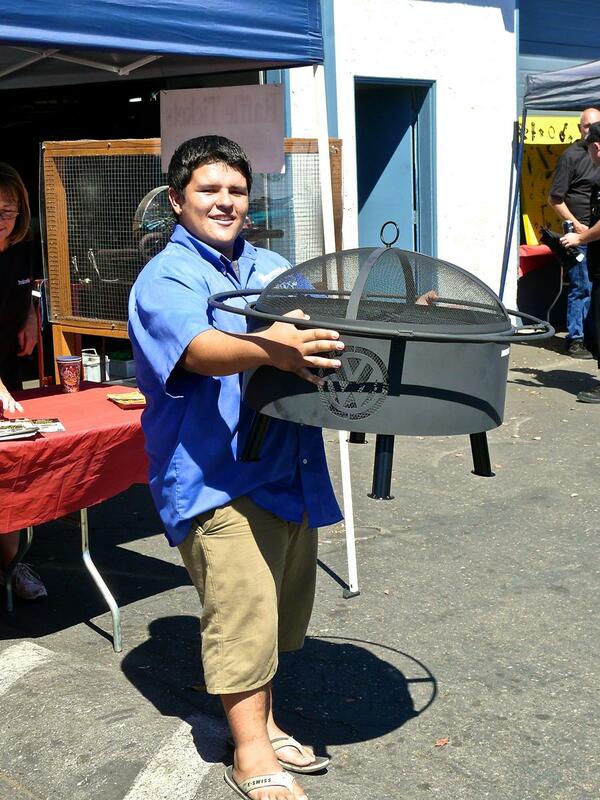 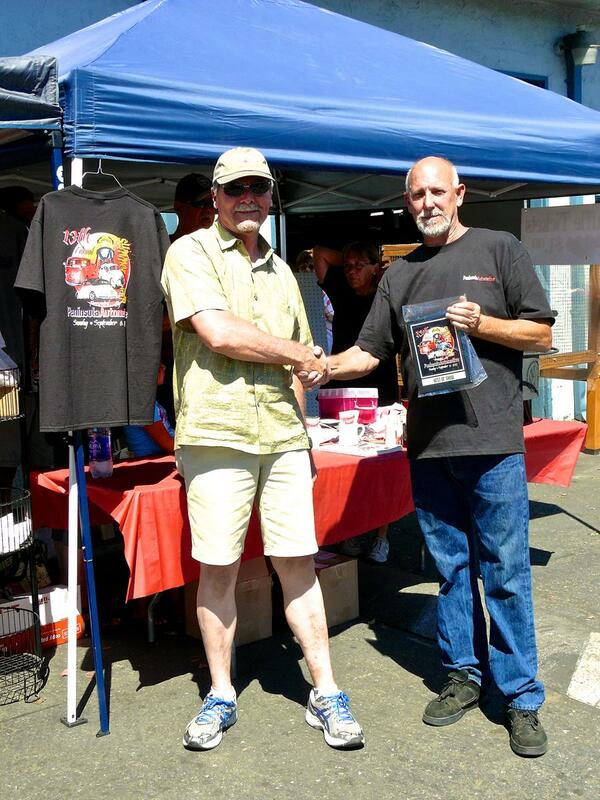 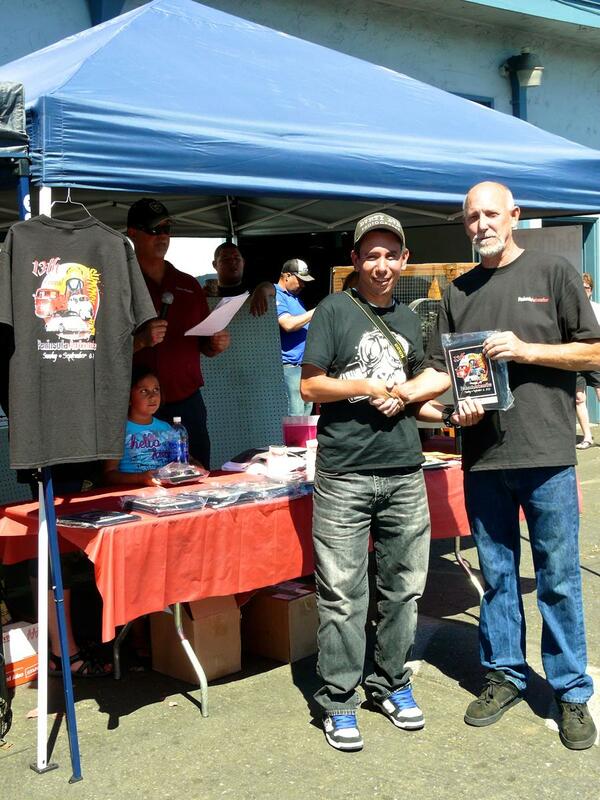 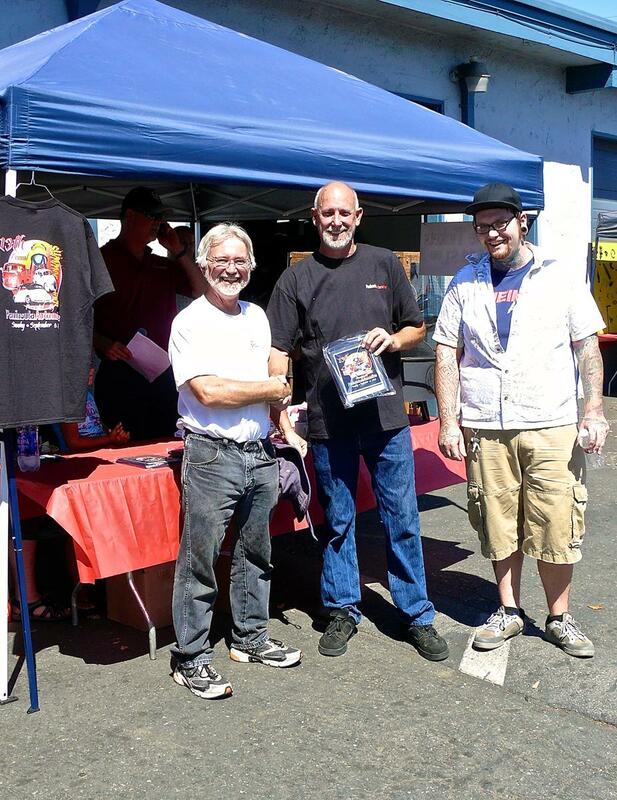 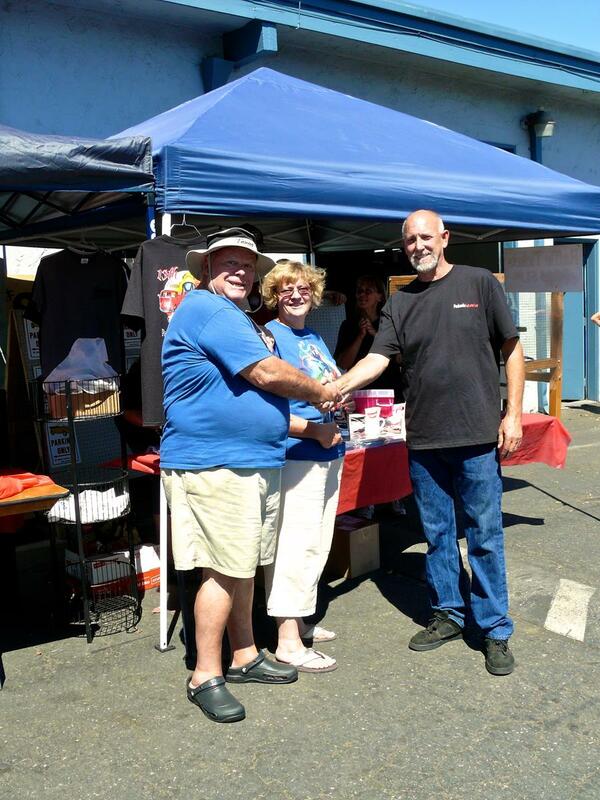 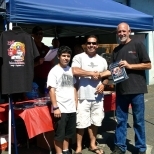 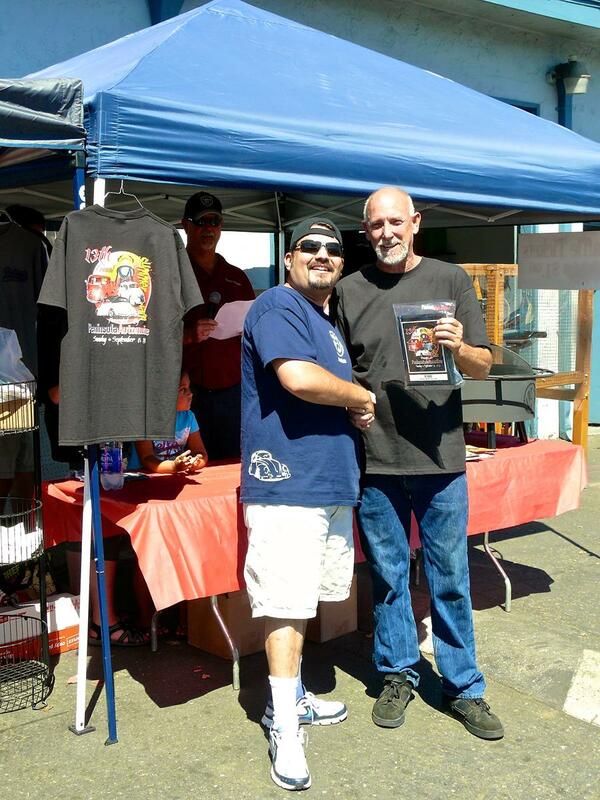 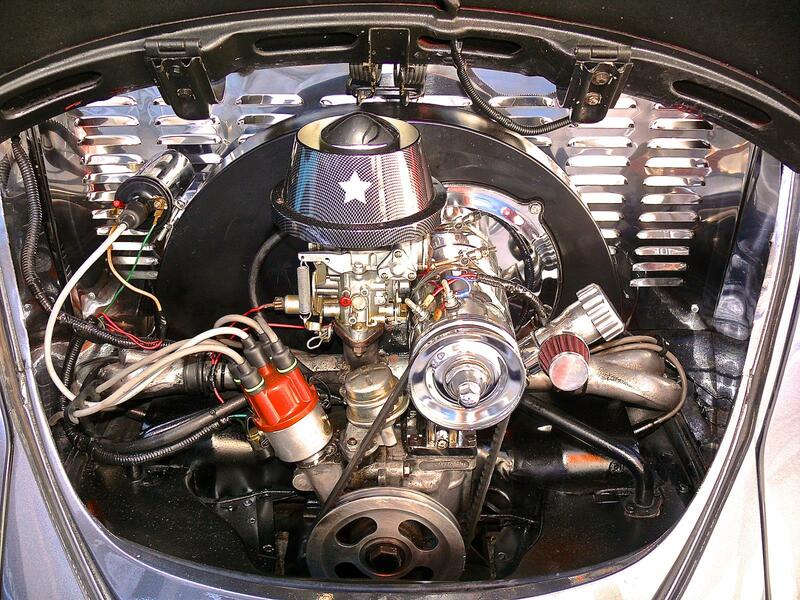 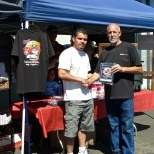 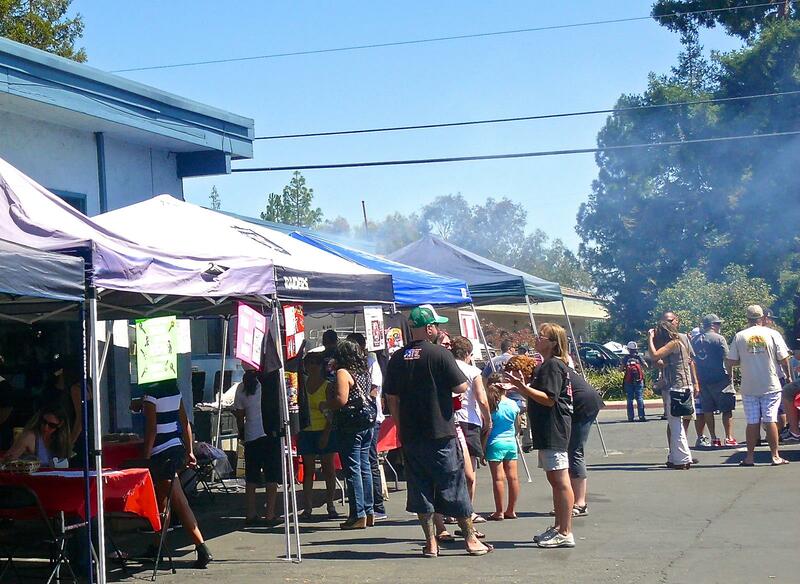 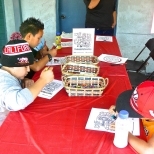 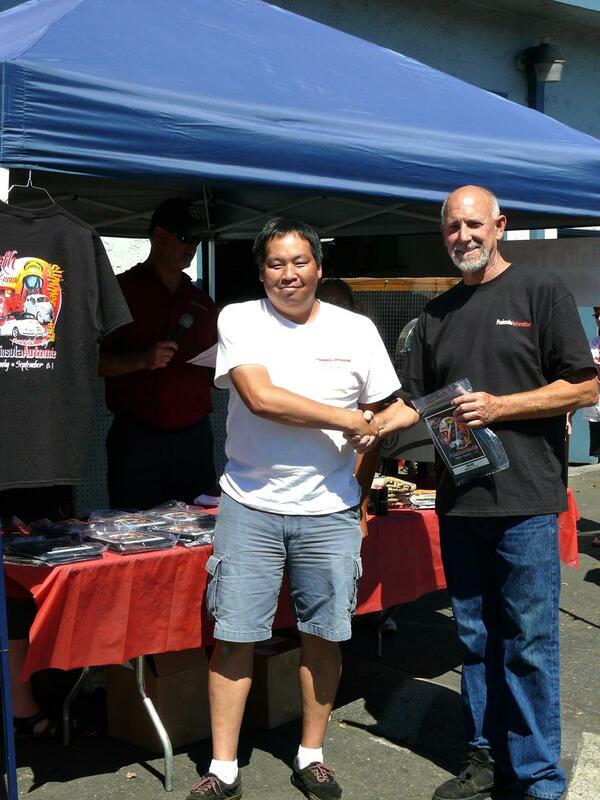 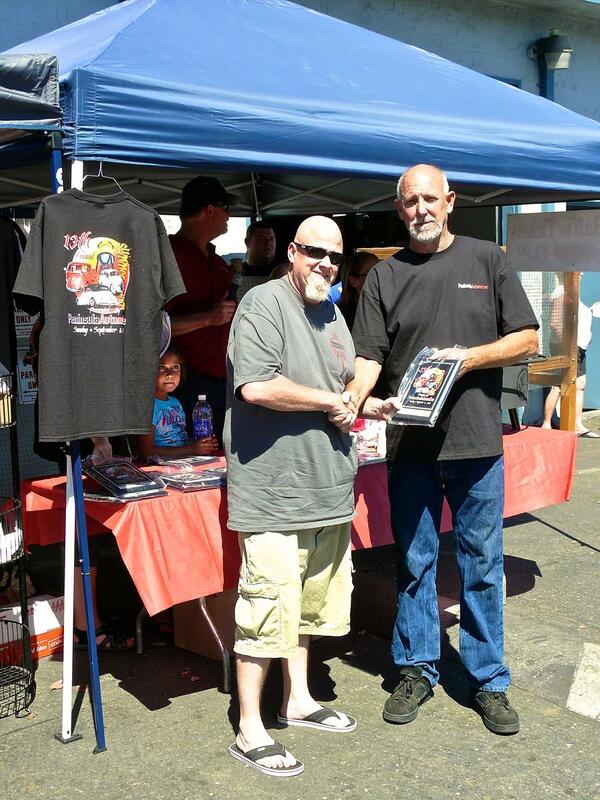 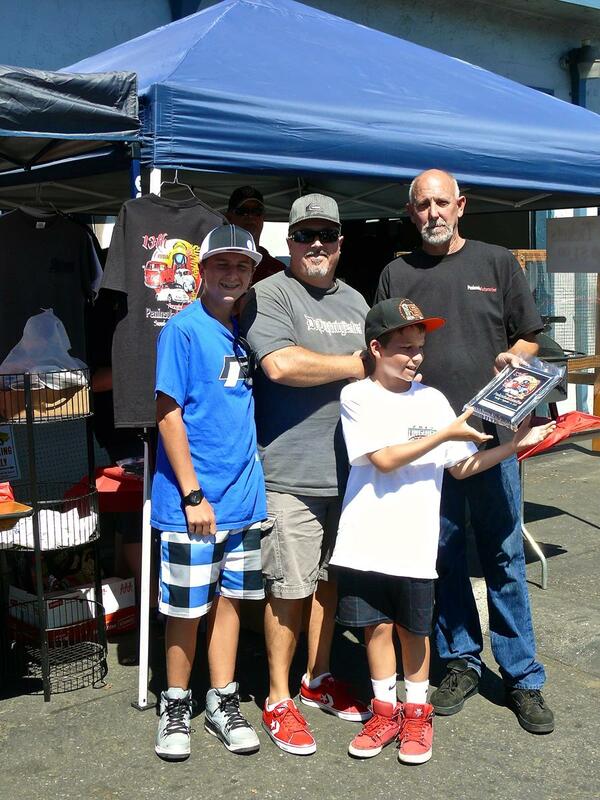 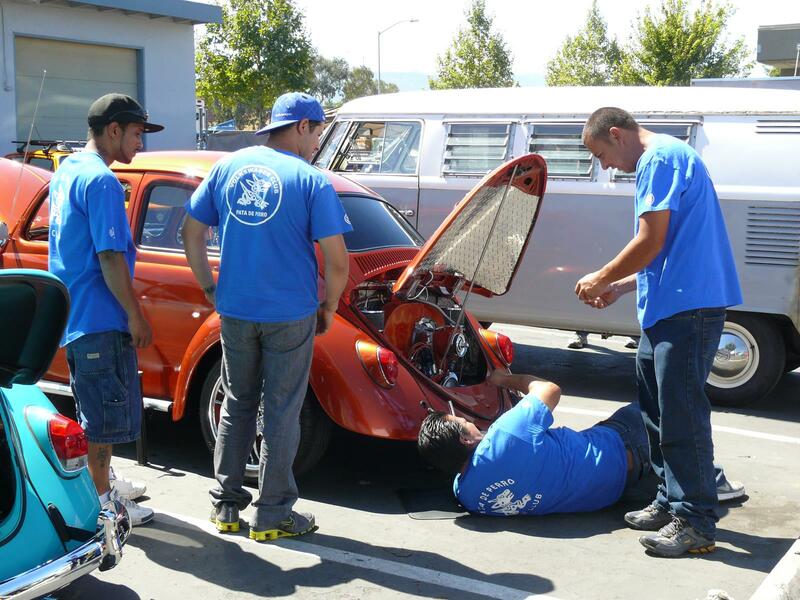 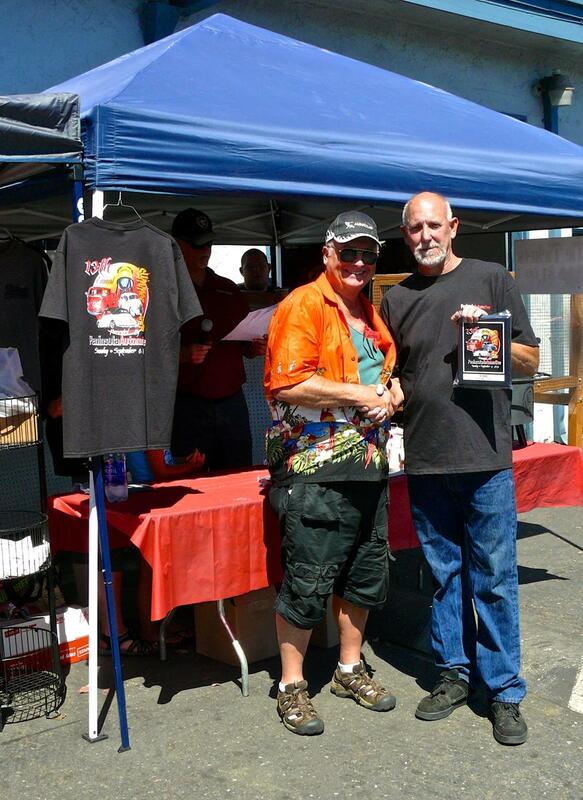 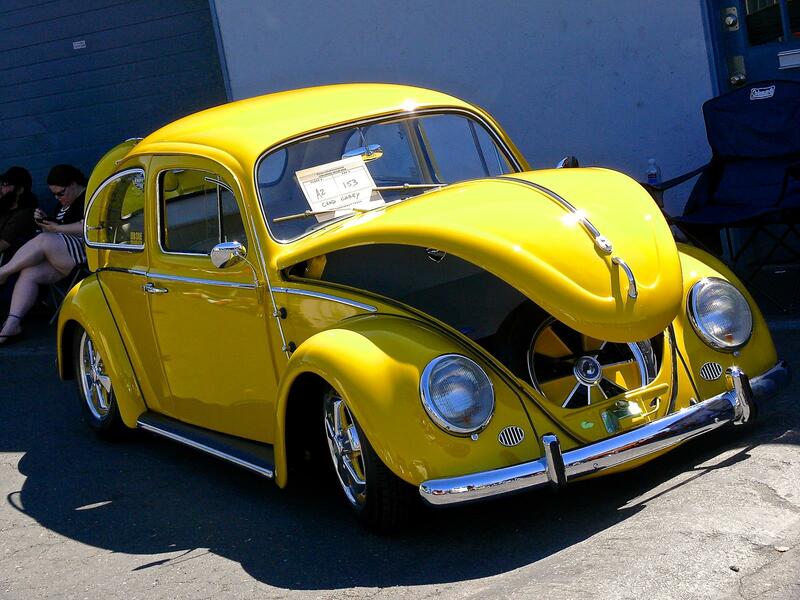 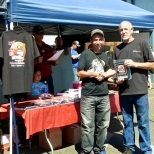 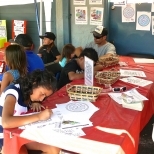 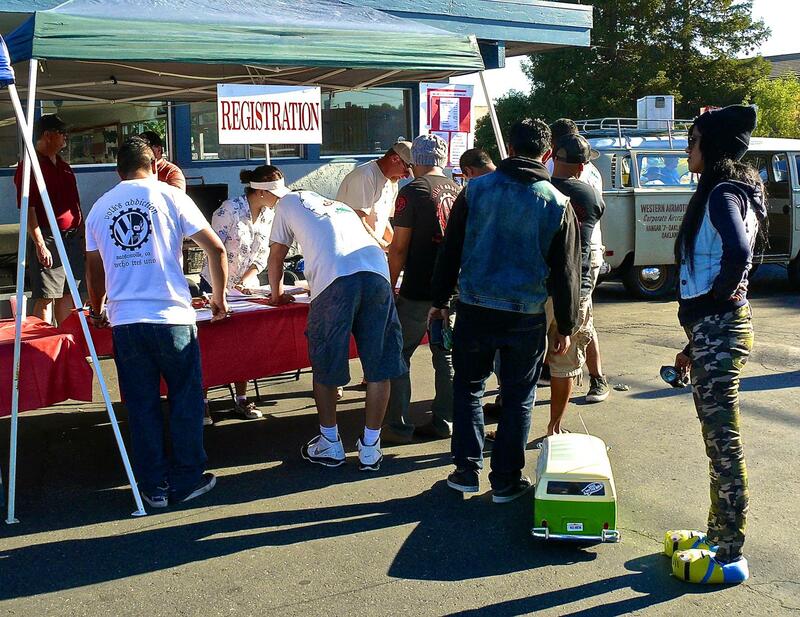 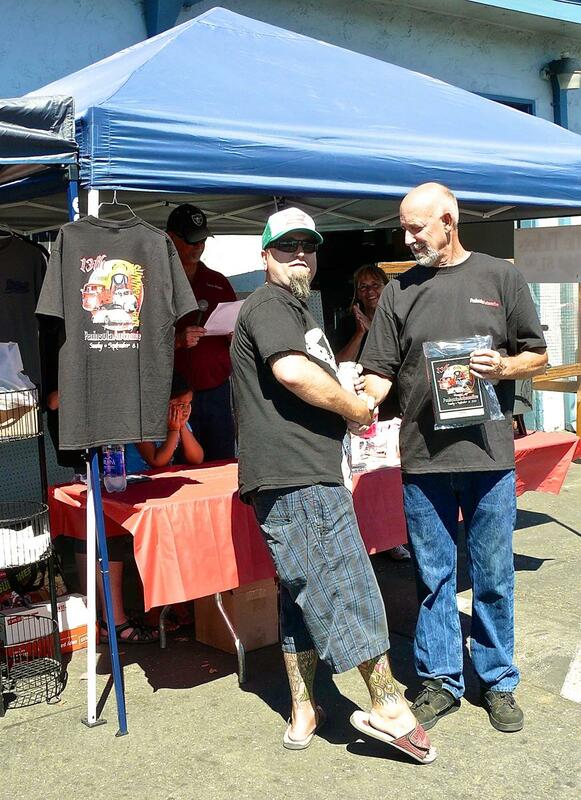 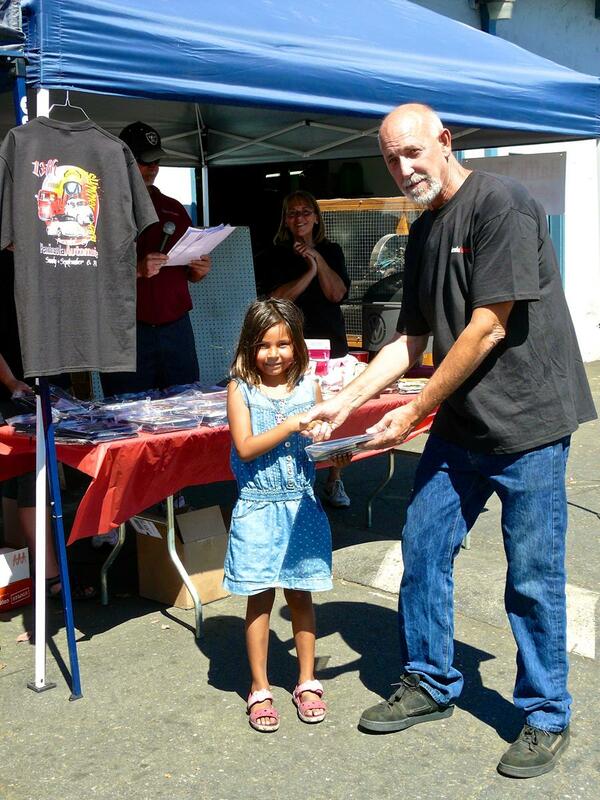 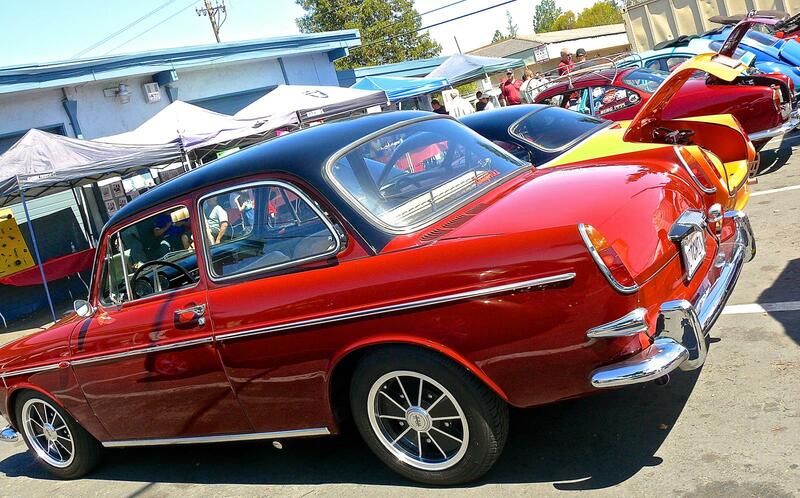 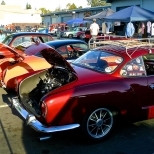 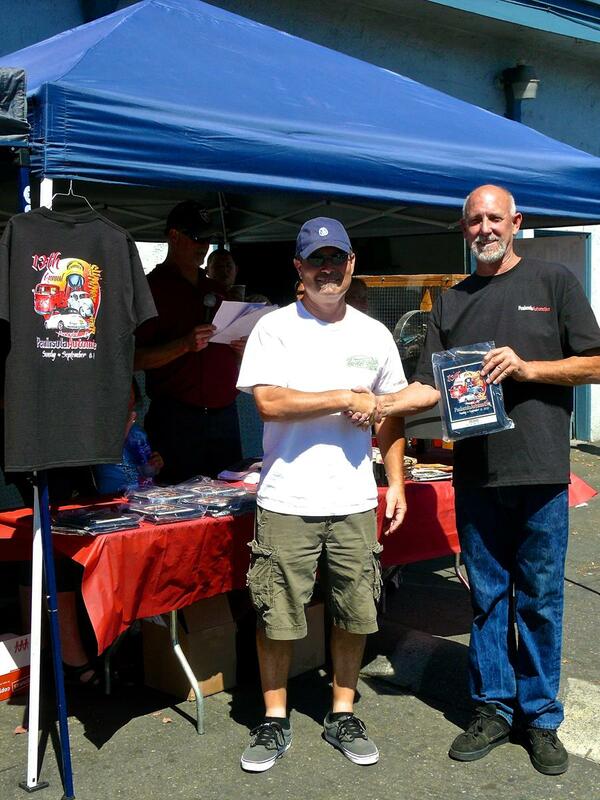 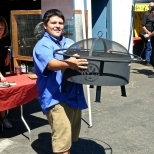 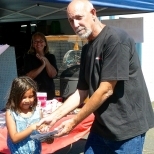 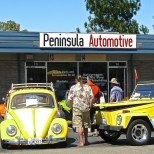 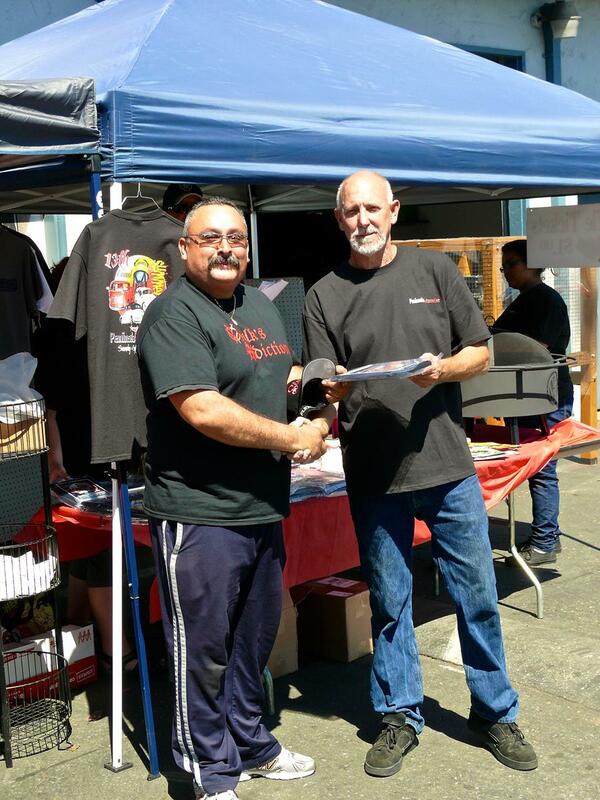 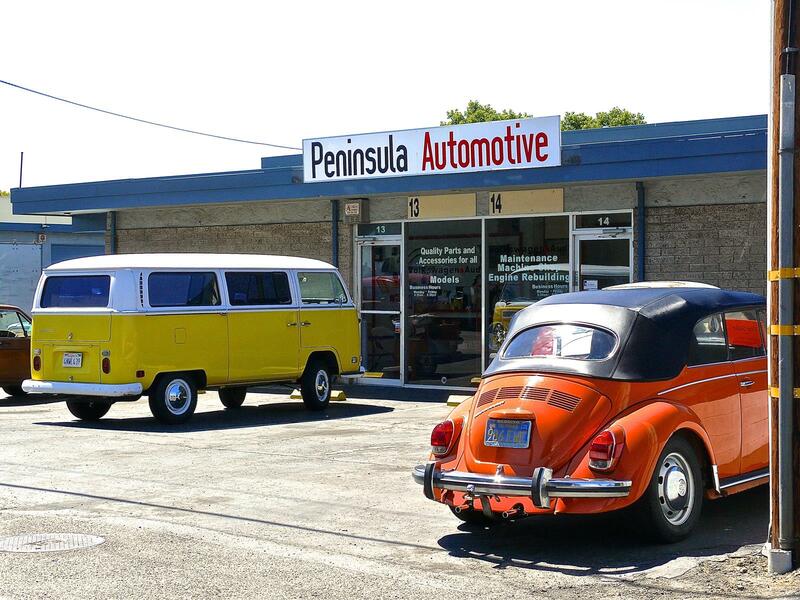 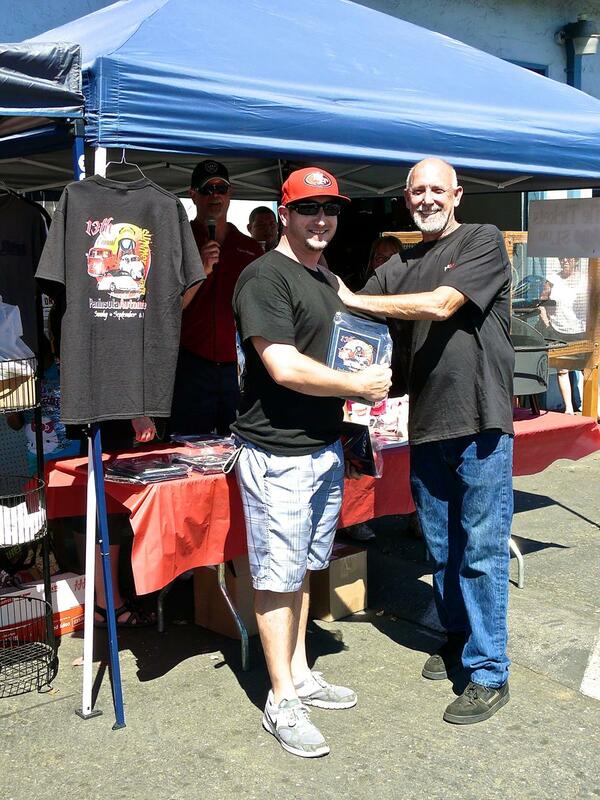 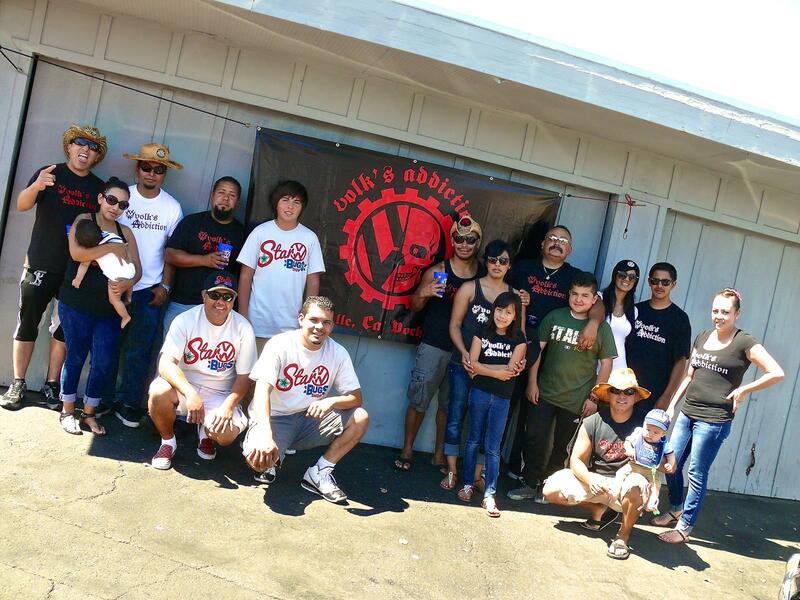 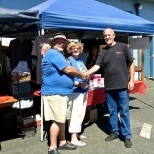 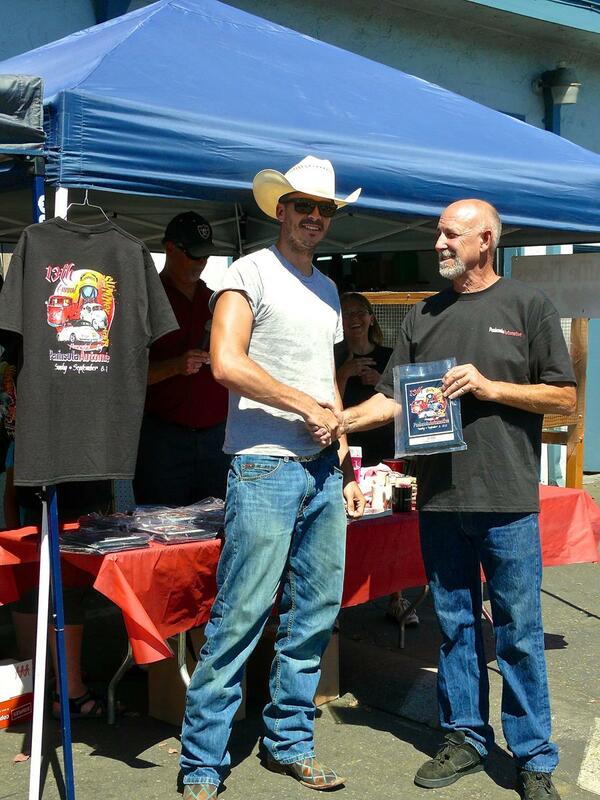 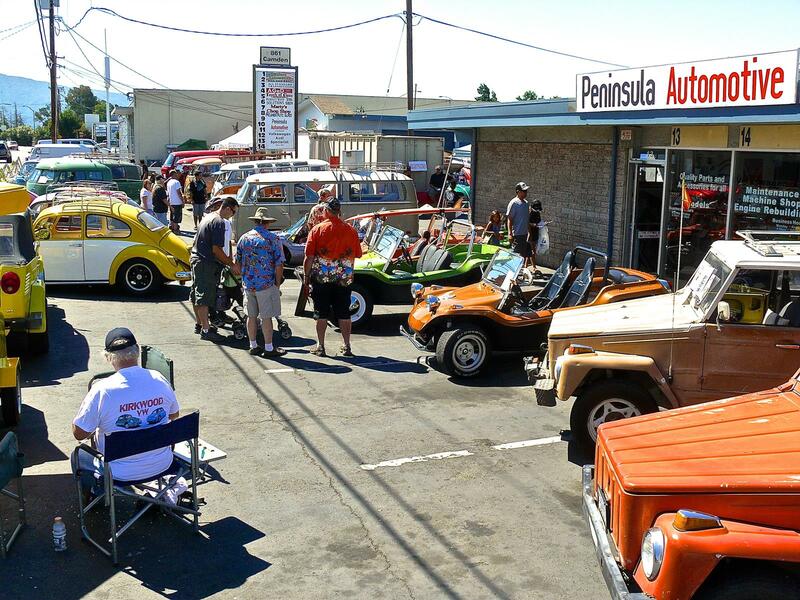 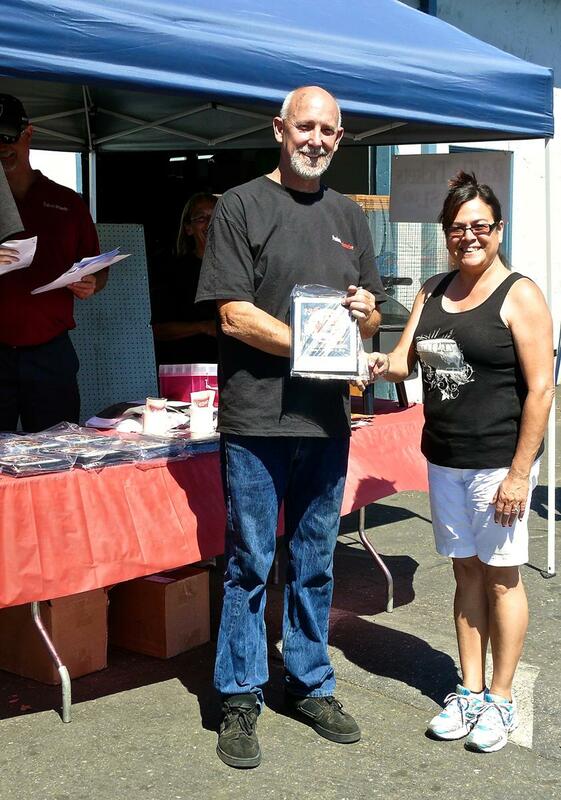 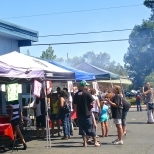 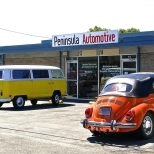 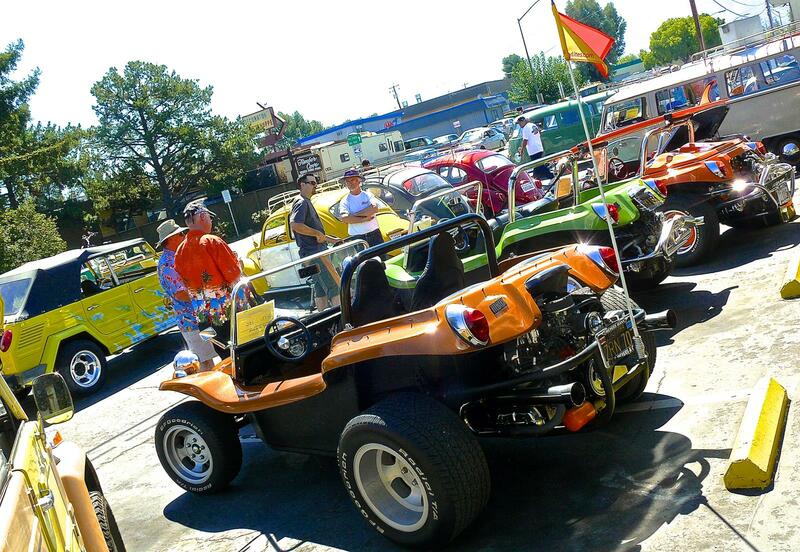 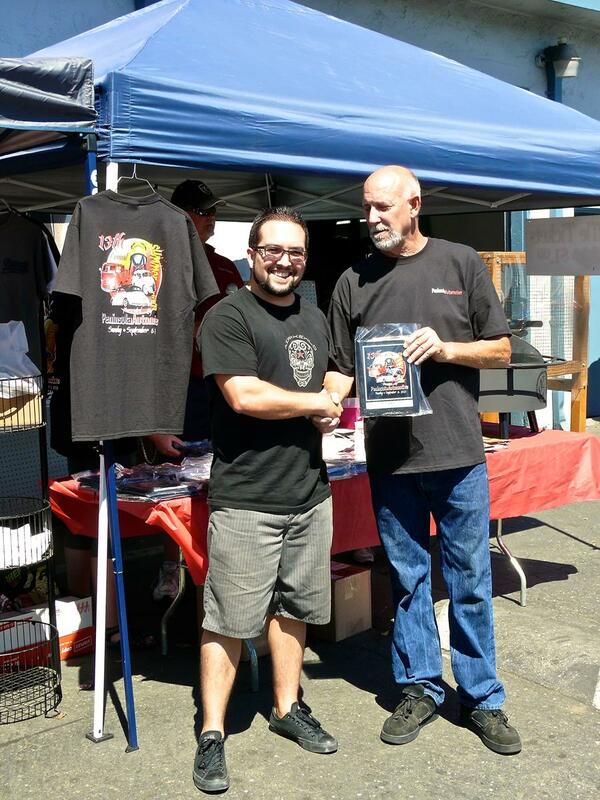 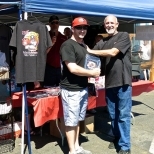 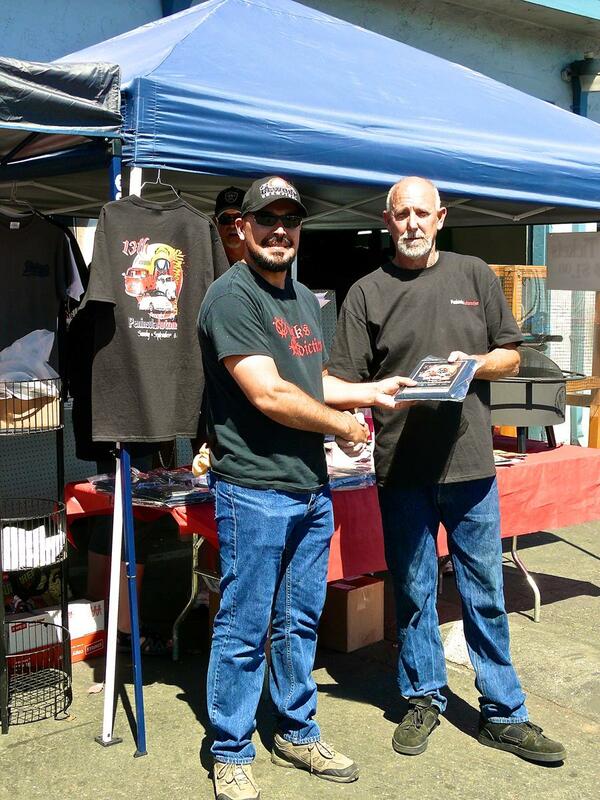 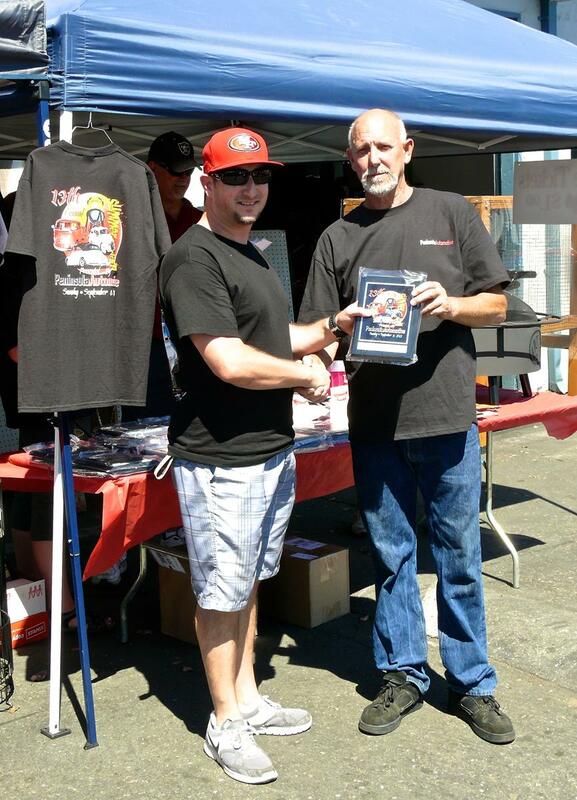 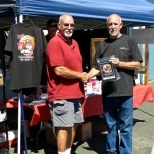 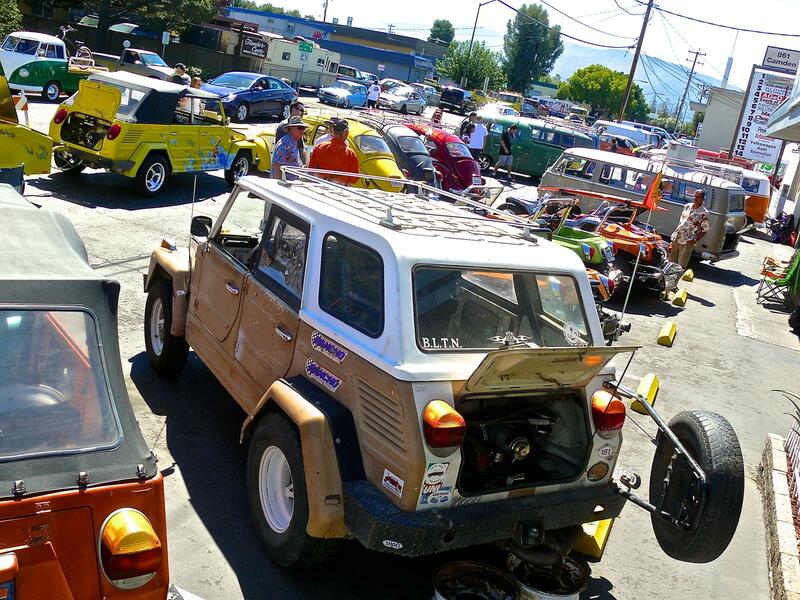 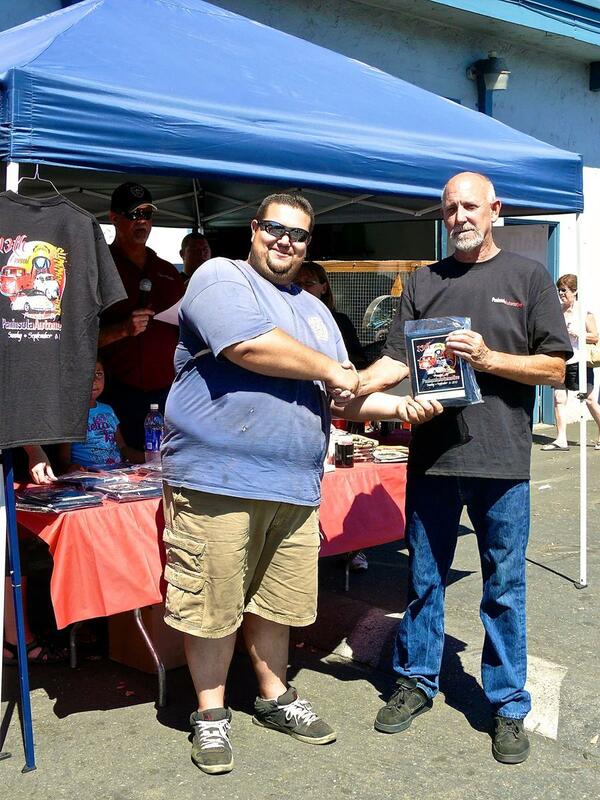 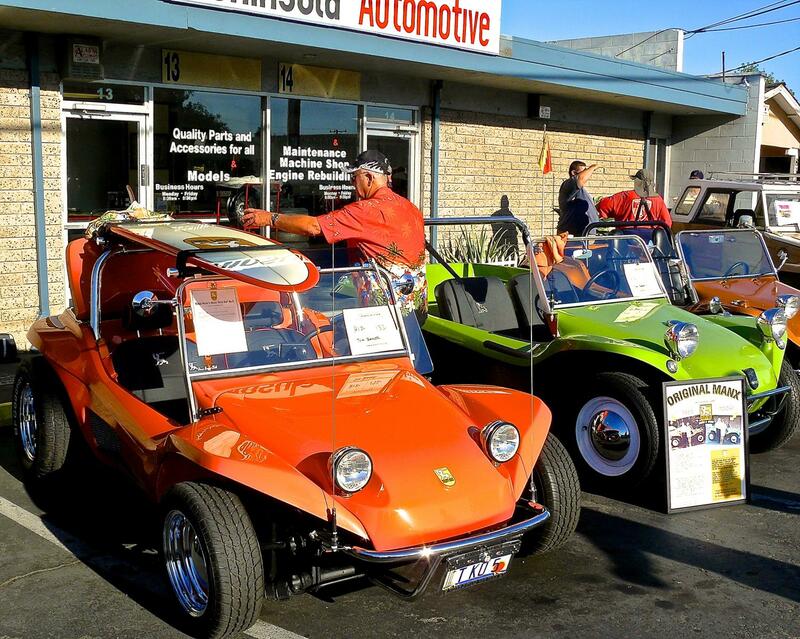 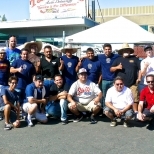 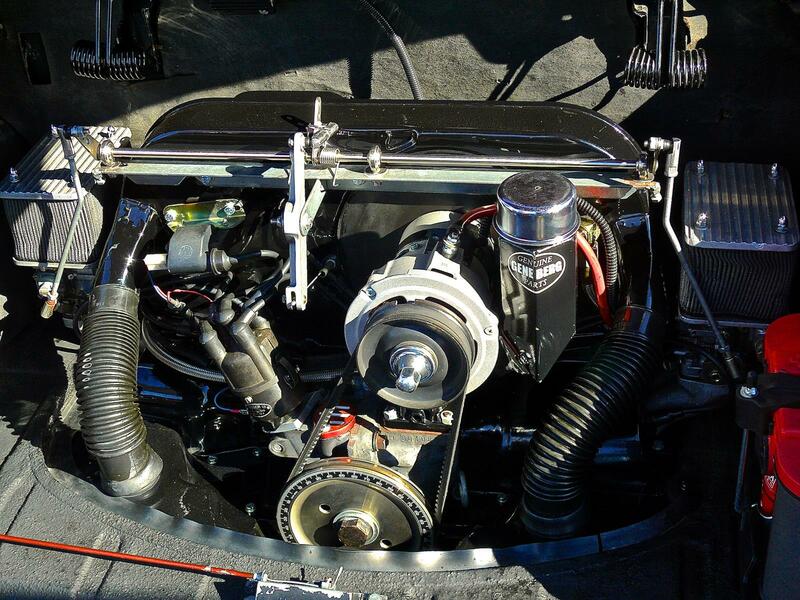 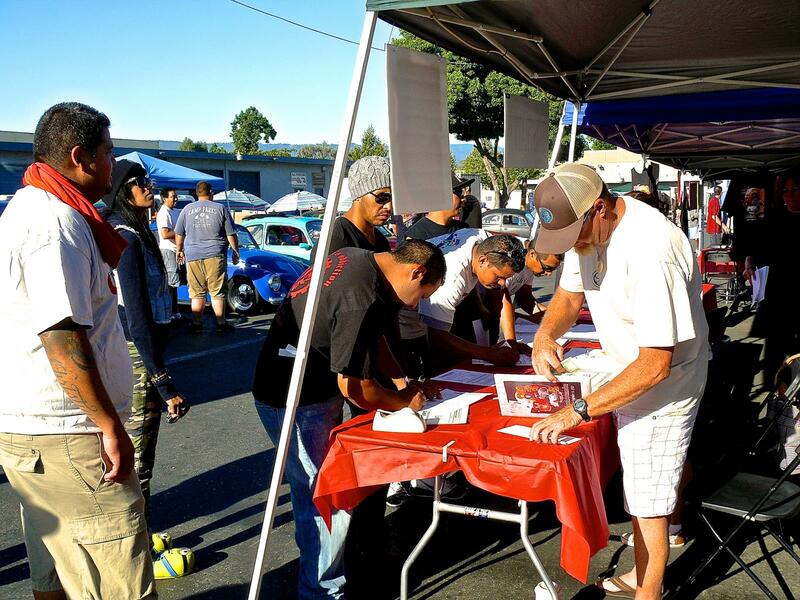 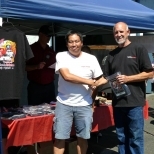 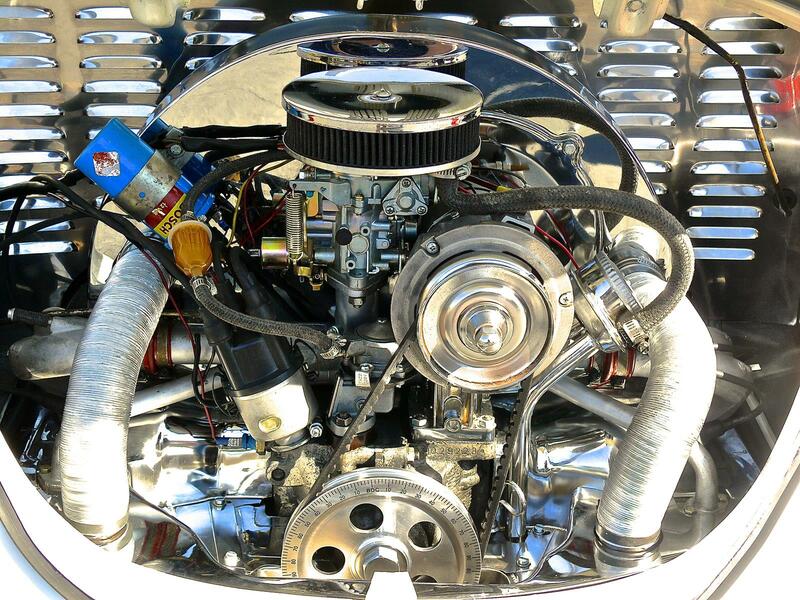 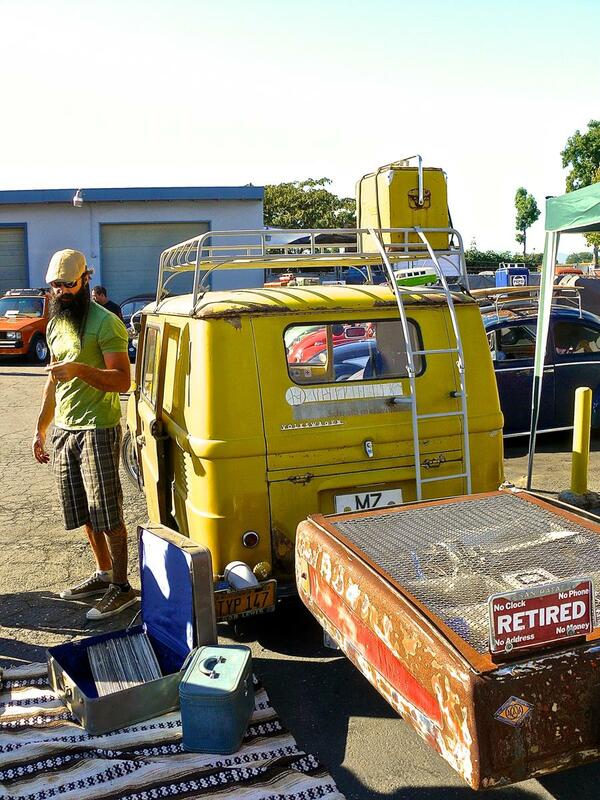 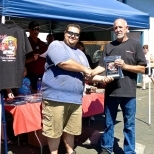 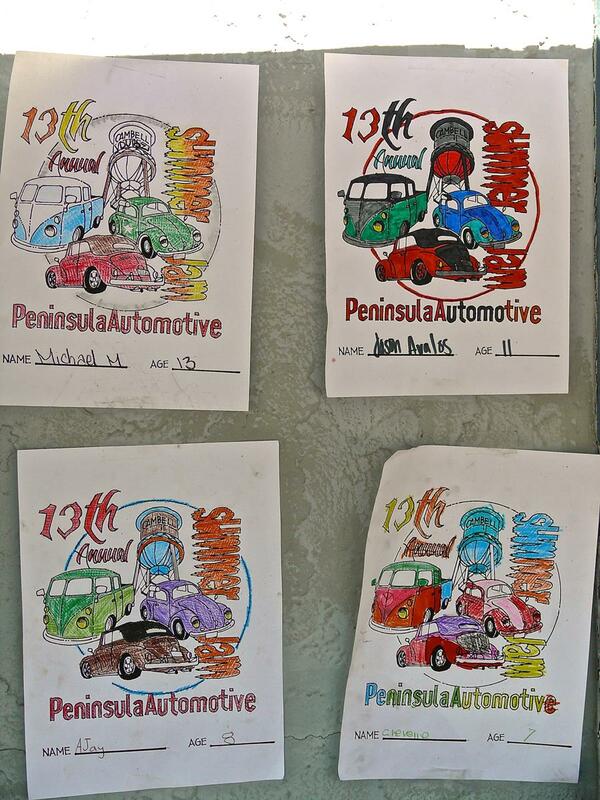 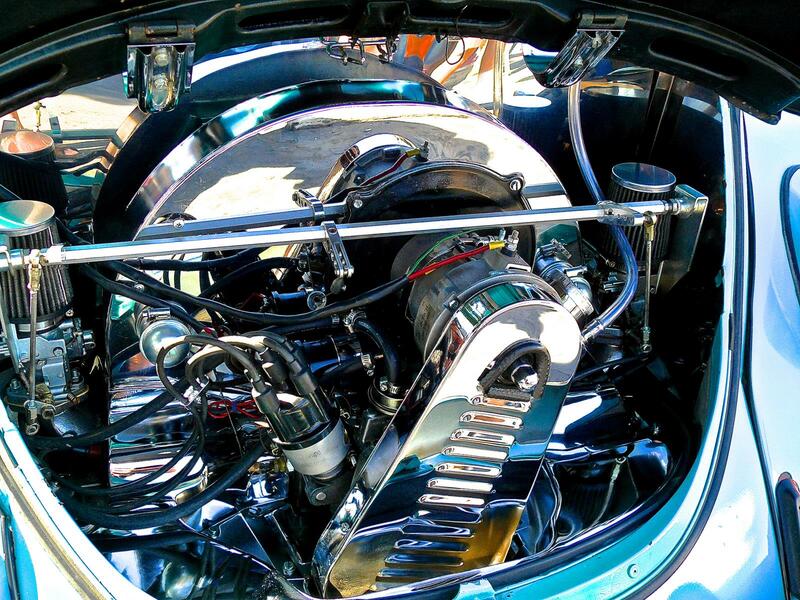 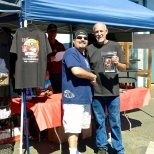 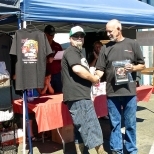 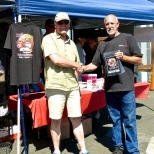 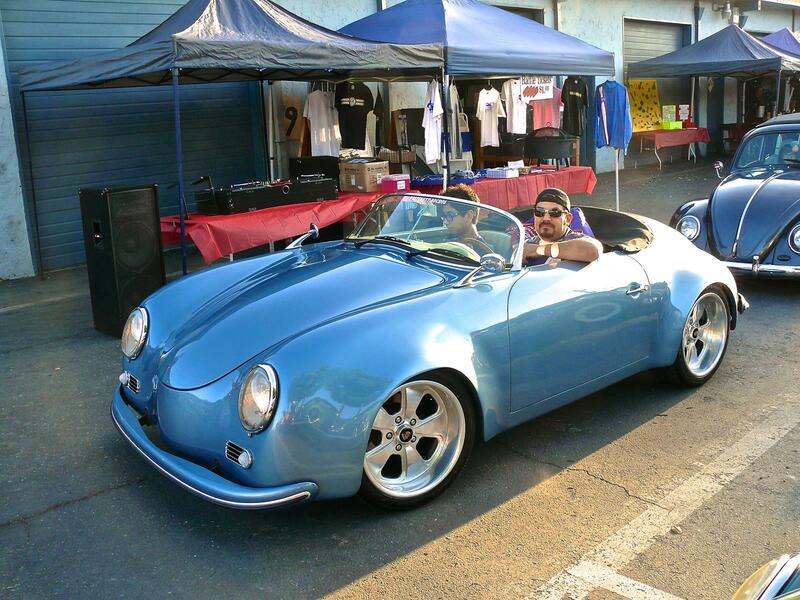 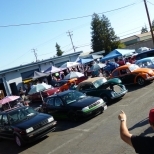 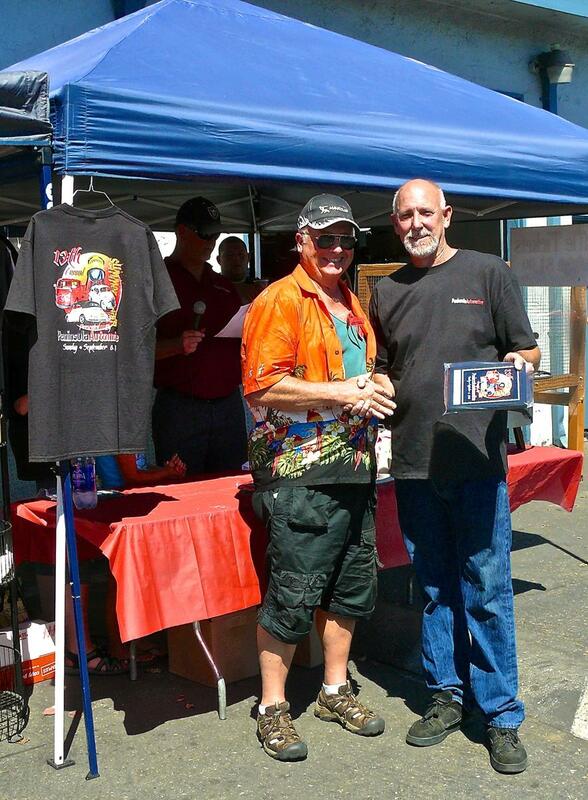 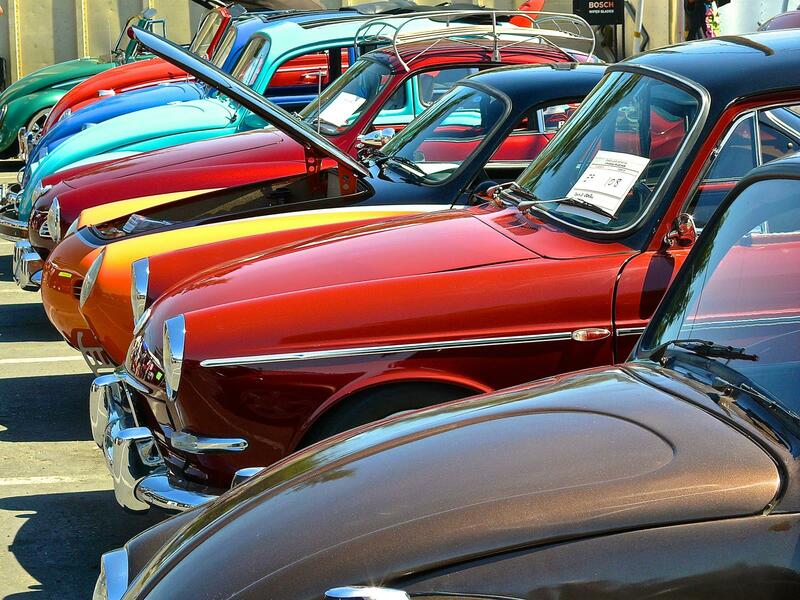 Peninsula Automotive hosted the 13th Annual Car Show and Swap Meet and Storewide Sale on Sunday, September 8, 2013. 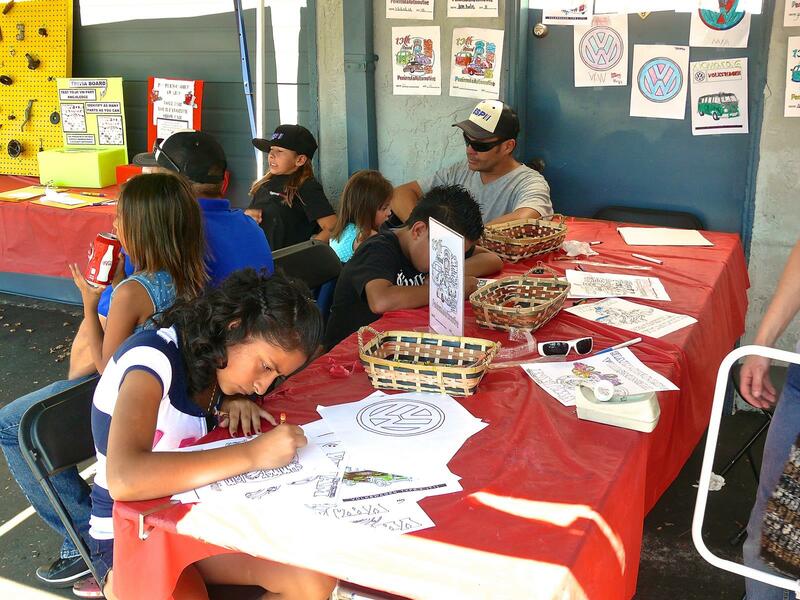 It was a great day for all the friends and families who joined us for a day of fun and excitement. 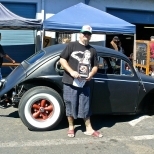 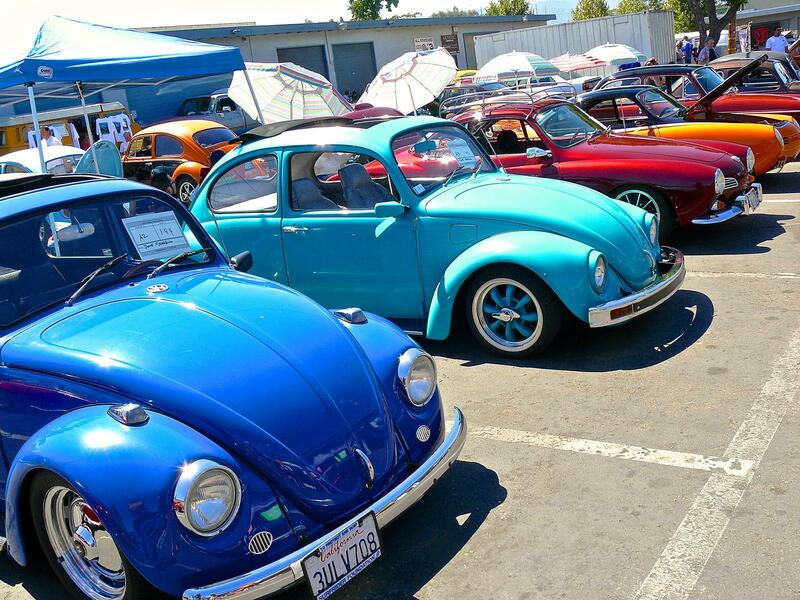 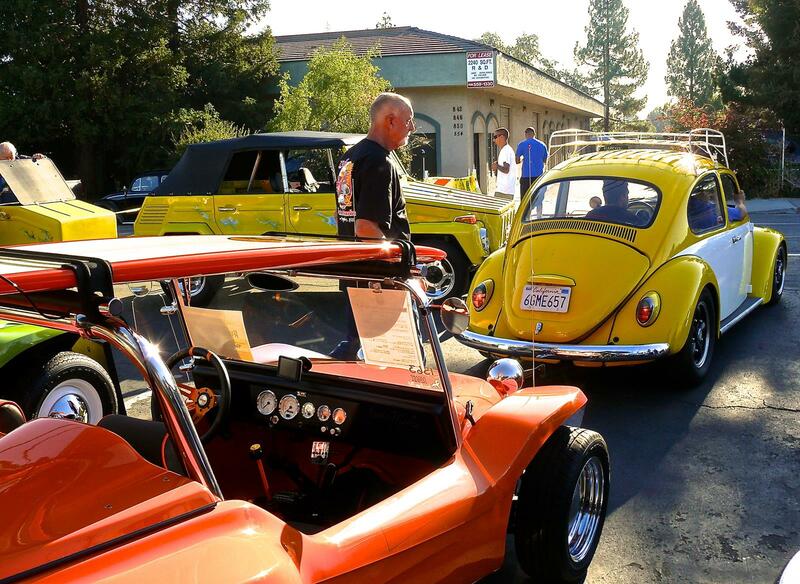 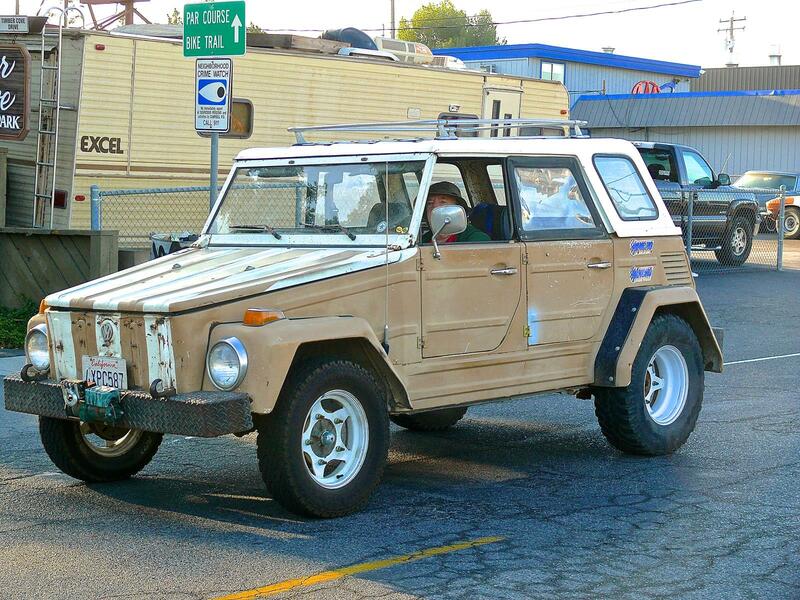 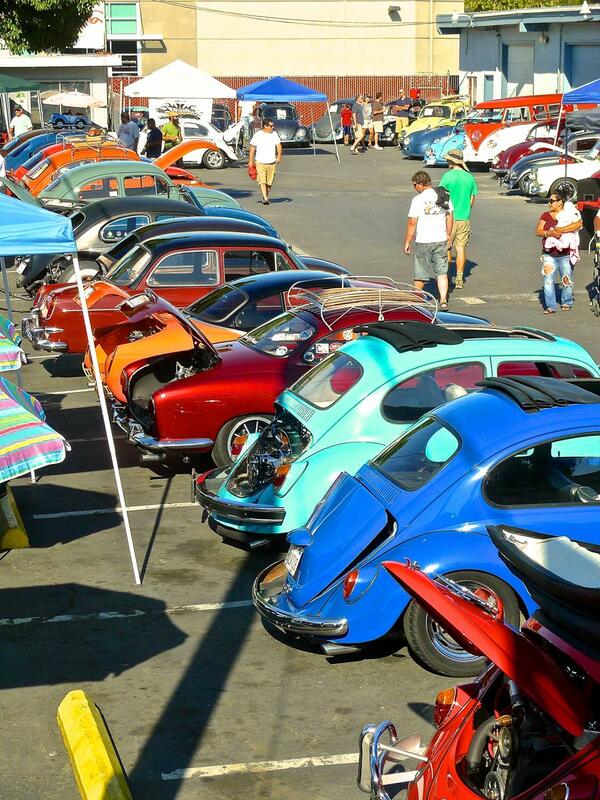 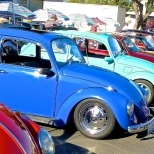 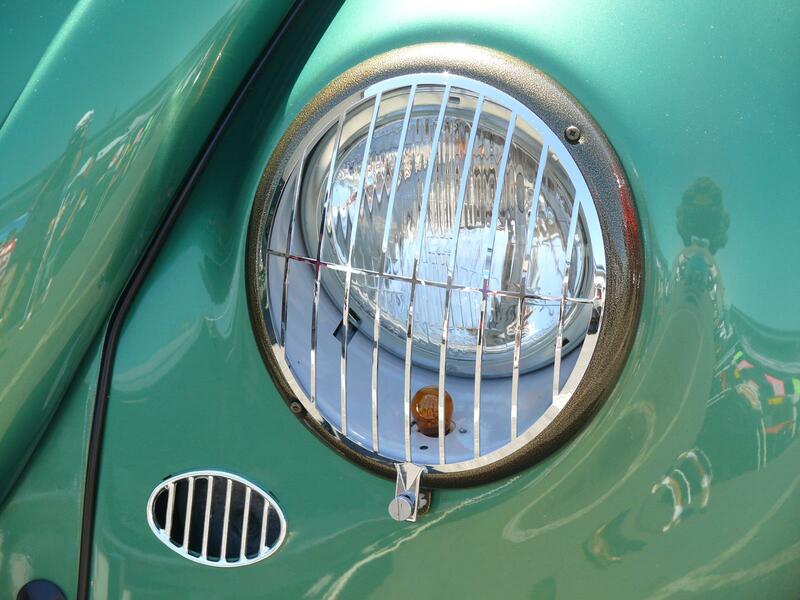 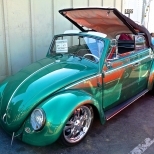 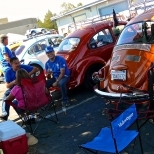 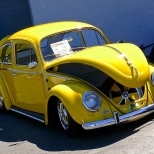 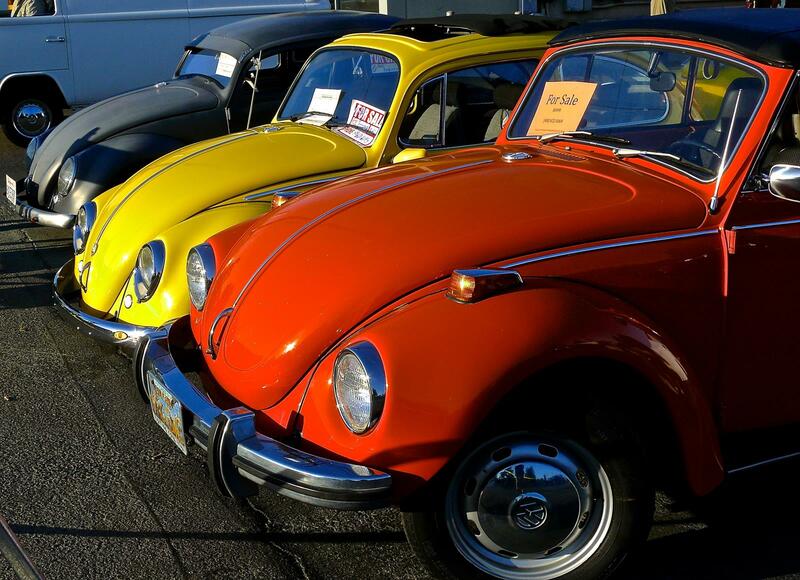 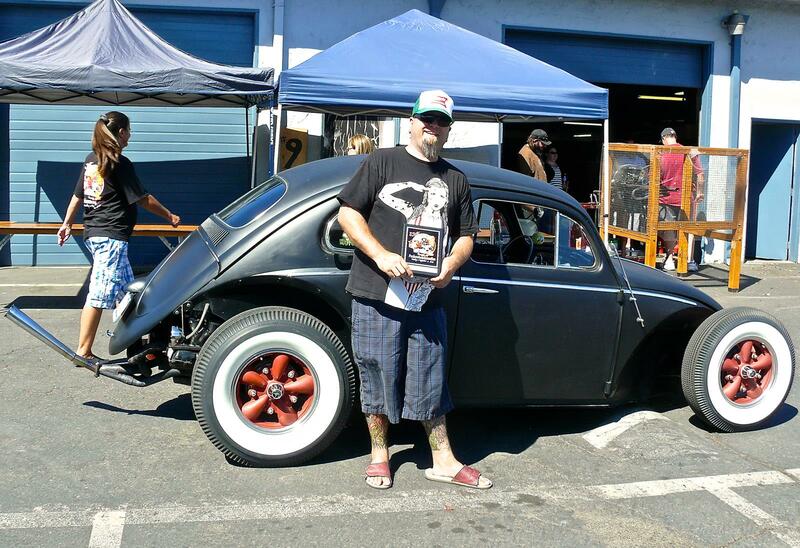 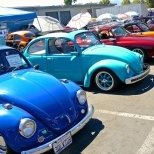 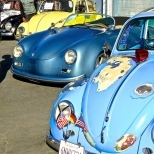 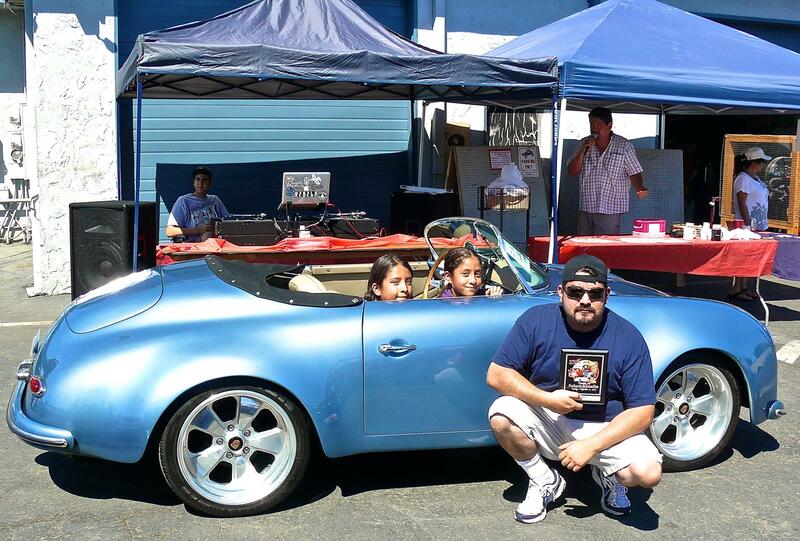 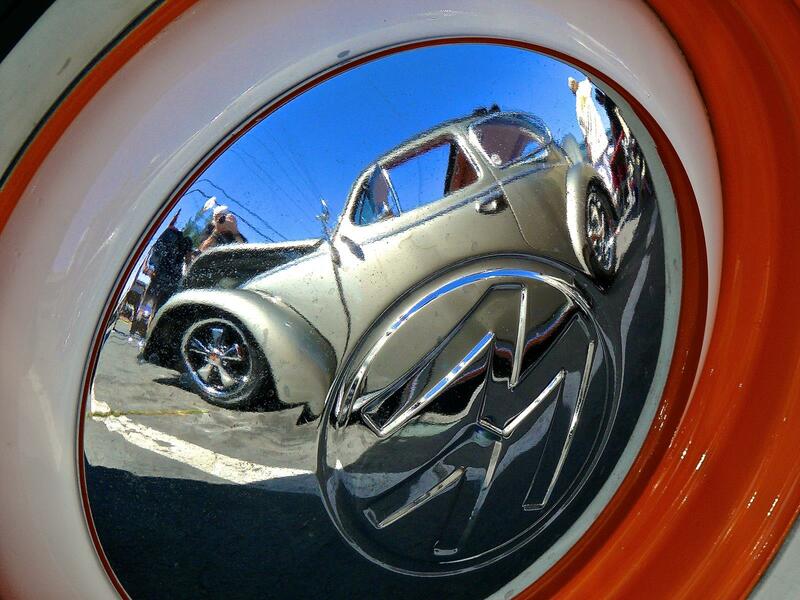 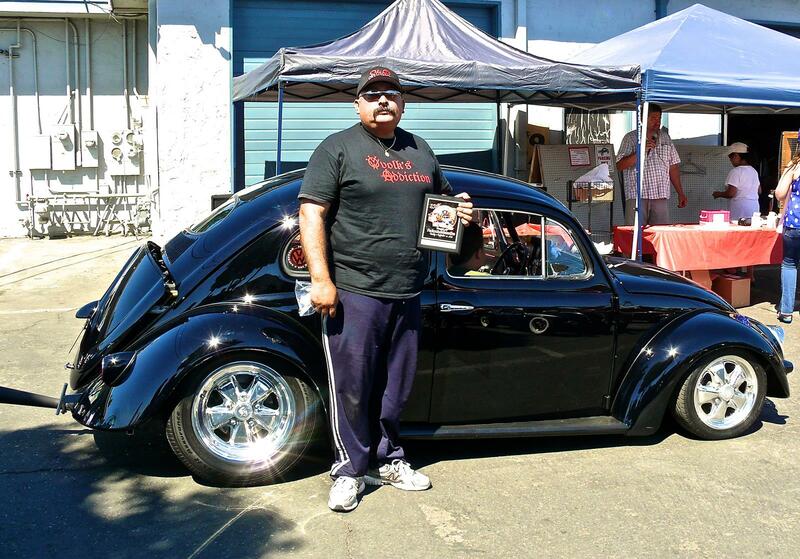 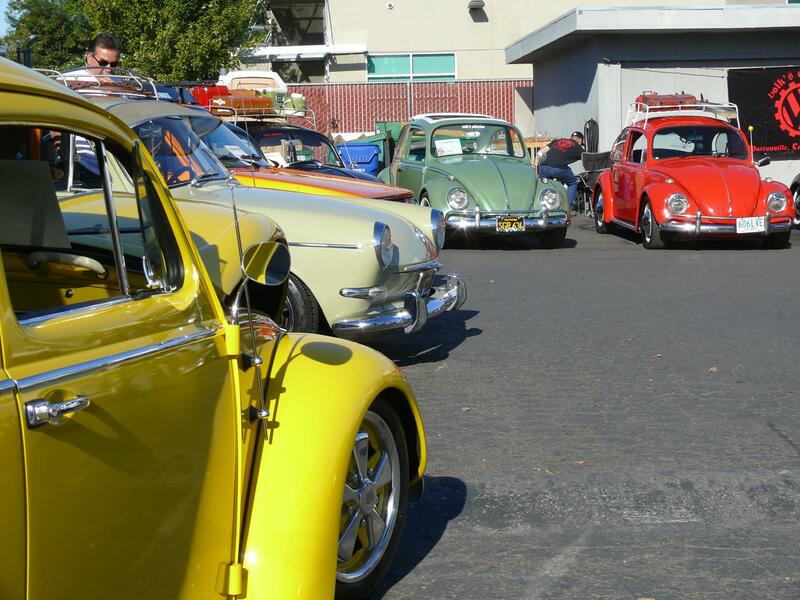 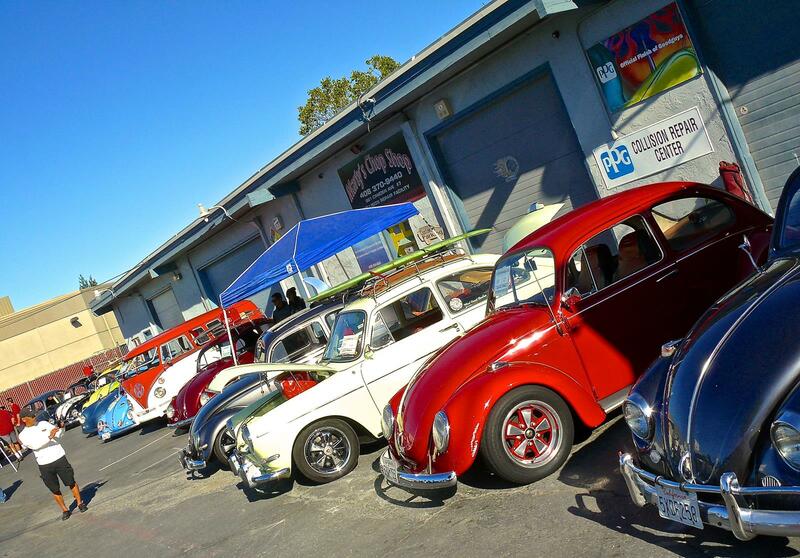 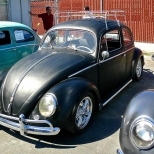 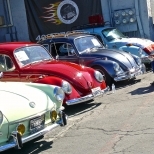 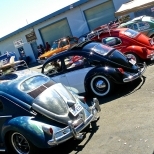 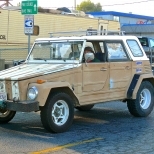 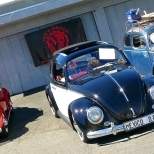 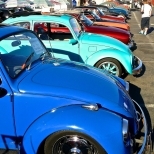 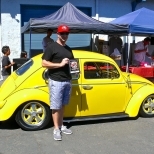 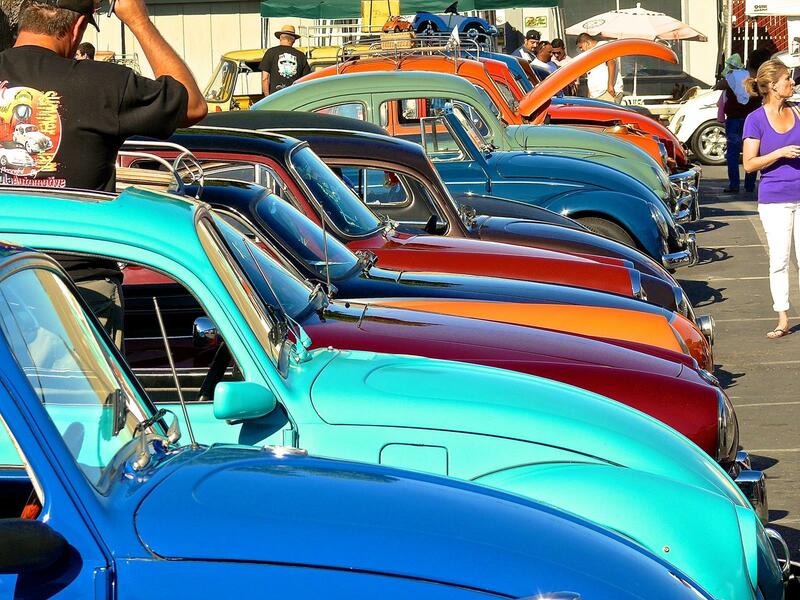 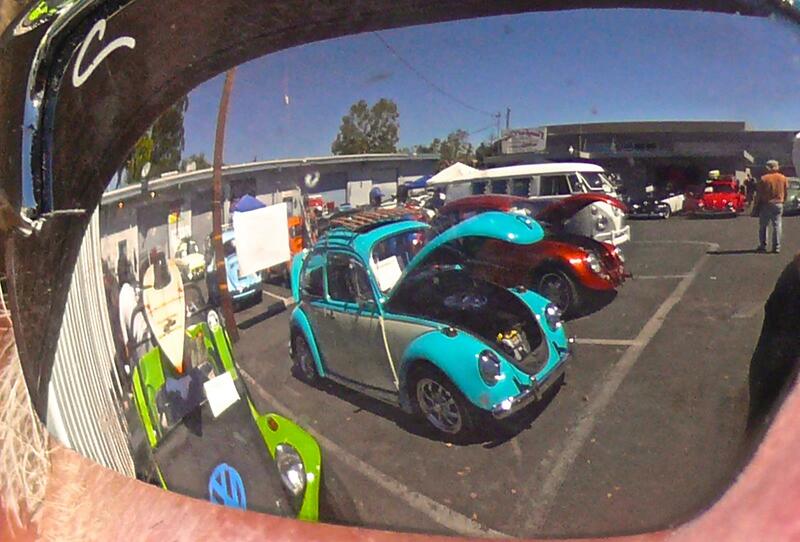 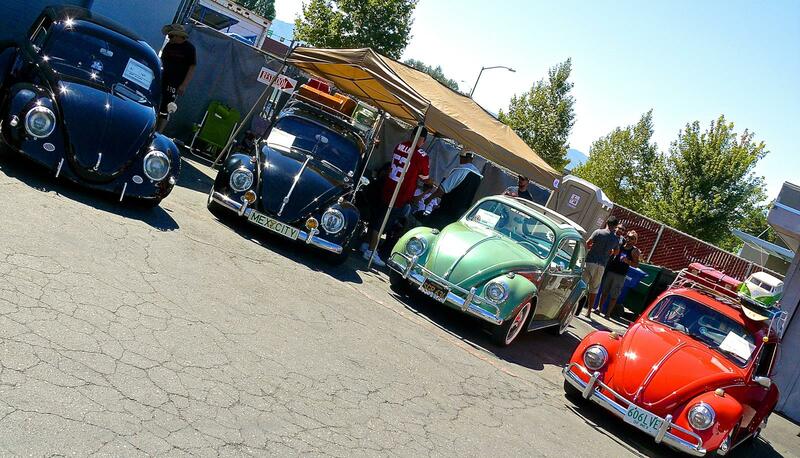 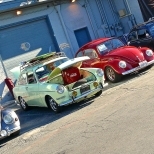 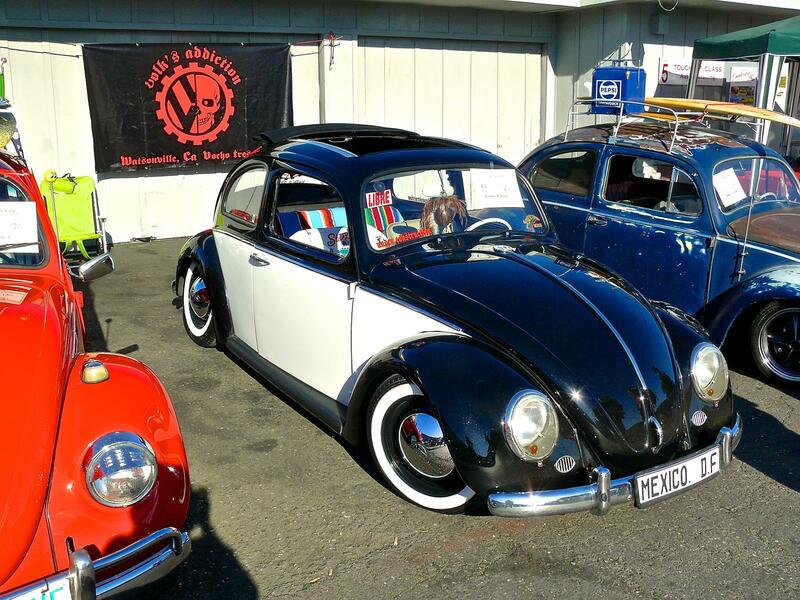 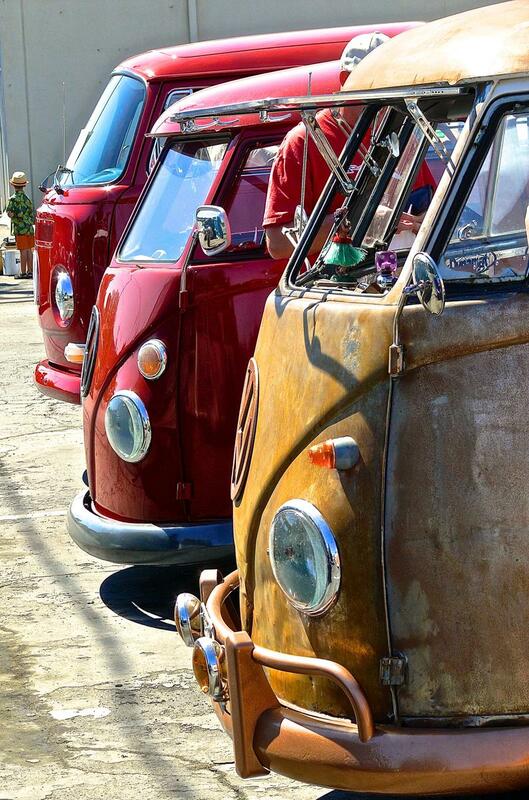 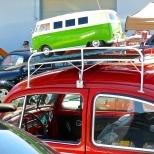 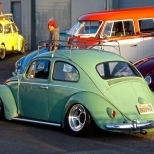 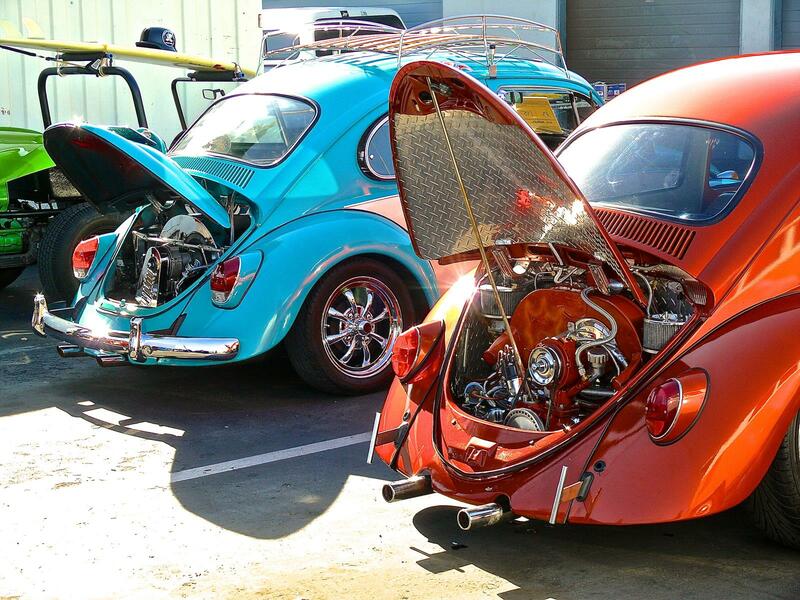 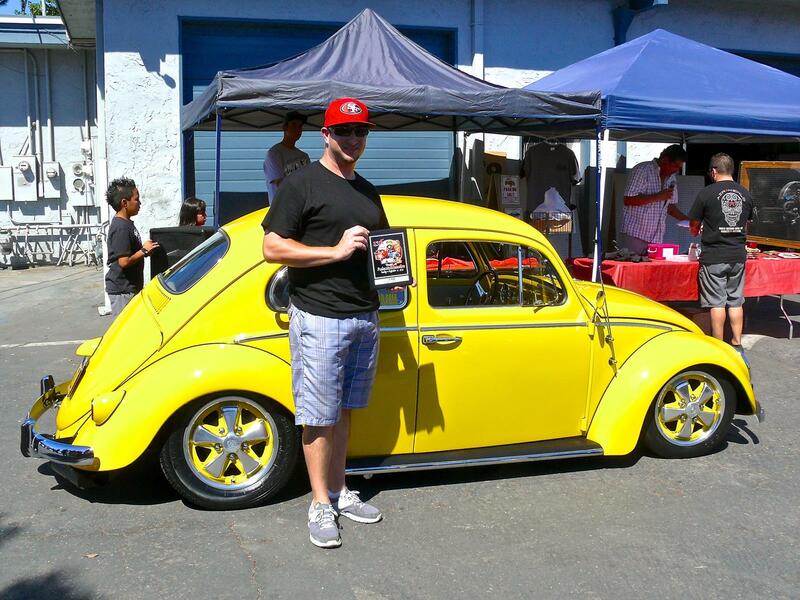 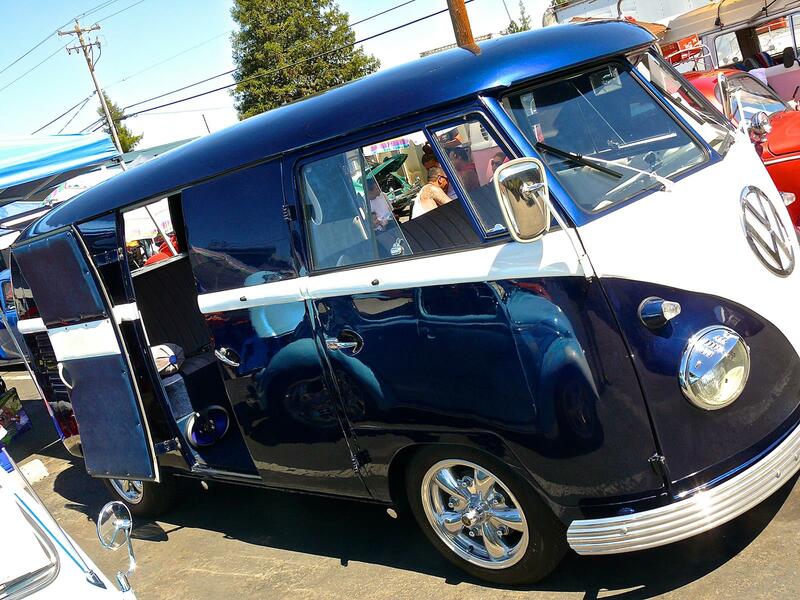 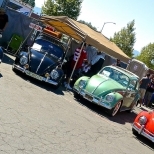 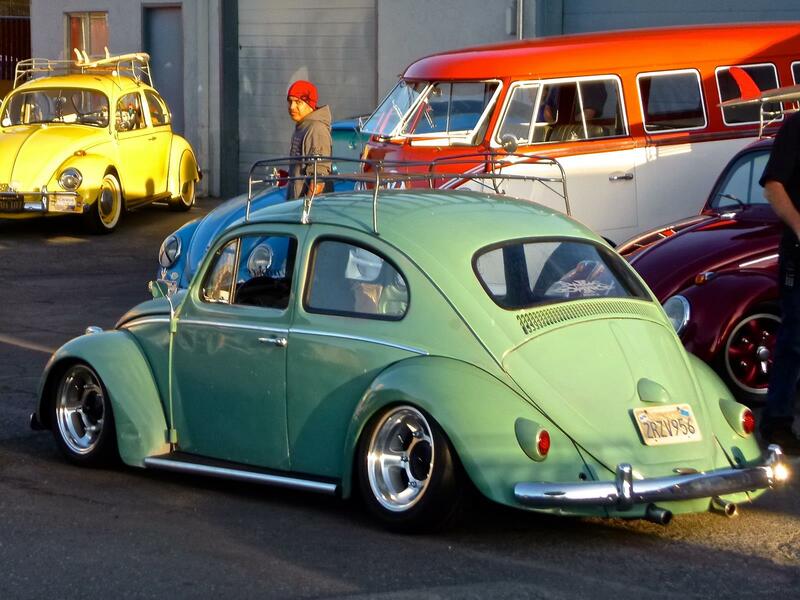 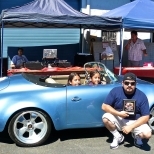 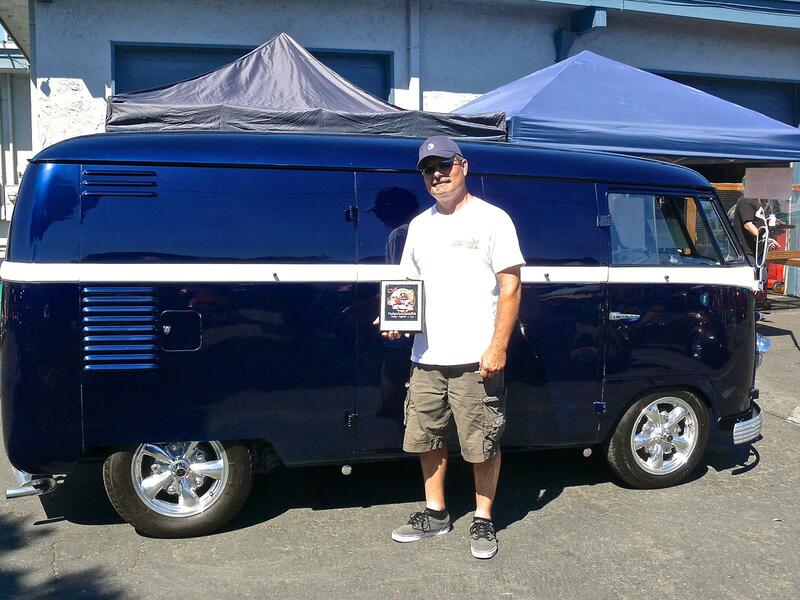 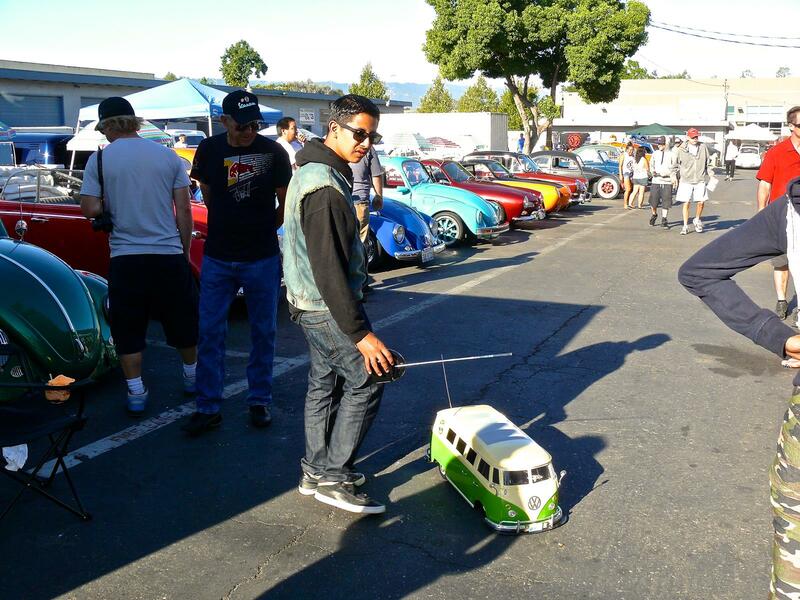 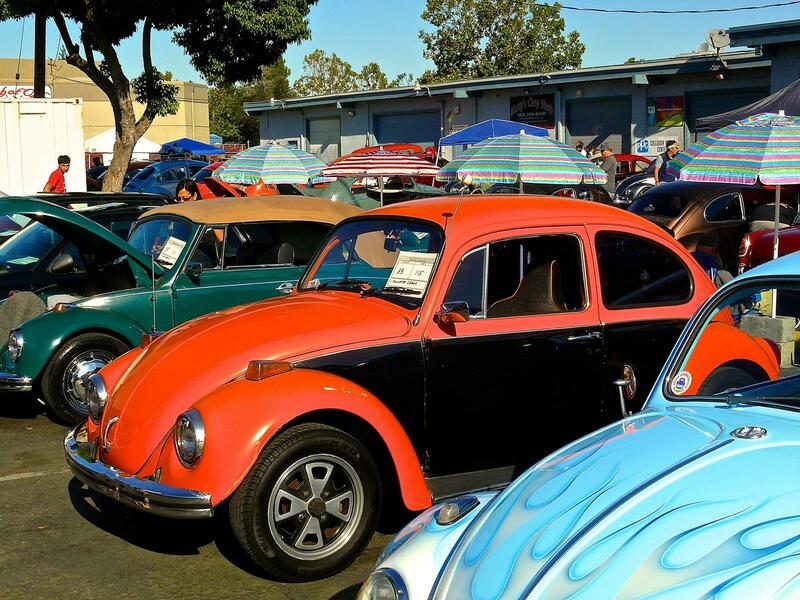 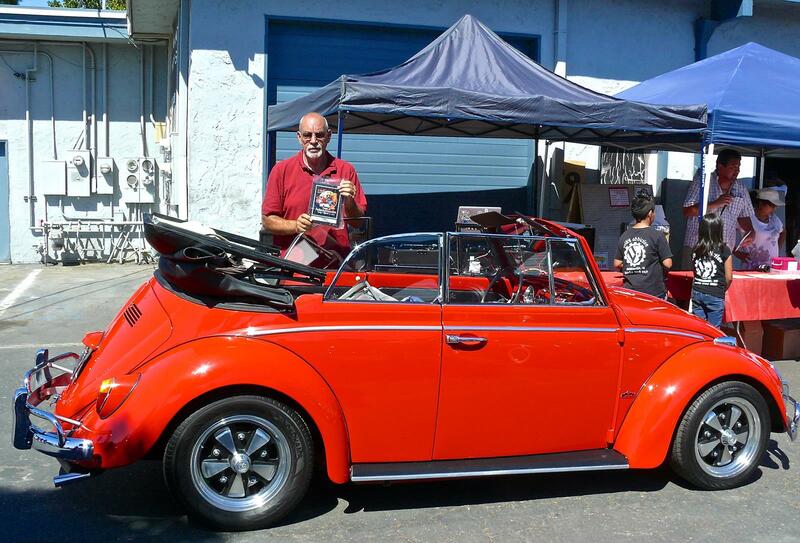 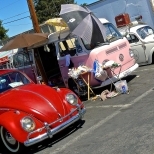 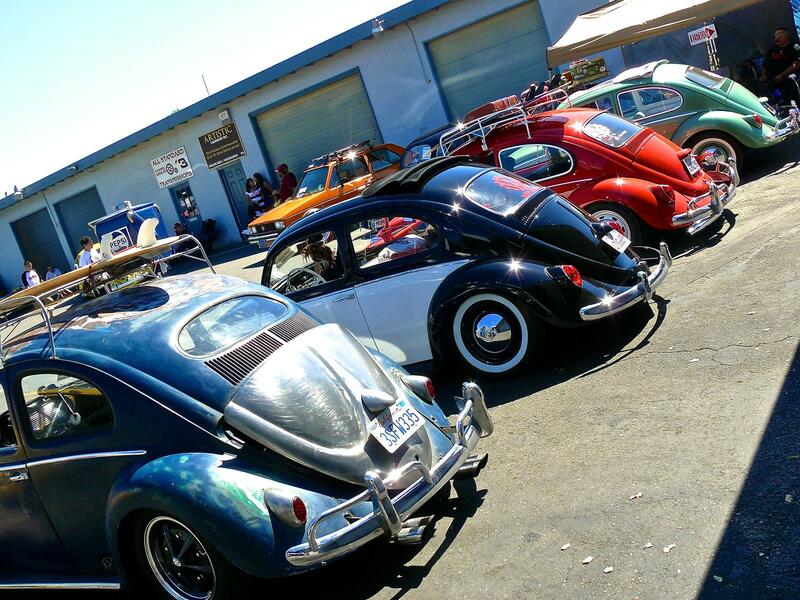 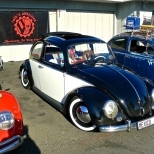 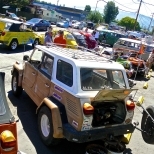 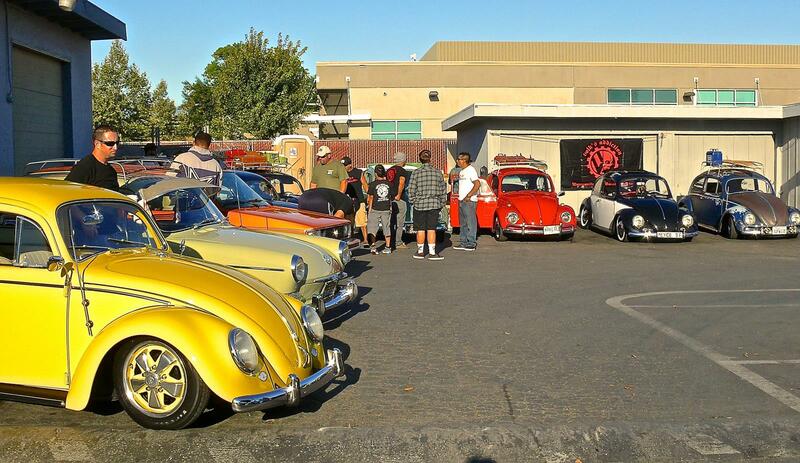 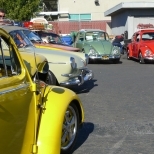 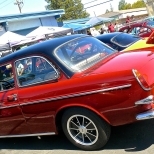 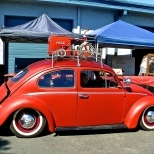 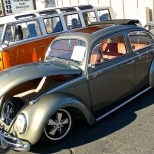 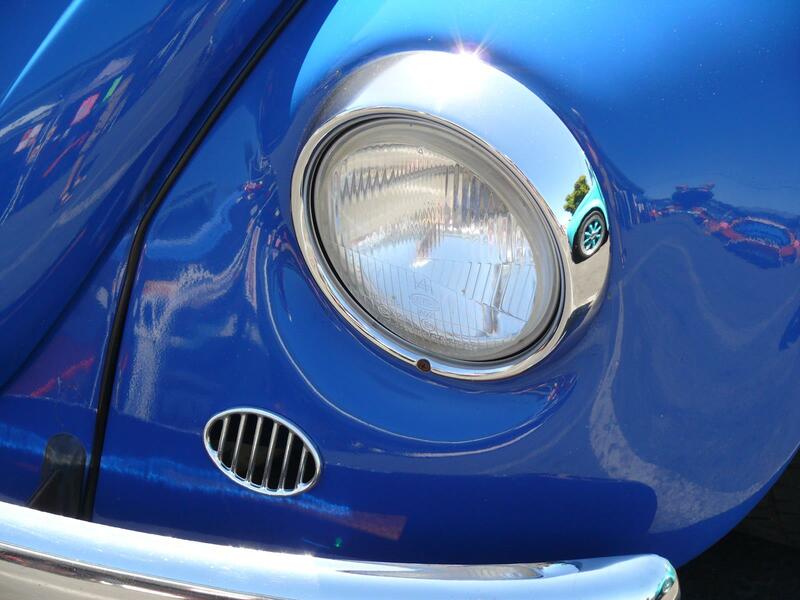 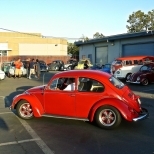 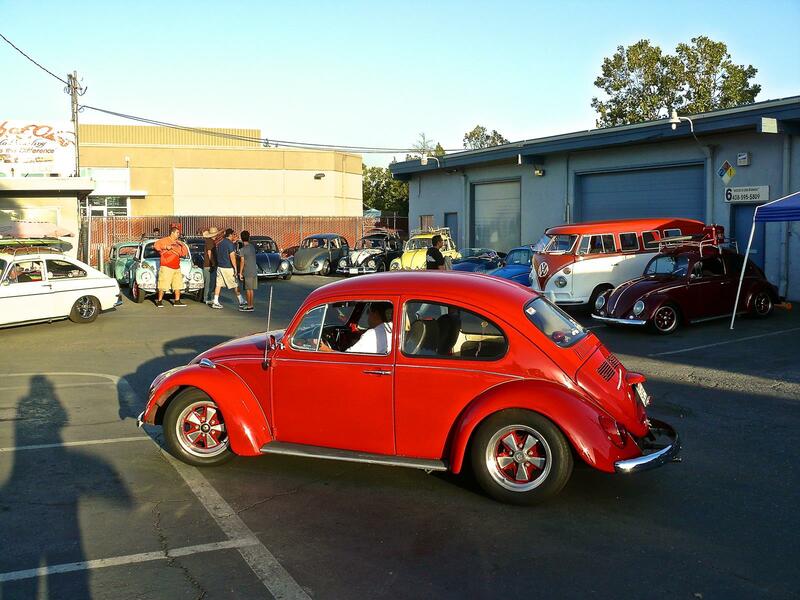 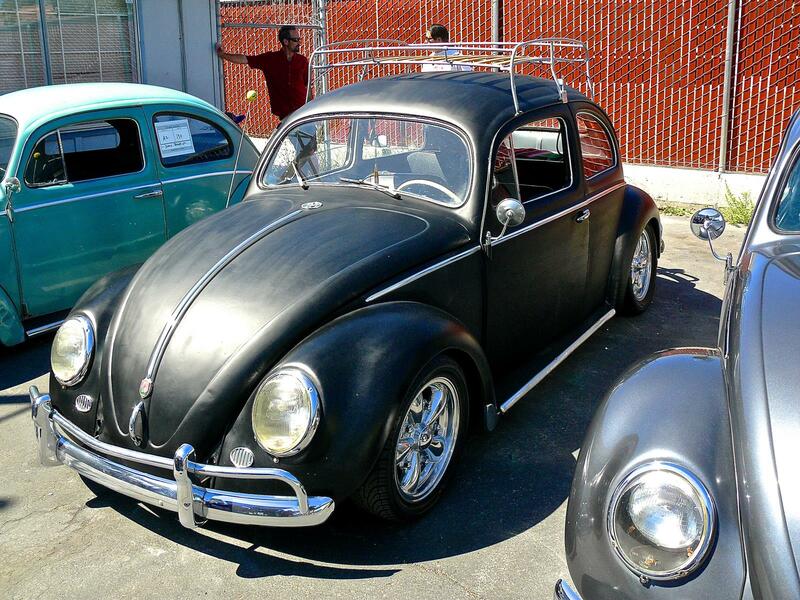 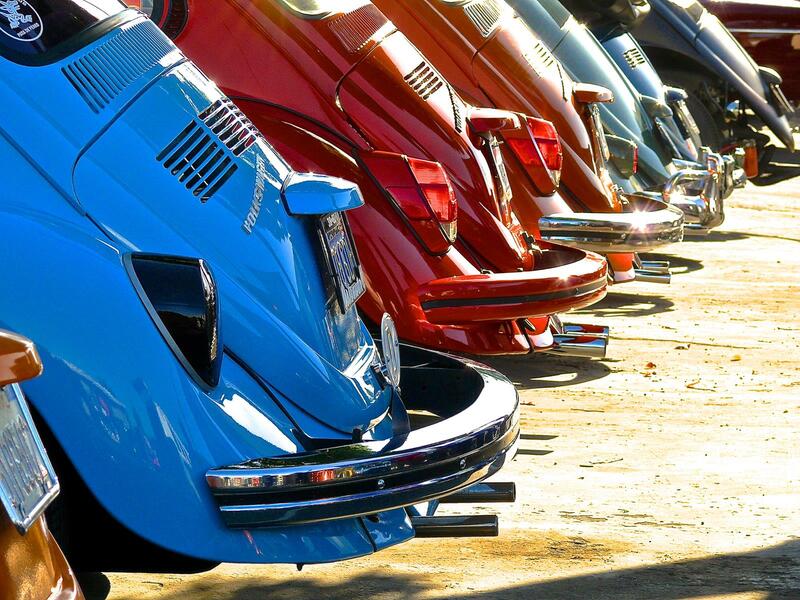 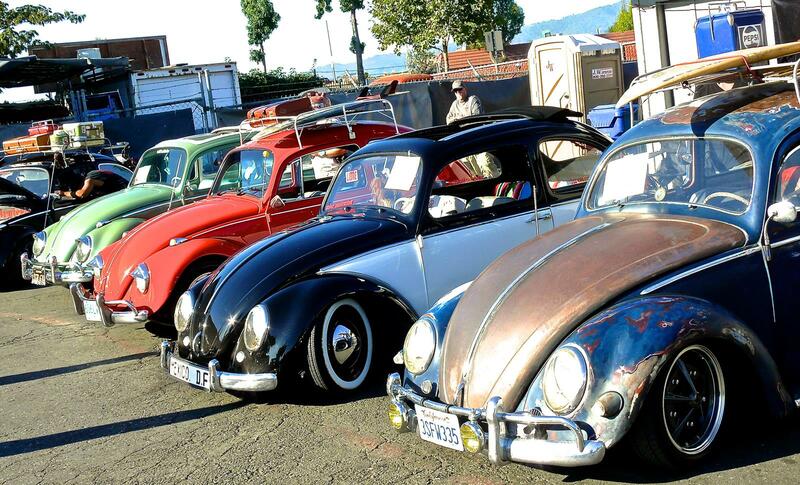 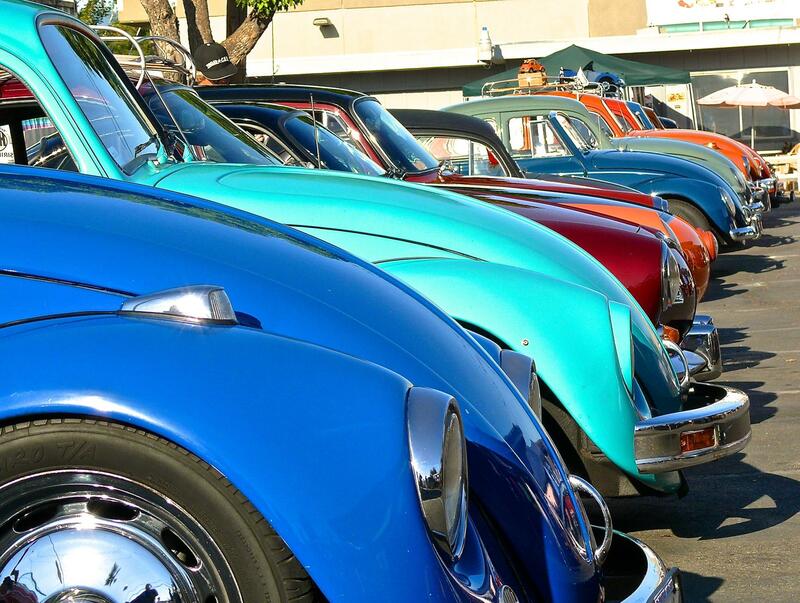 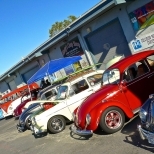 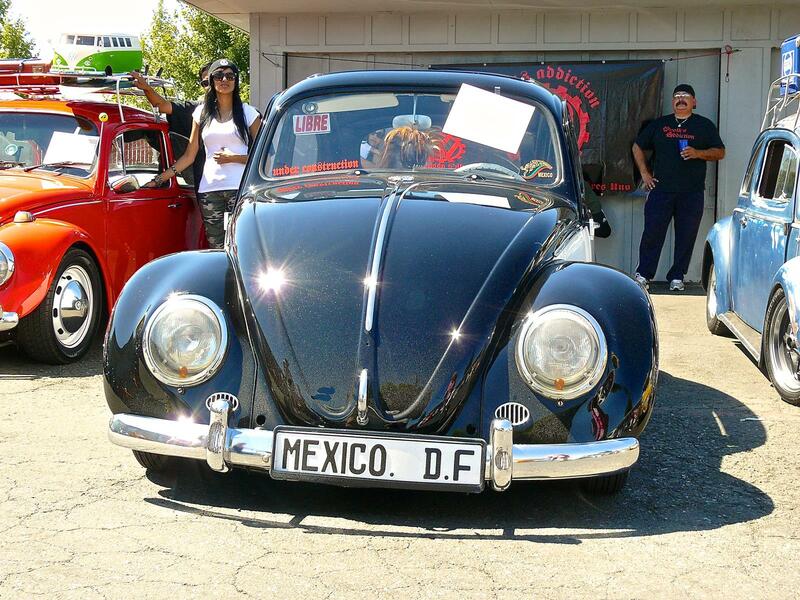 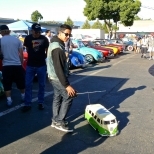 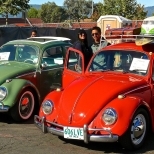 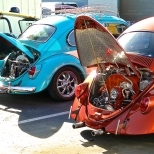 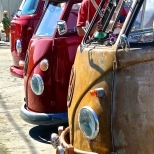 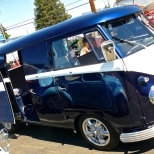 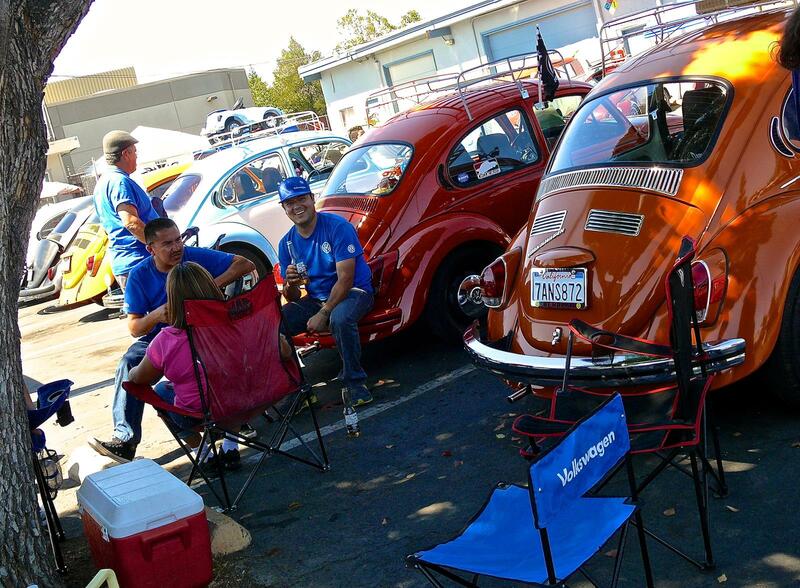 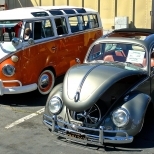 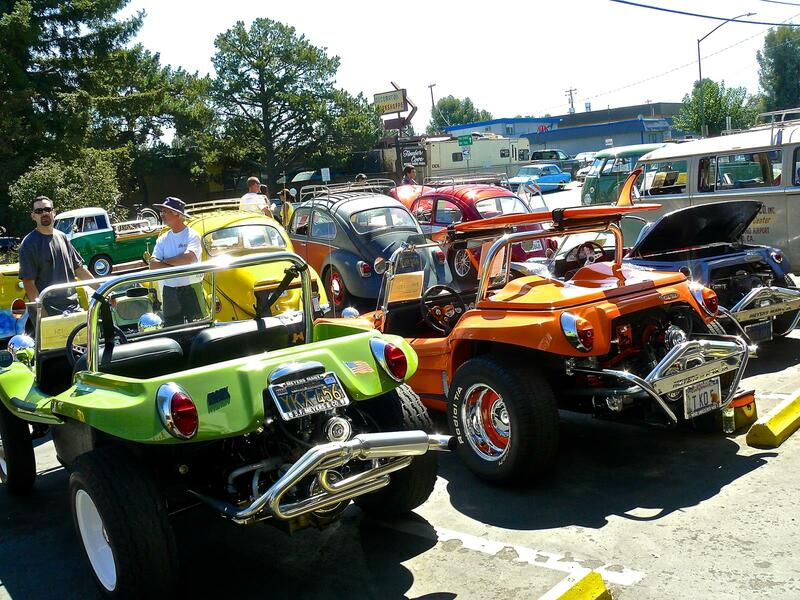 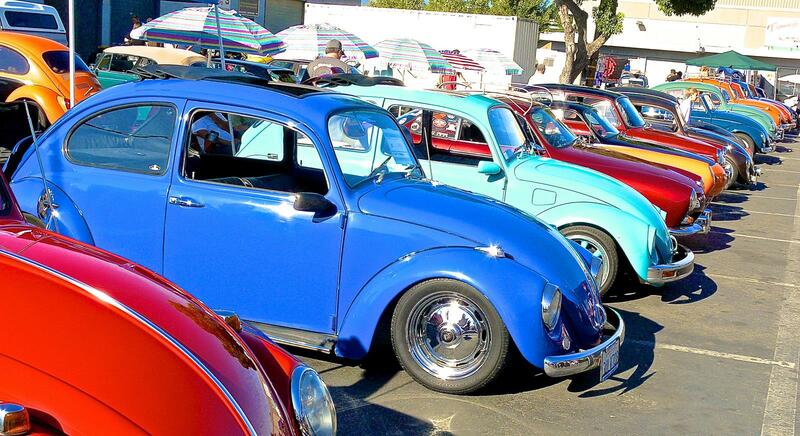 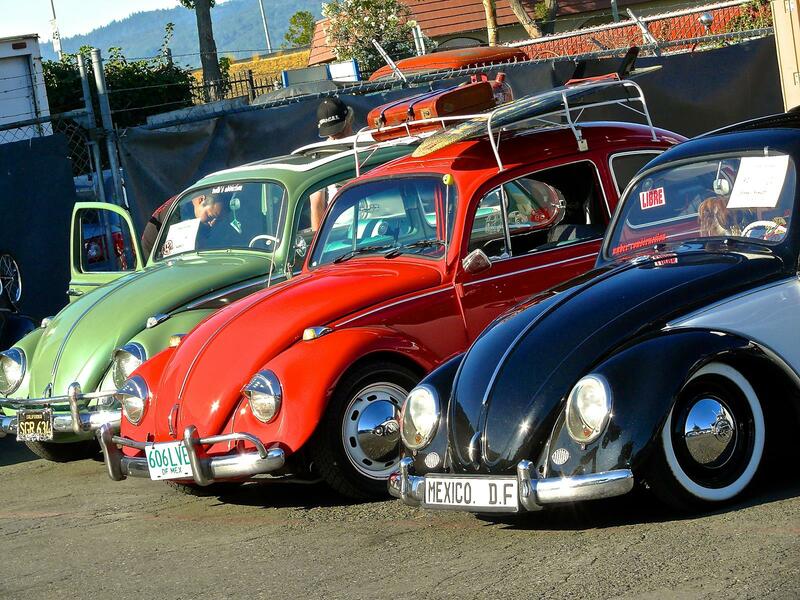 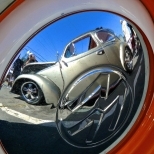 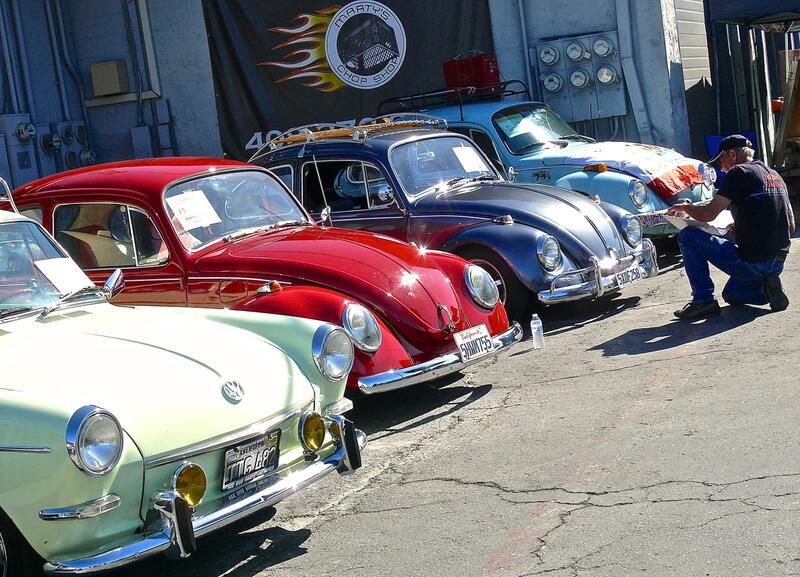 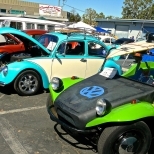 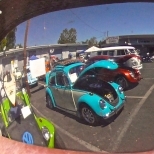 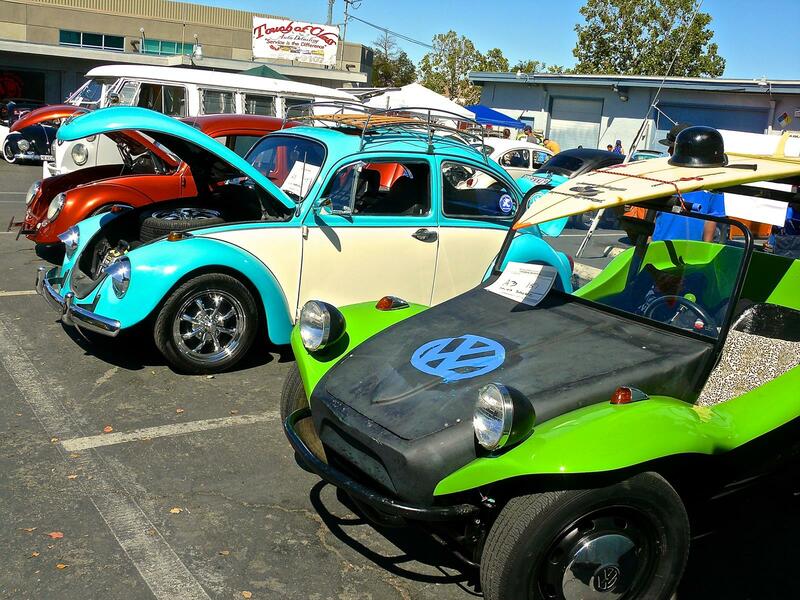 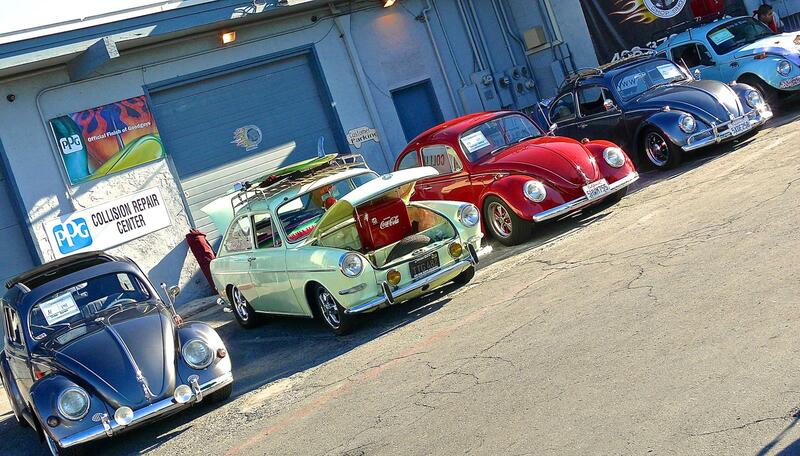 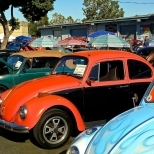 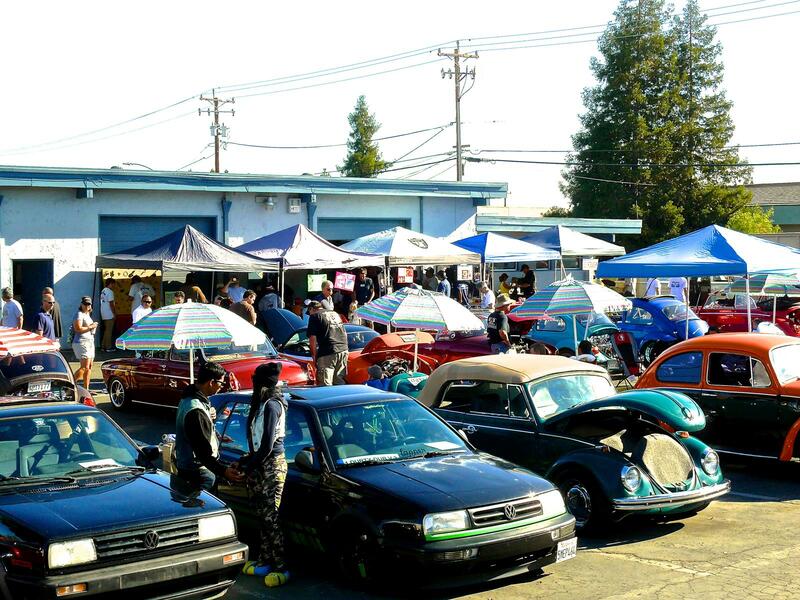 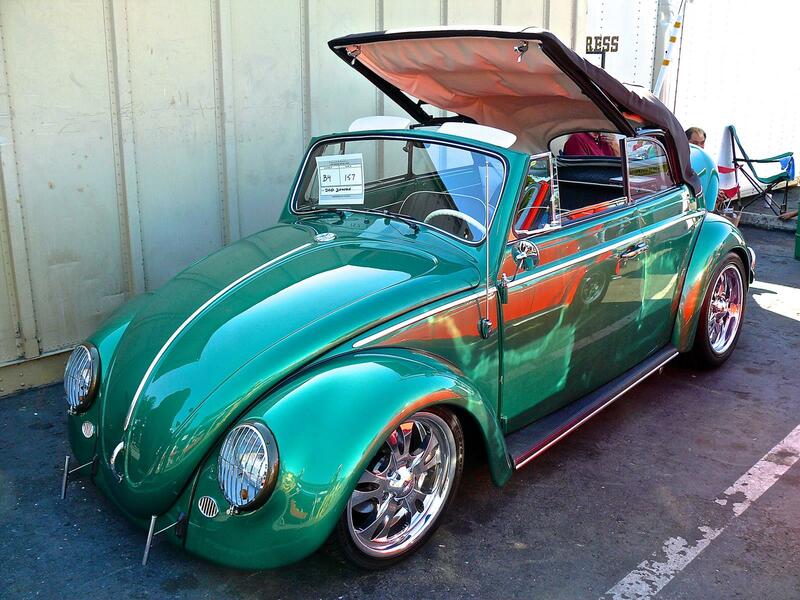 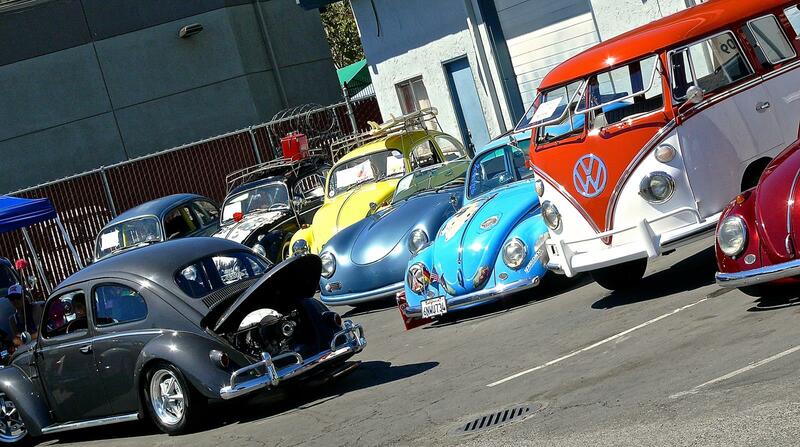 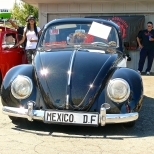 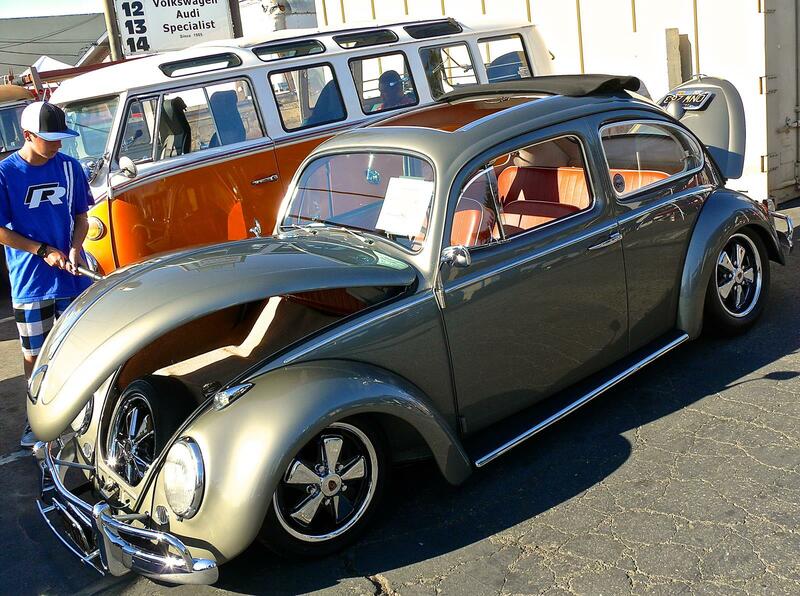 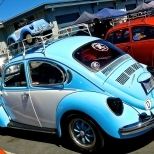 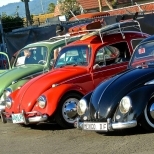 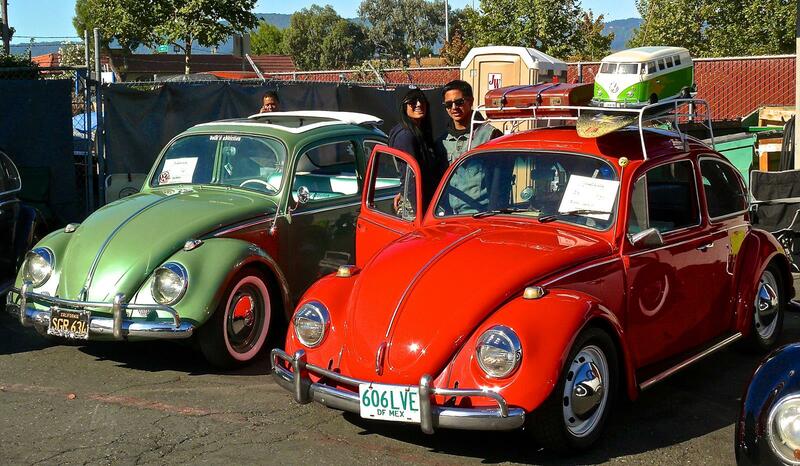 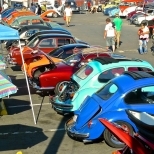 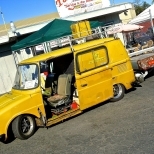 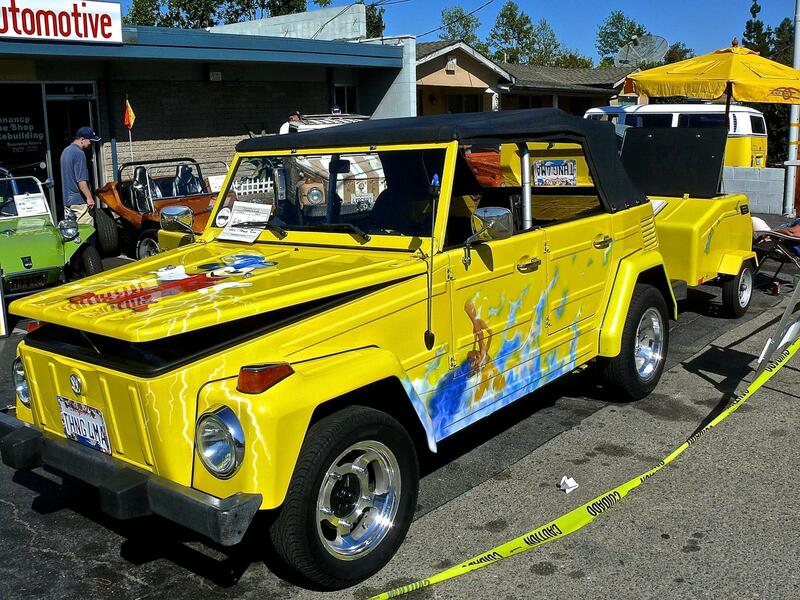 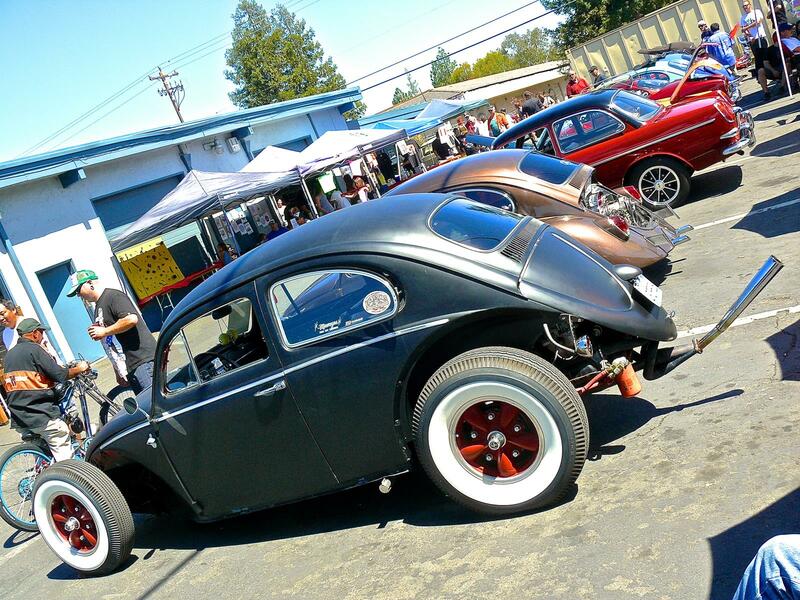 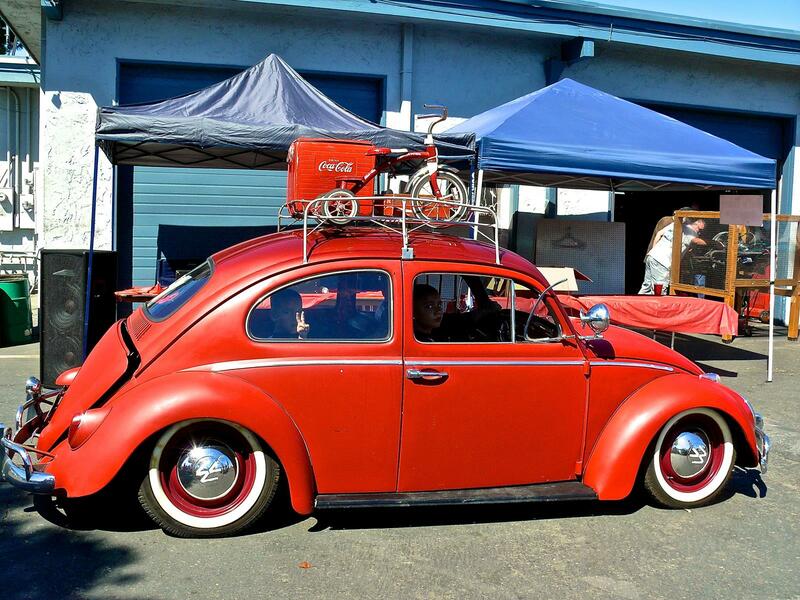 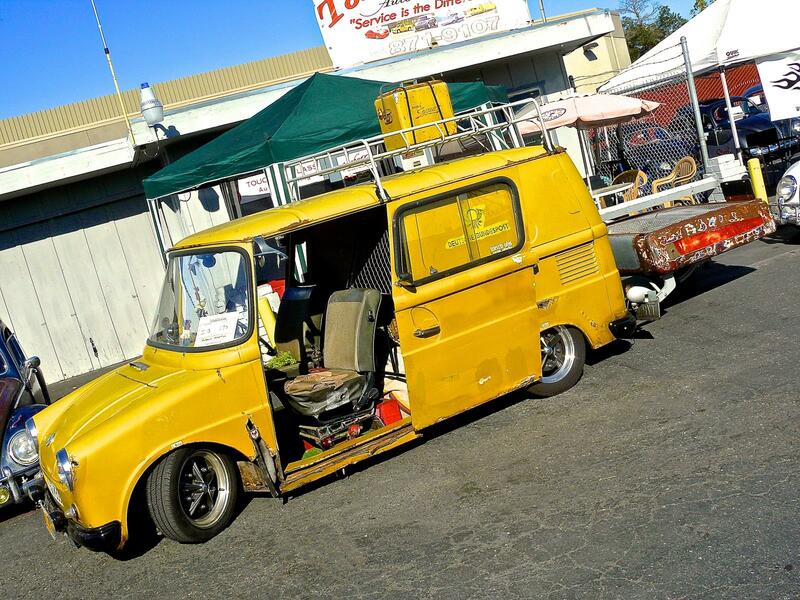 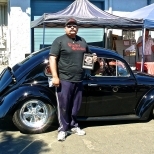 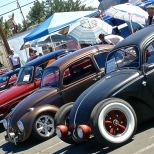 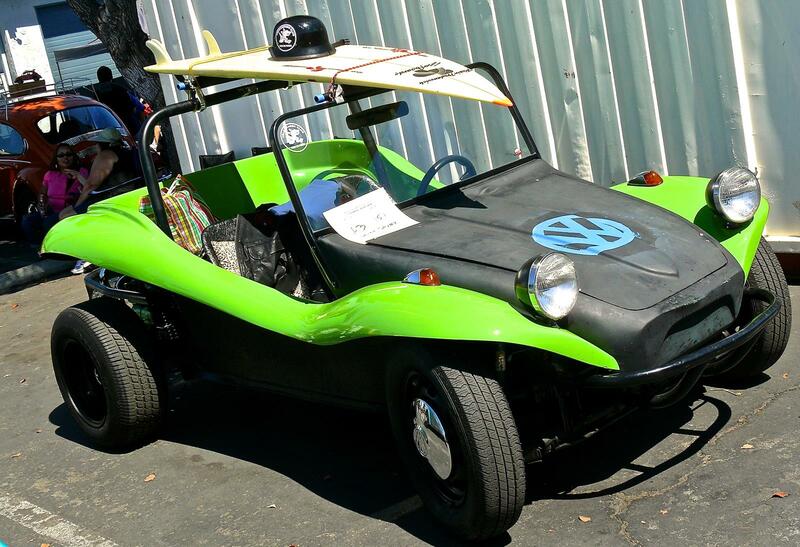 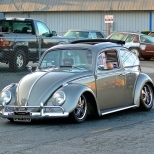 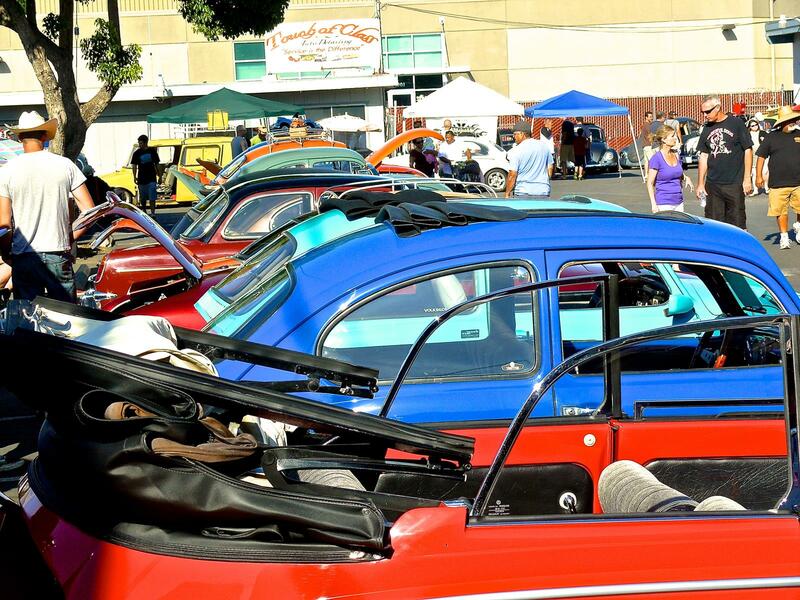 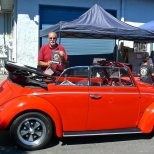 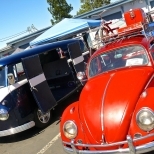 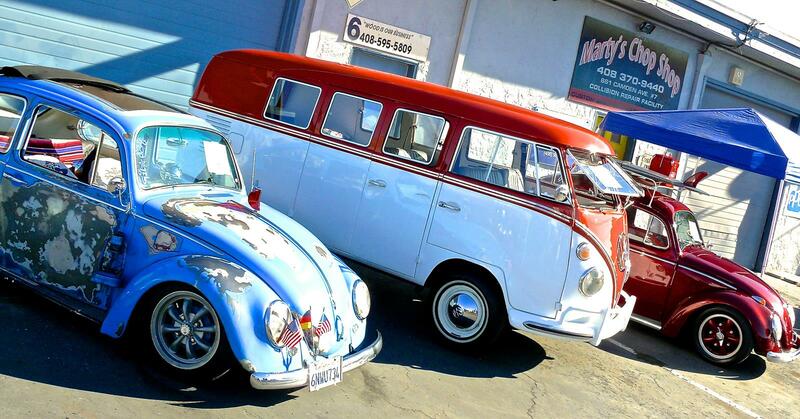 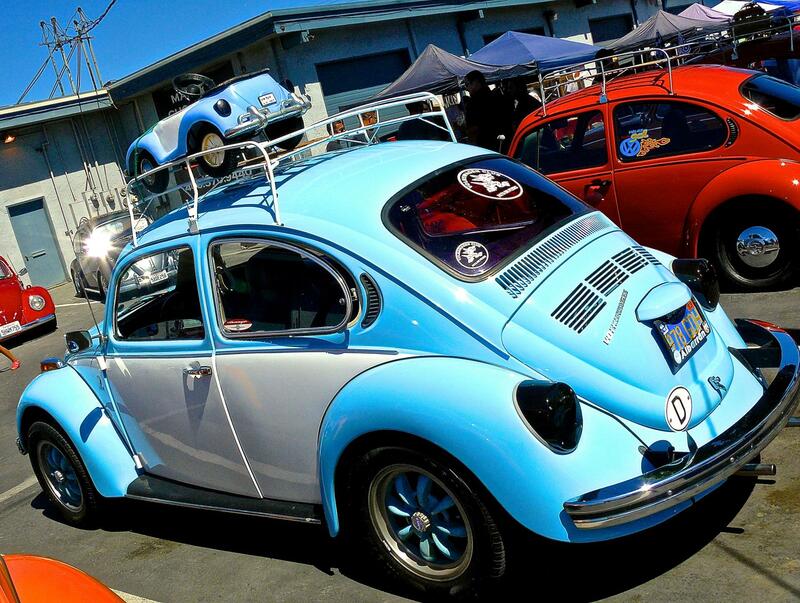 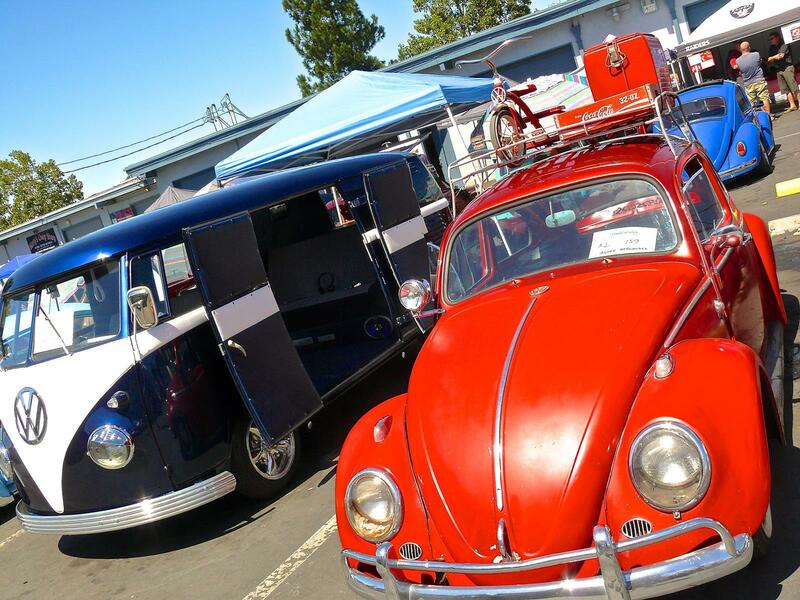 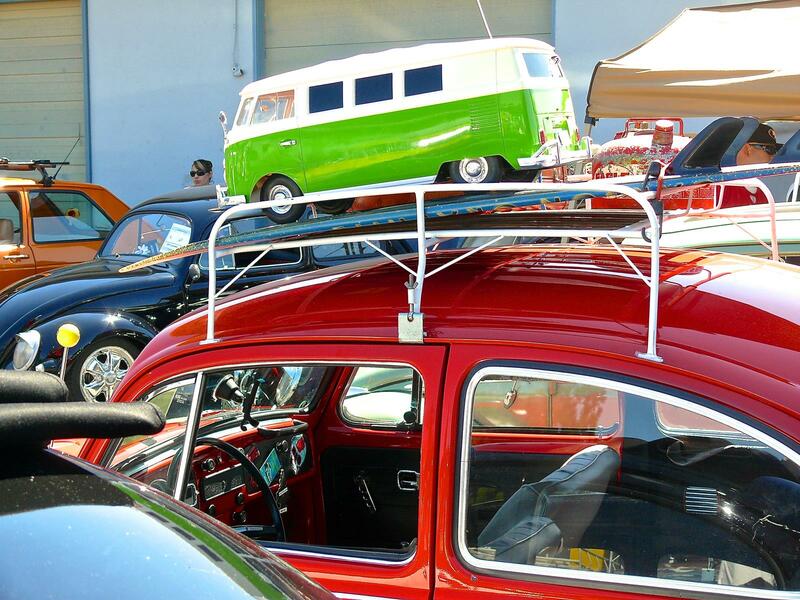 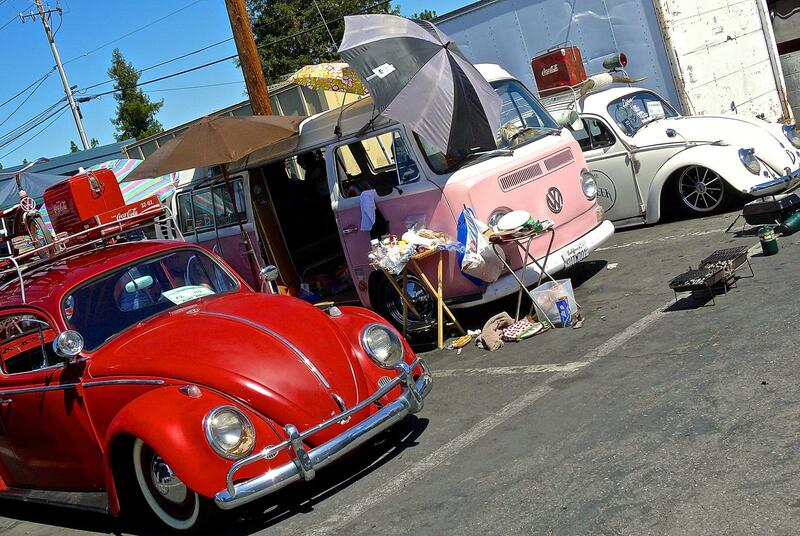 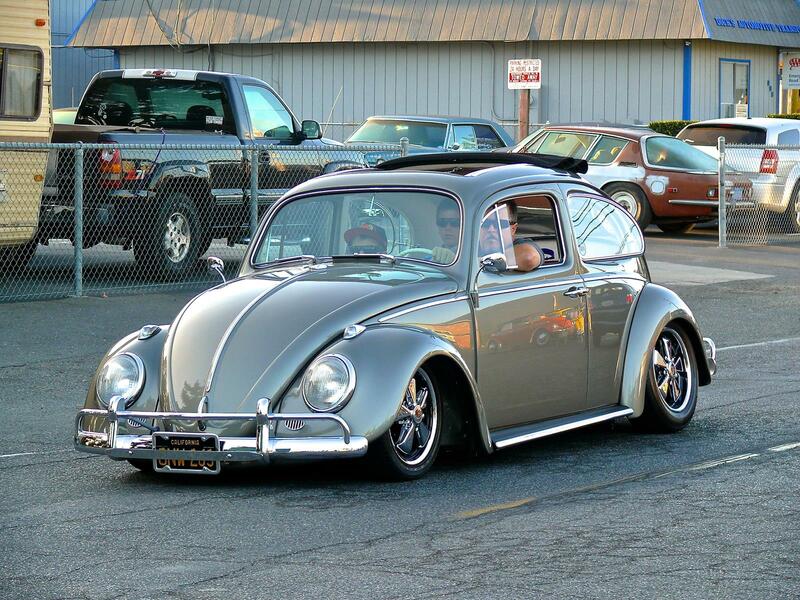 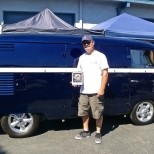 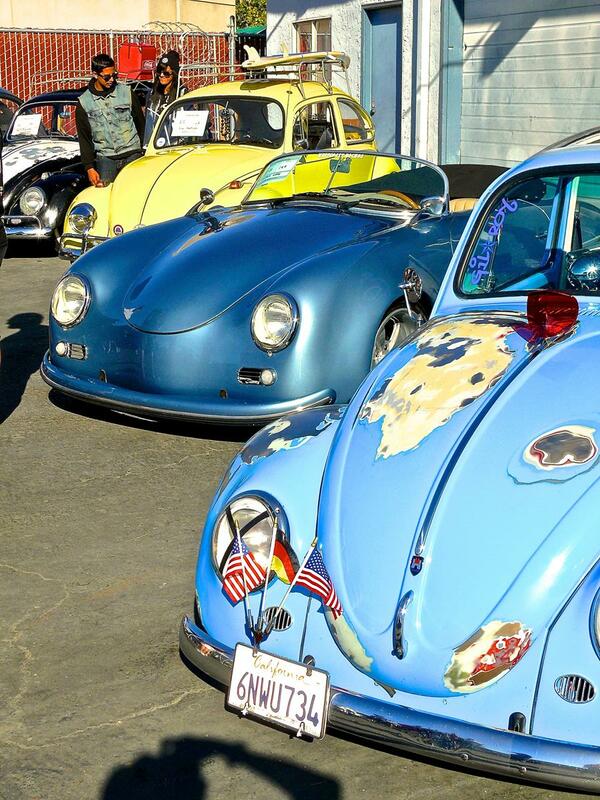 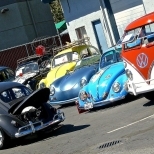 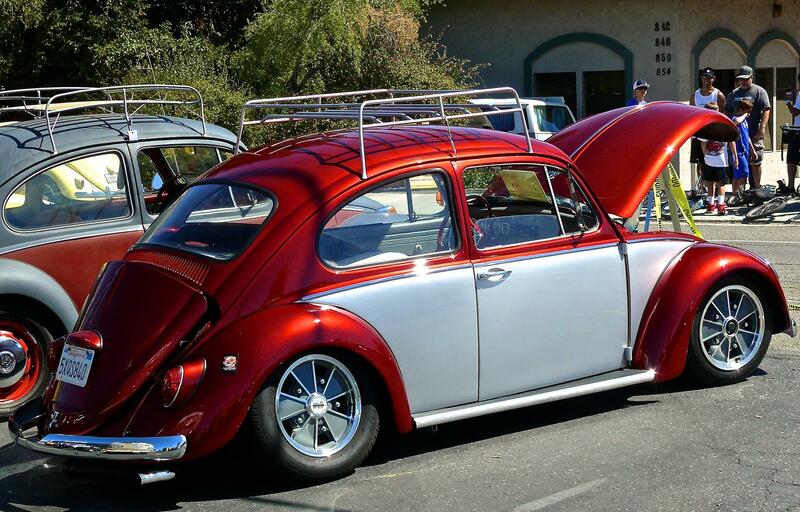 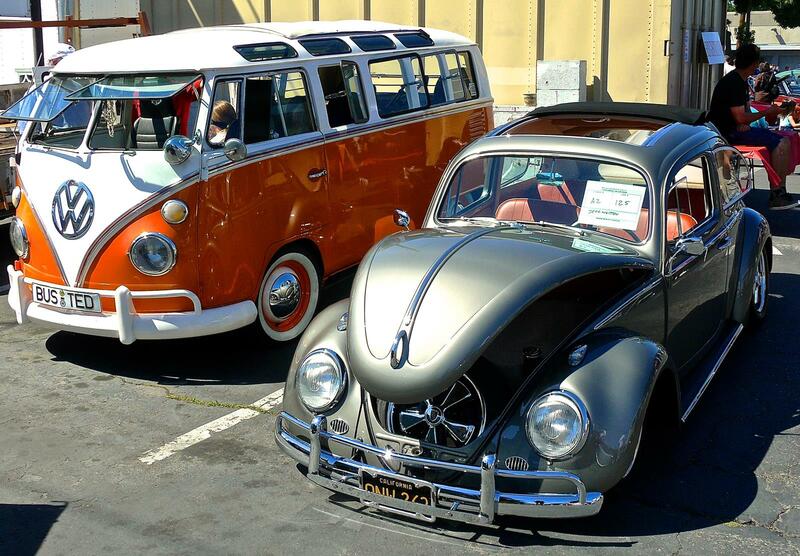 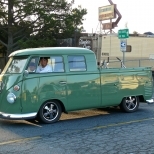 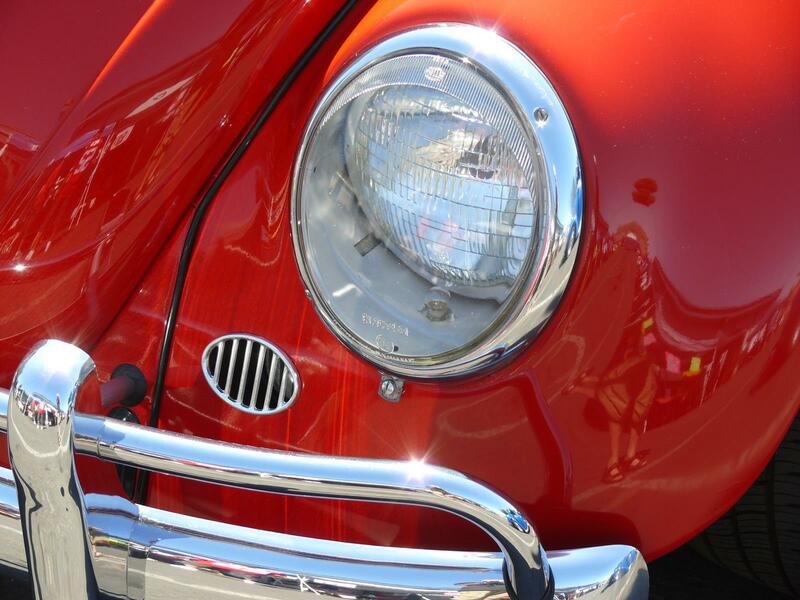 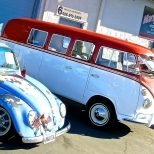 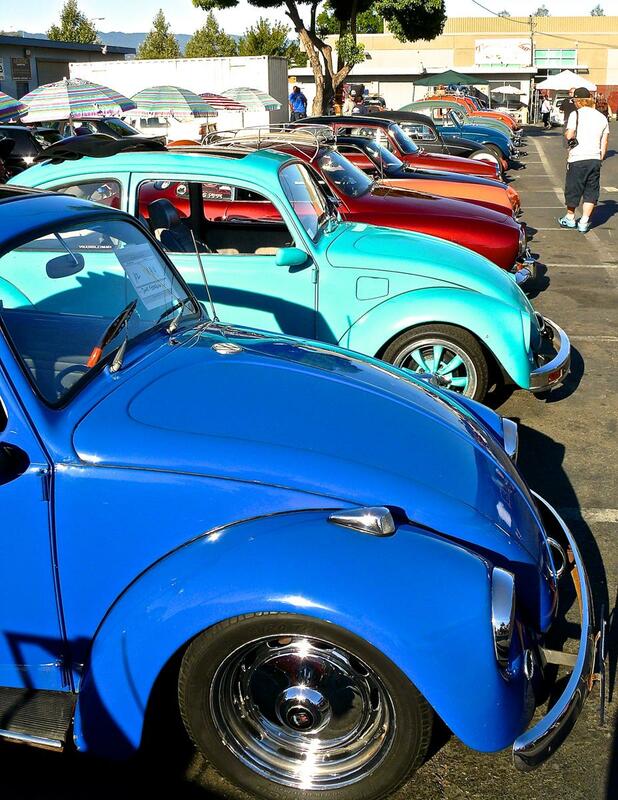 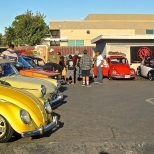 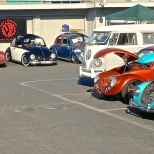 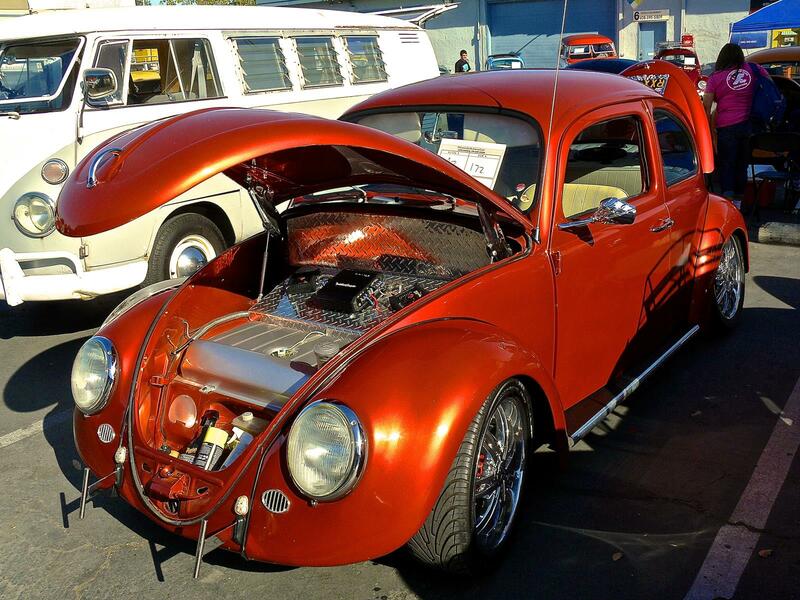 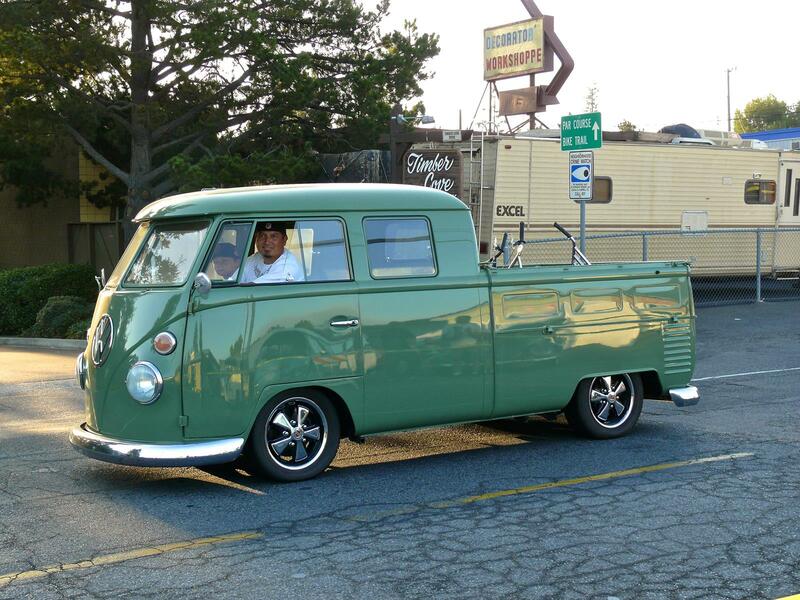 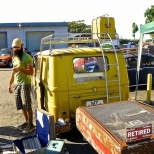 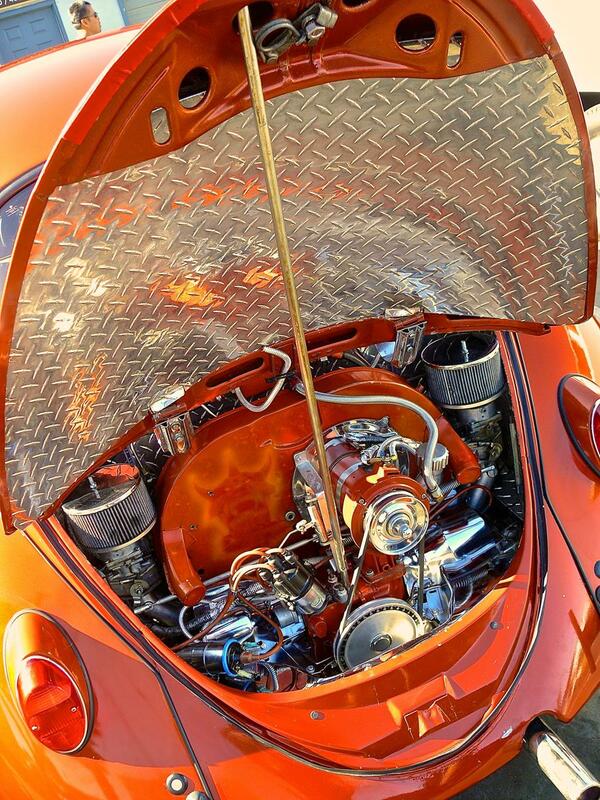 We enjoyed over 75 beautiful Volkswagens competing for 1st and 2nd place, Best of Show, and Peoples’ Choice awards. 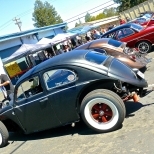 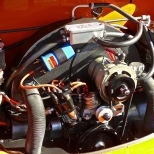 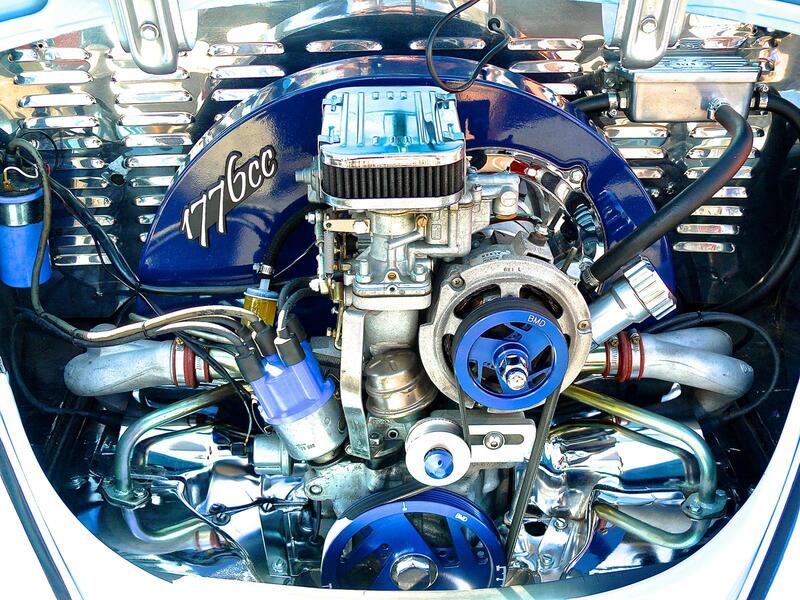 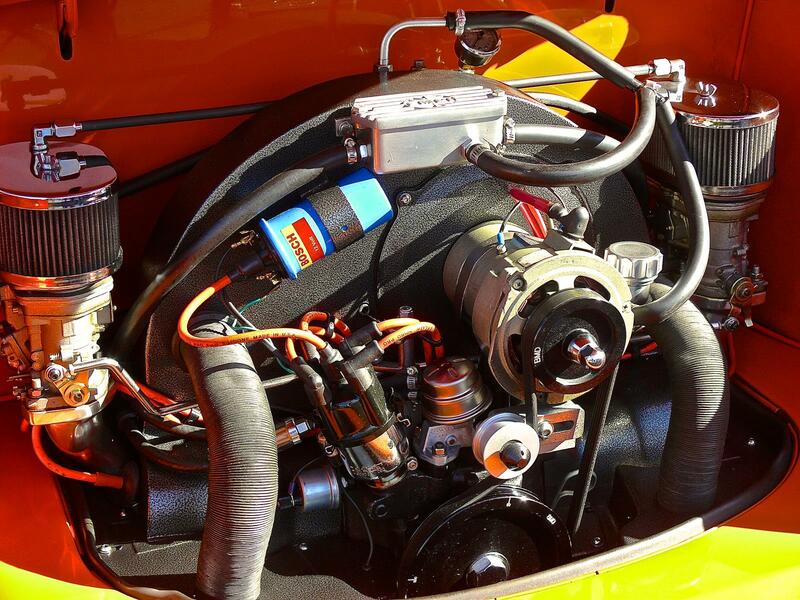 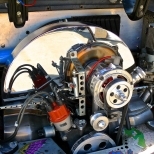 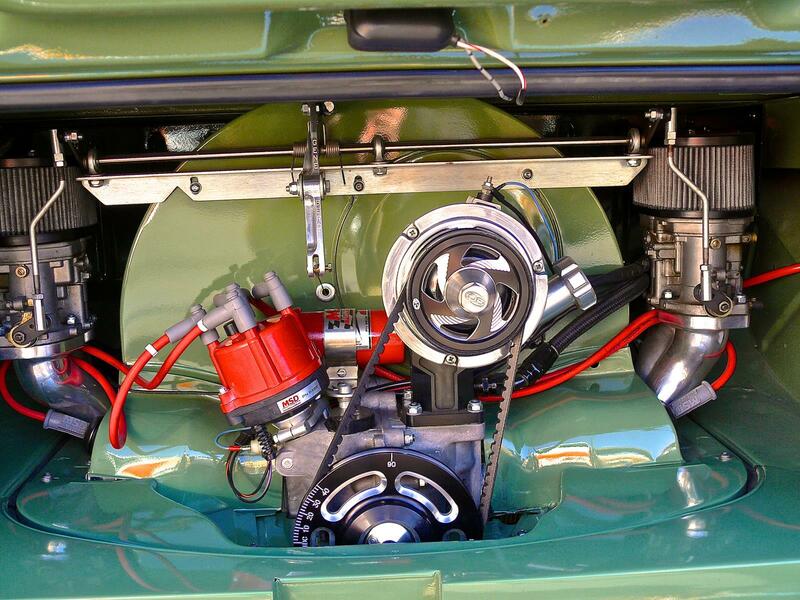 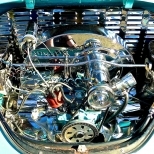 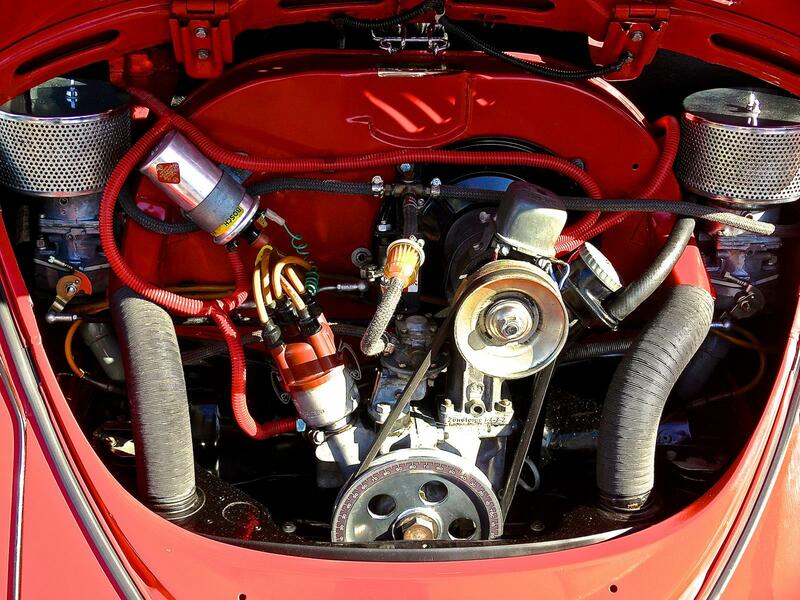 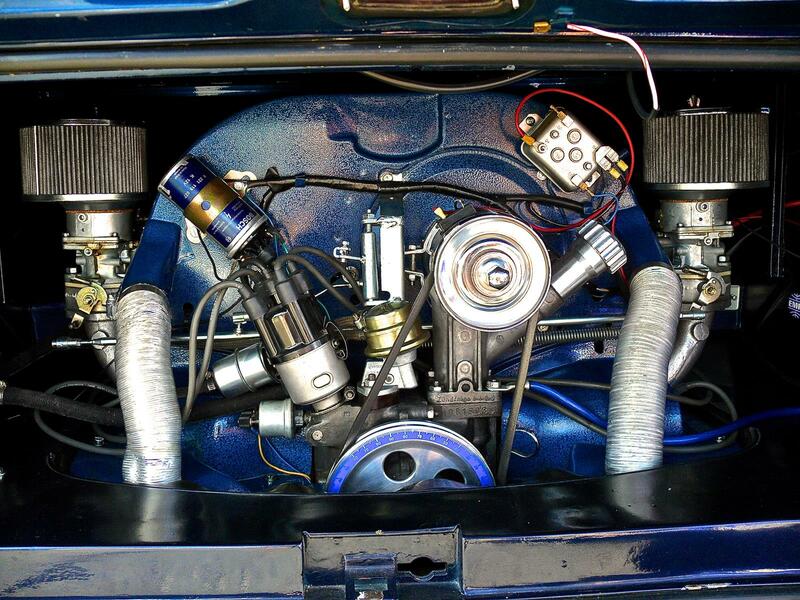 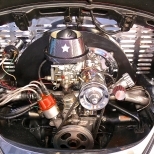 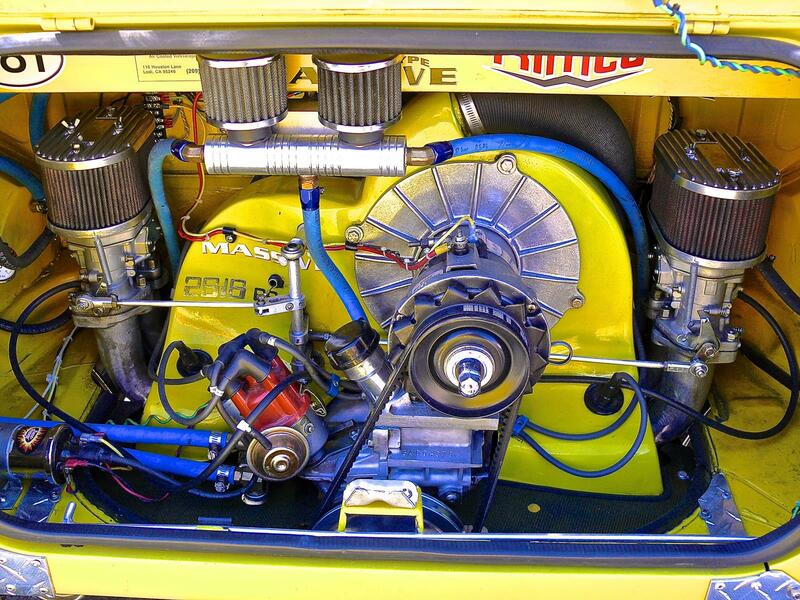 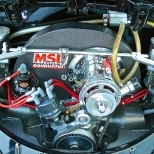 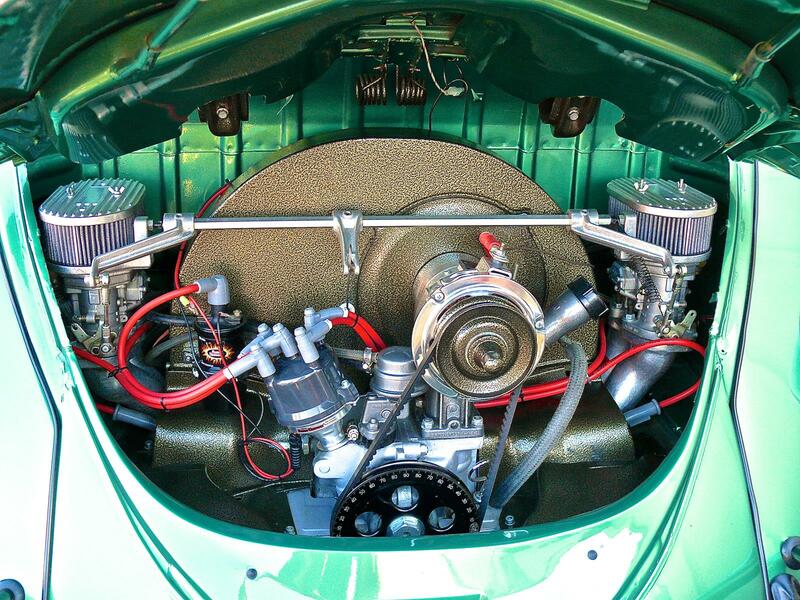 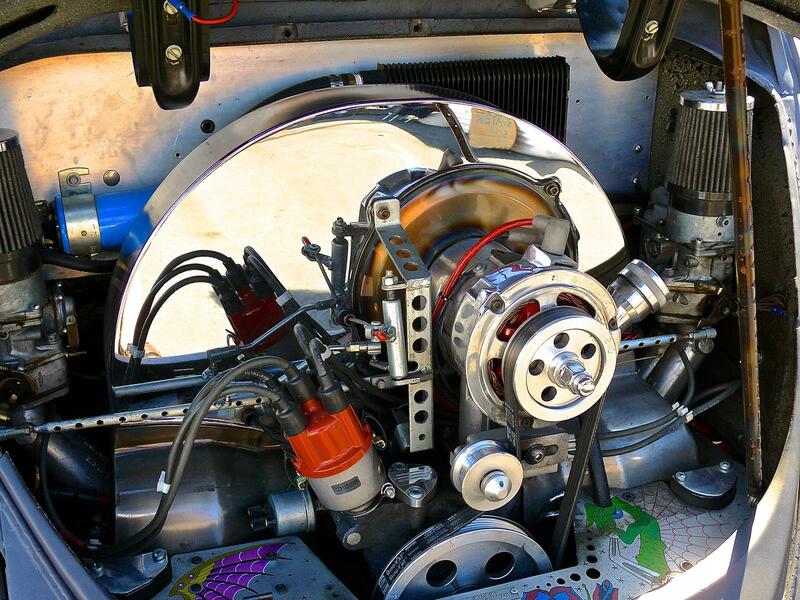 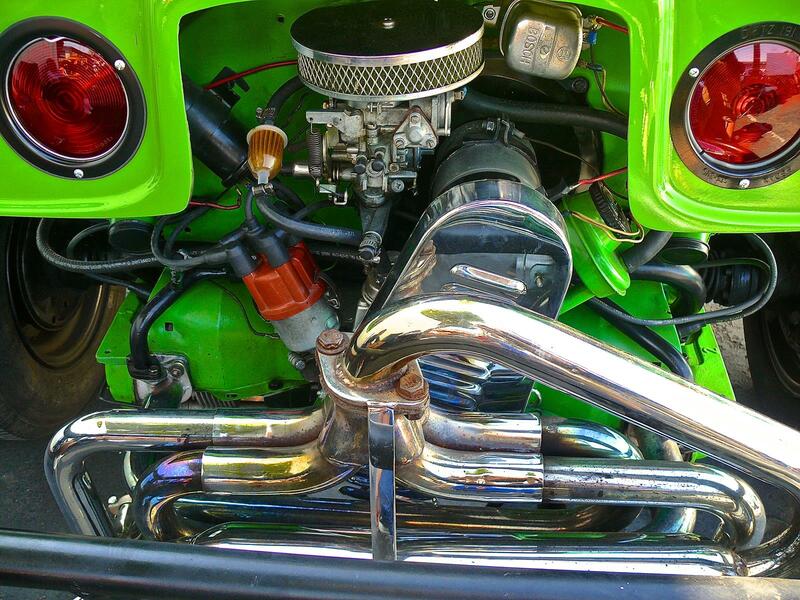 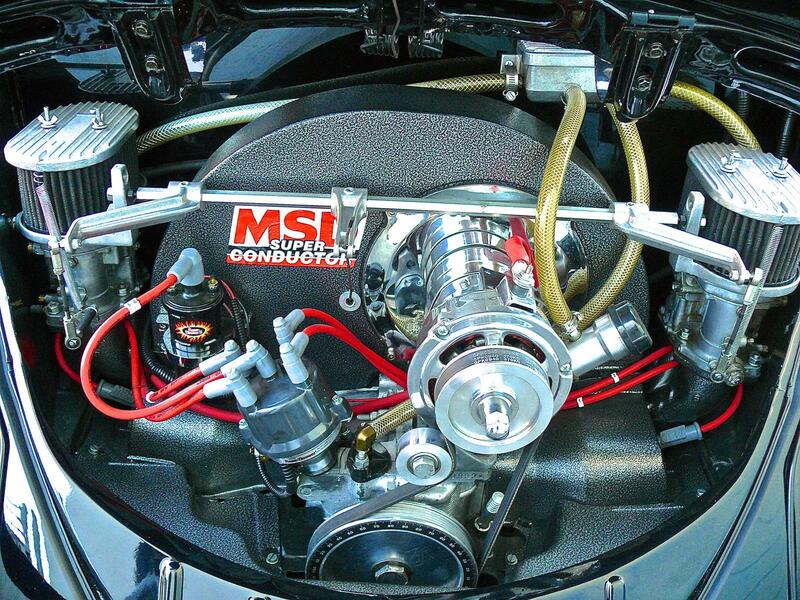 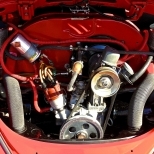 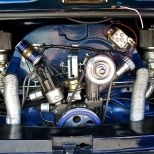 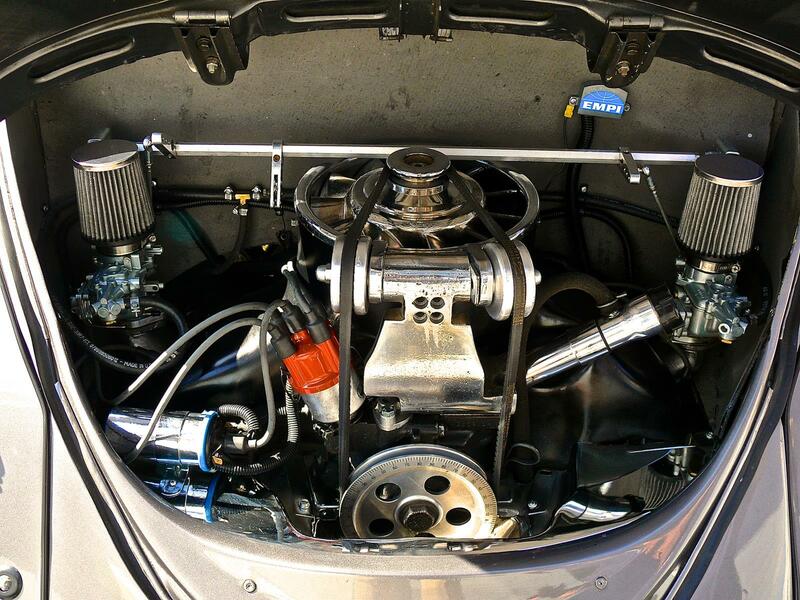 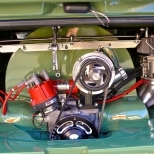 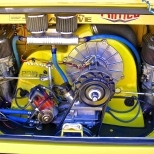 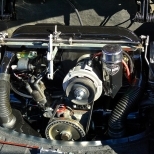 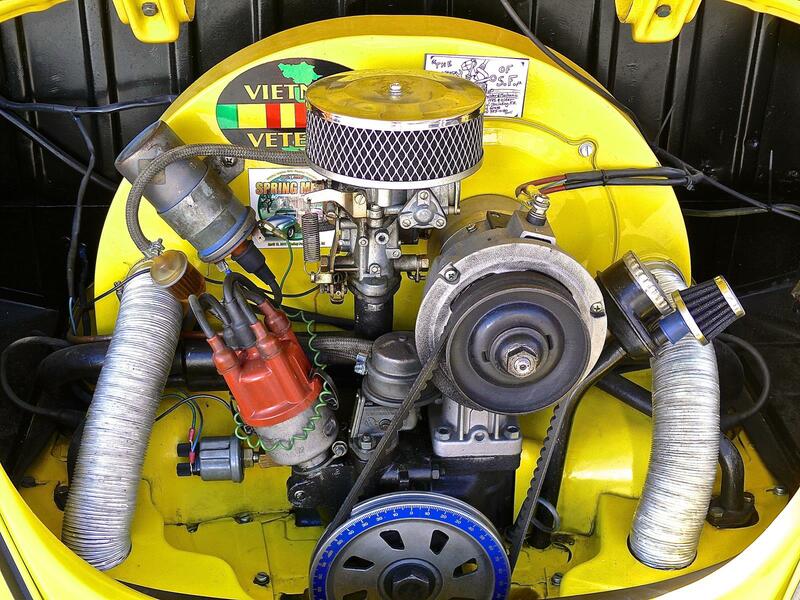 The highlight of the show was the very popular VW Engine Blow! 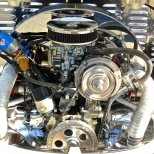 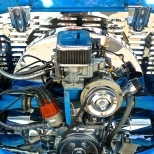 The engine ran full throttle for a few minutes before it started to smoke. 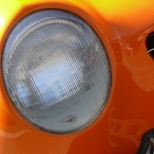 then came flames which were quickly extinguished. 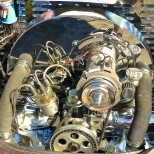 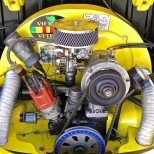 Another great puff of smoke and sputtering, and then the engine seized up. 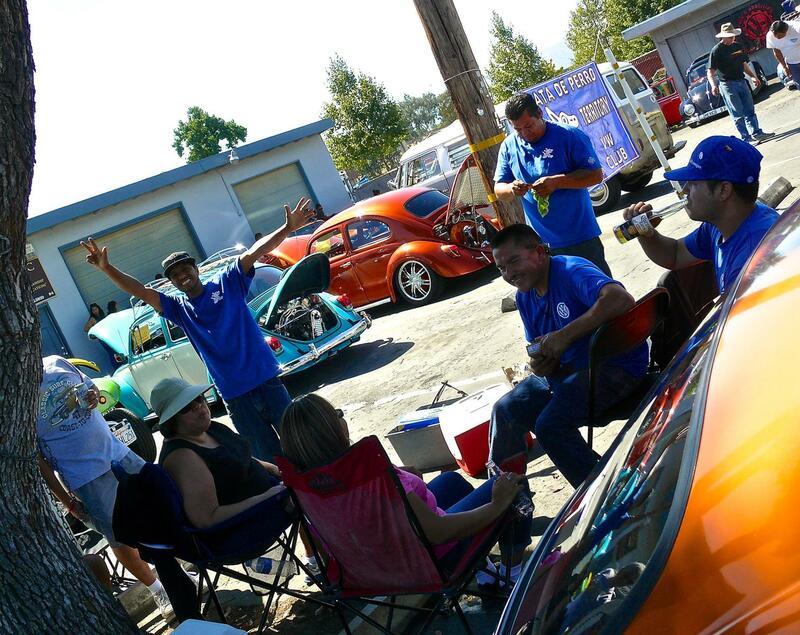 Once again, the excitement brought loud cheers and applause from the spectators. 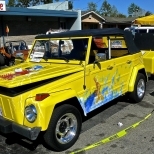 If you would like to see for yourself, check out the video. 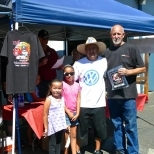 Please enjoy the gallery of pictures below and hope to see you next year at the 14th Annual Car Show. 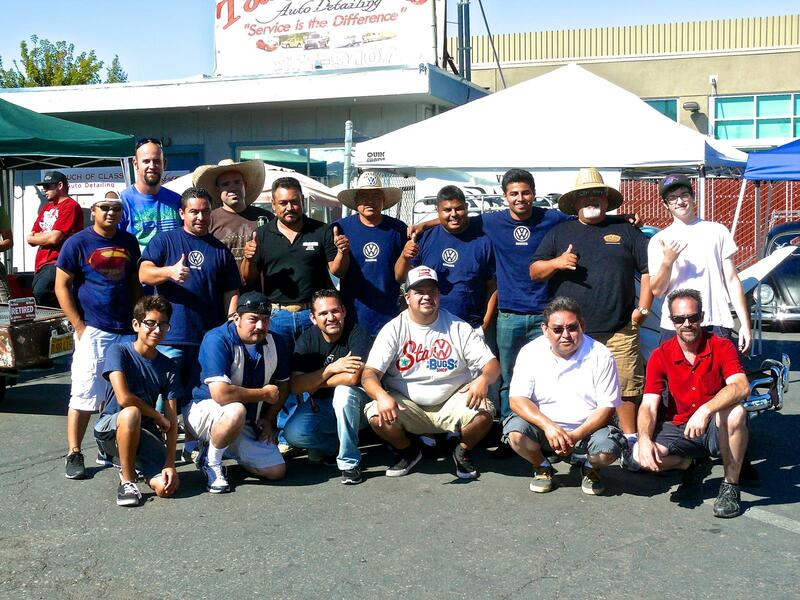 Many thanks to all the people and companies who contributed towards making the 13th Annual Car Show a huge success! 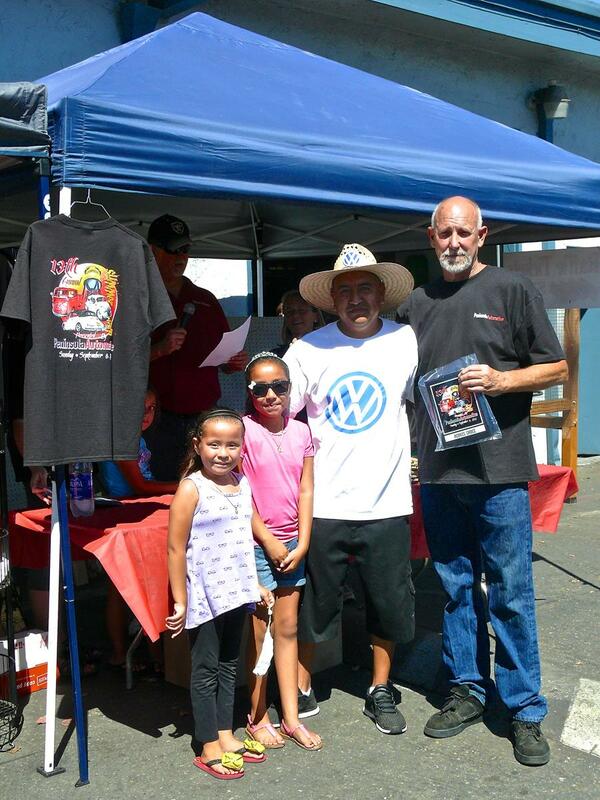 Your generosity supports the raffle and giveaways enjoyed by VW enthusiasts throughout the day! 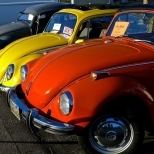 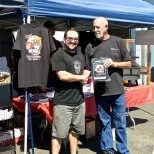 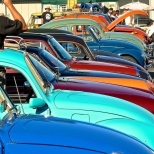 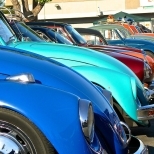 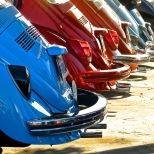 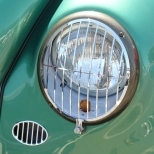 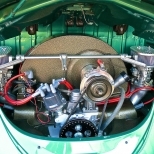 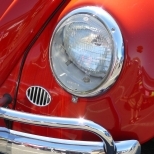 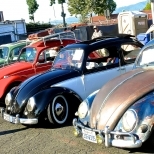 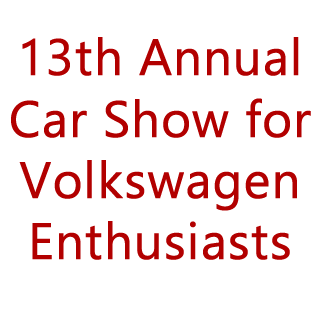 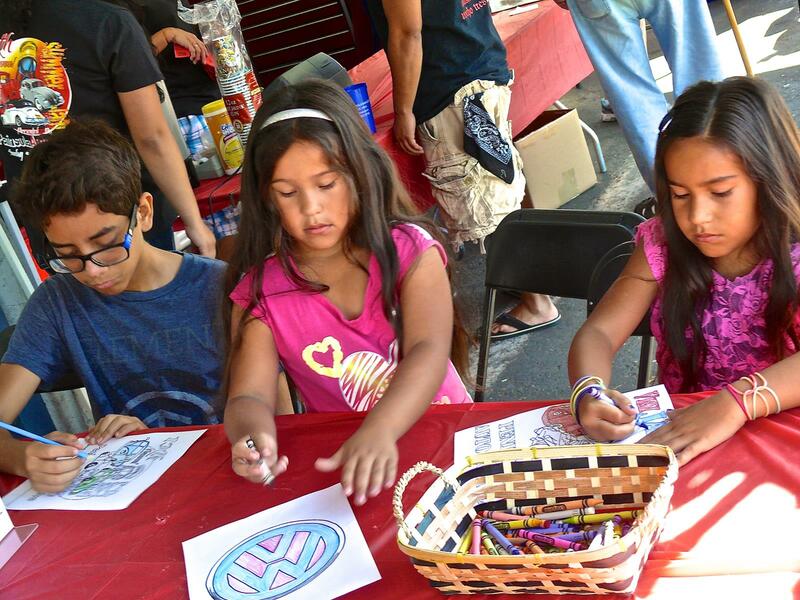 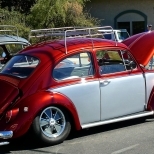 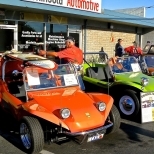 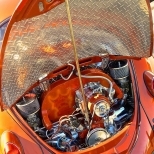 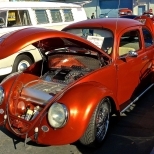 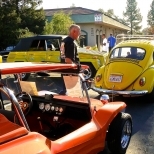 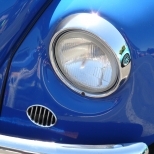 We wish to extend a special thanks to the group of volunteers who help to bring the fun and enjoyment of the Annual Car Show to other Volkswagen enthusiasts. 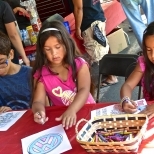 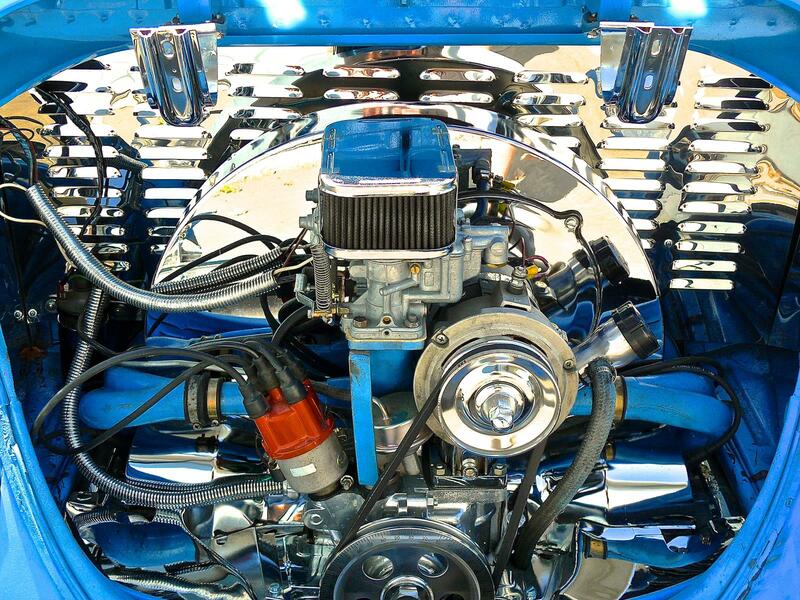 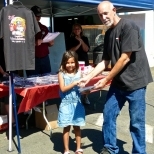 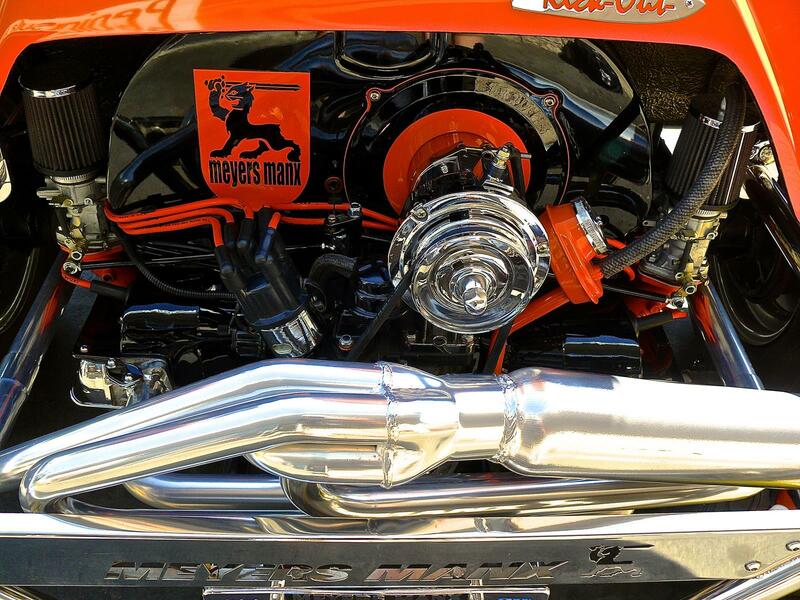 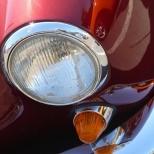 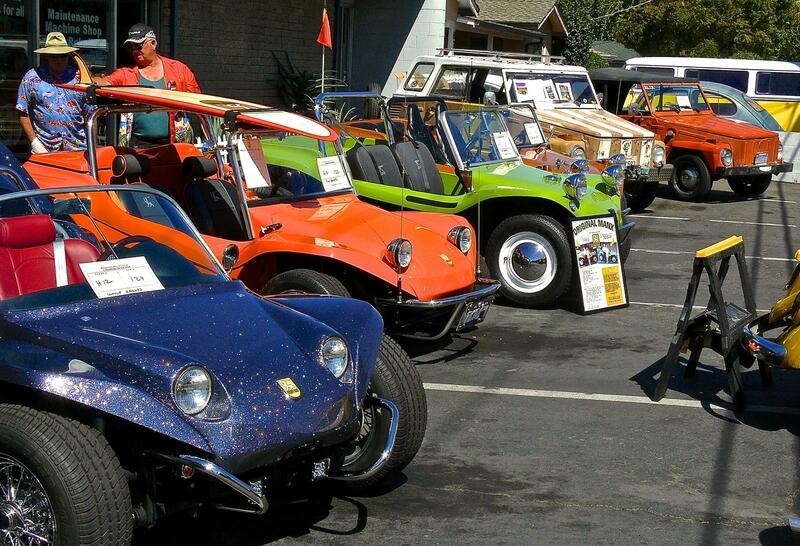 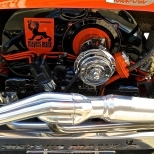 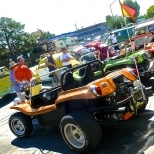 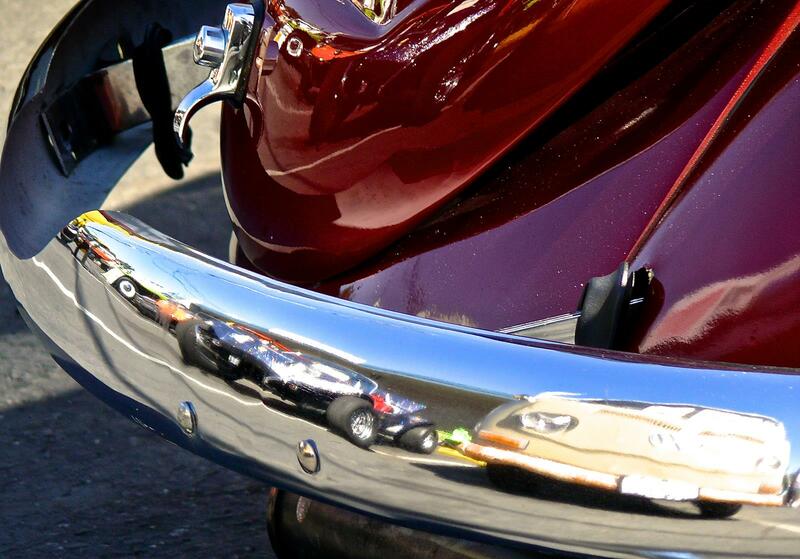 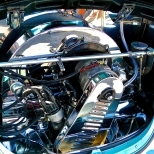 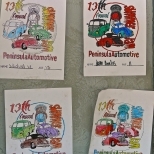 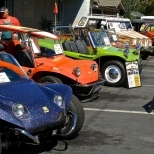 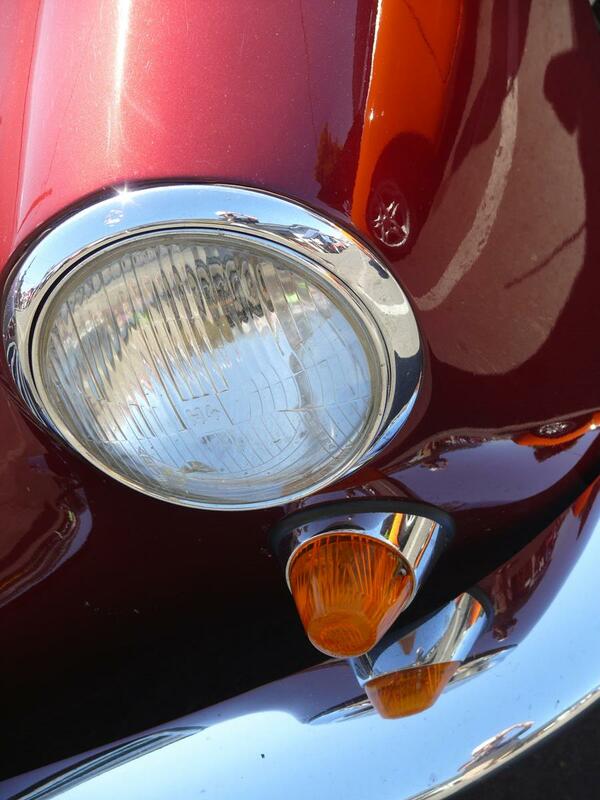 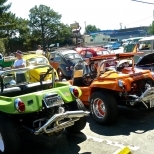 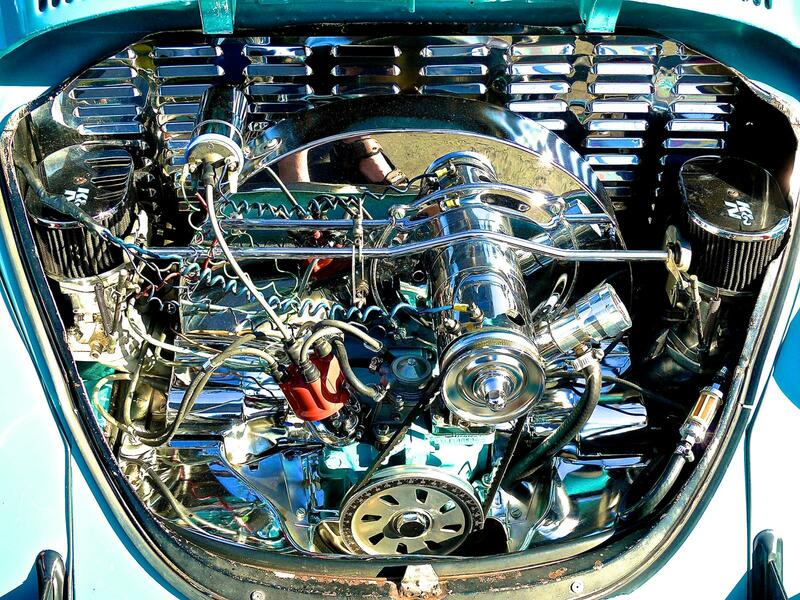 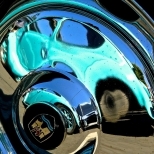 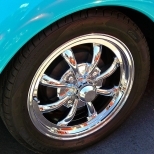 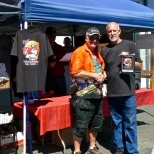 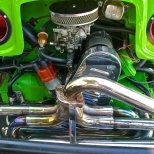 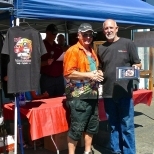 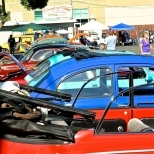 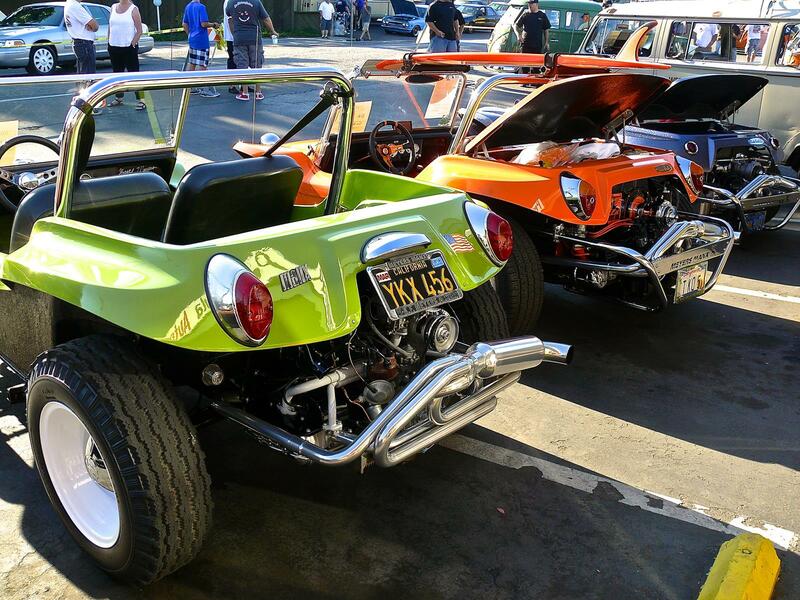 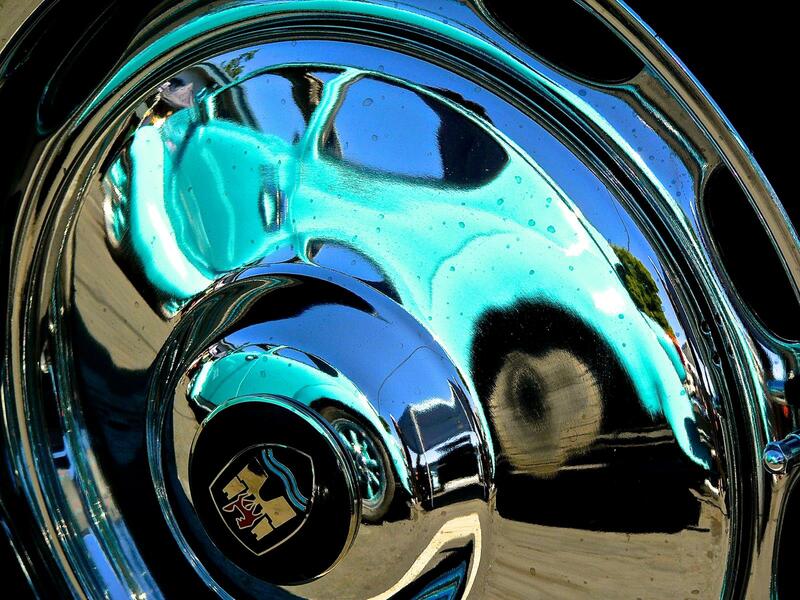 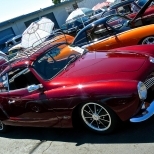 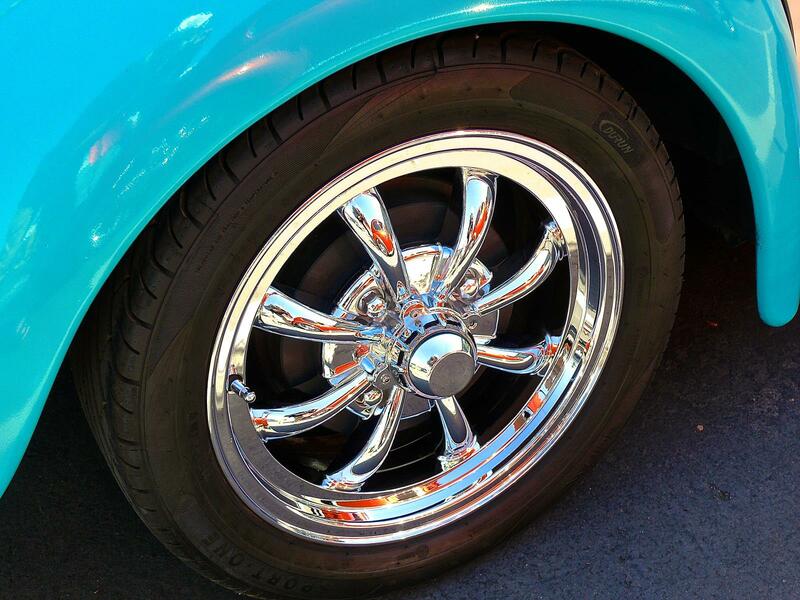 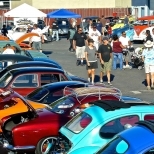 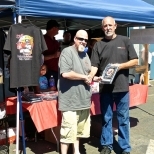 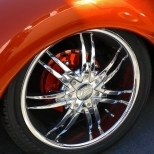 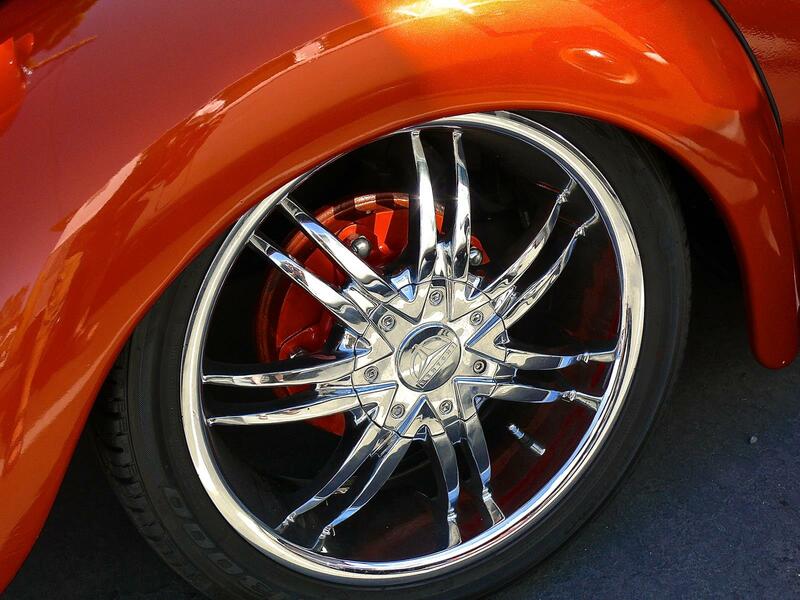 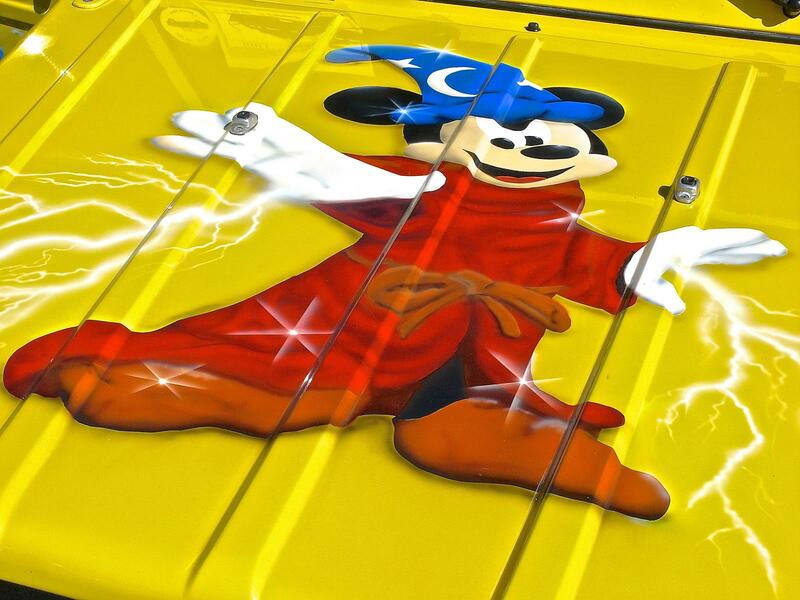 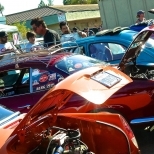 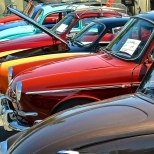 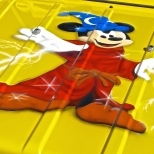 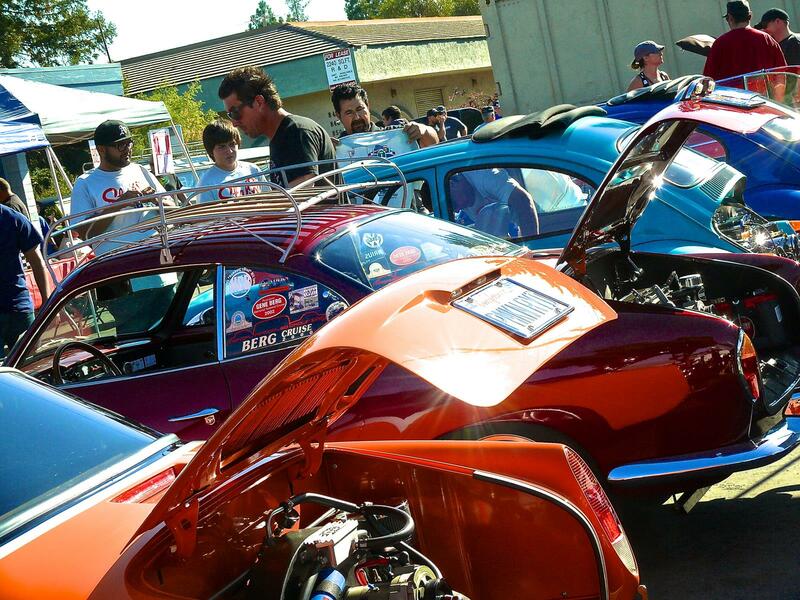 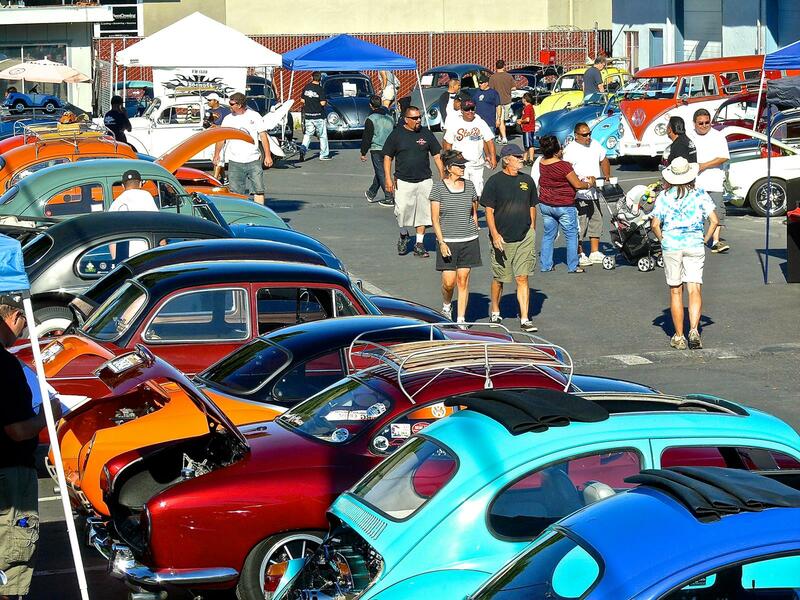 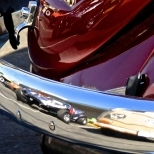 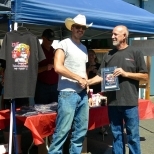 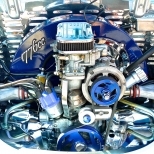 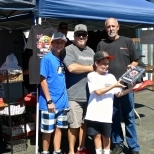 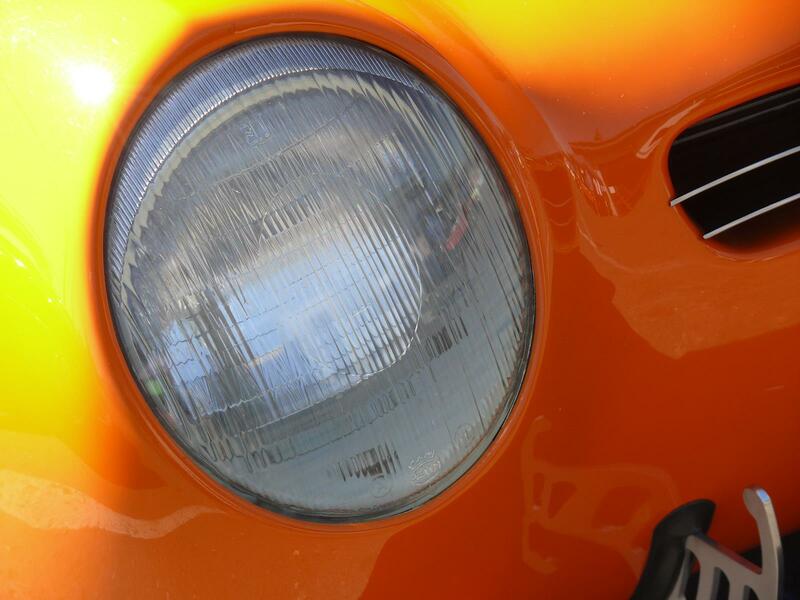 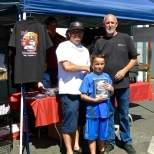 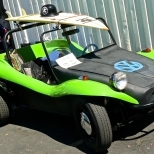 Once again, your efforts made the 13th Annual Car Show a HUGE SUCCESS!